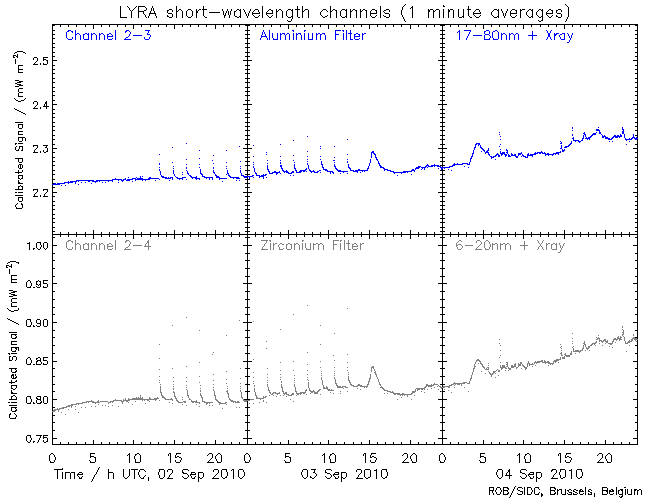 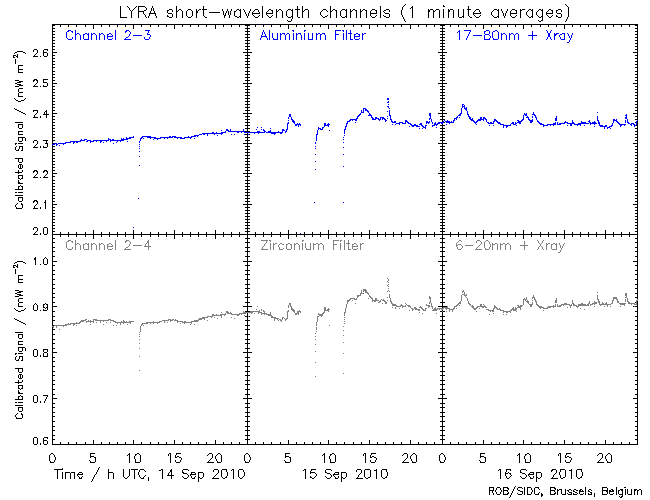 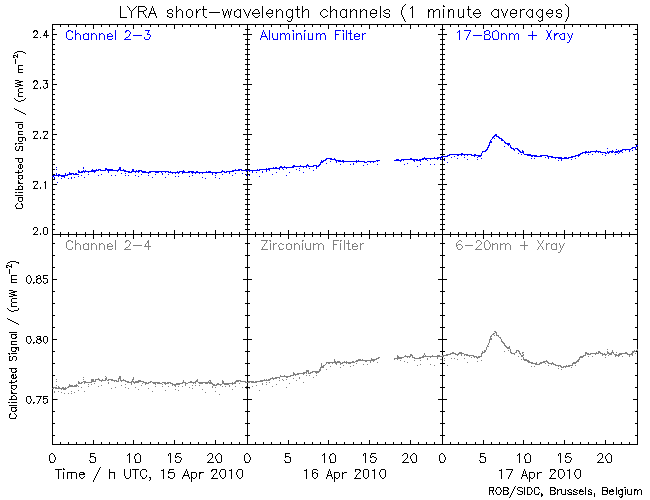 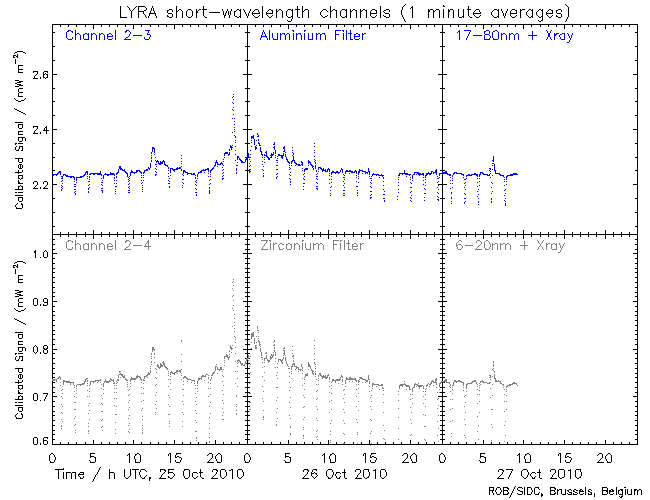 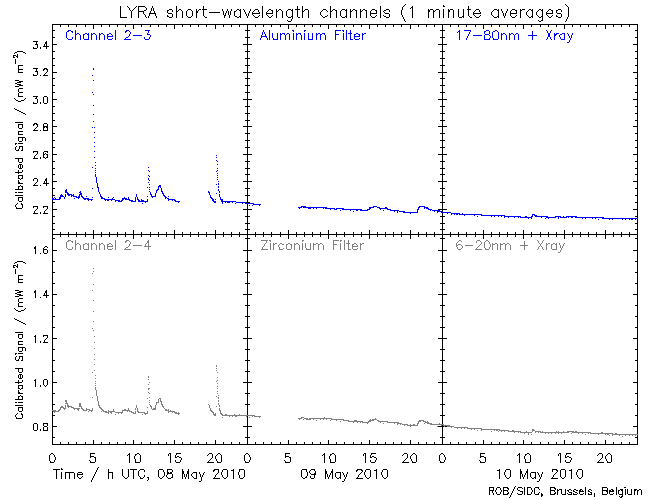 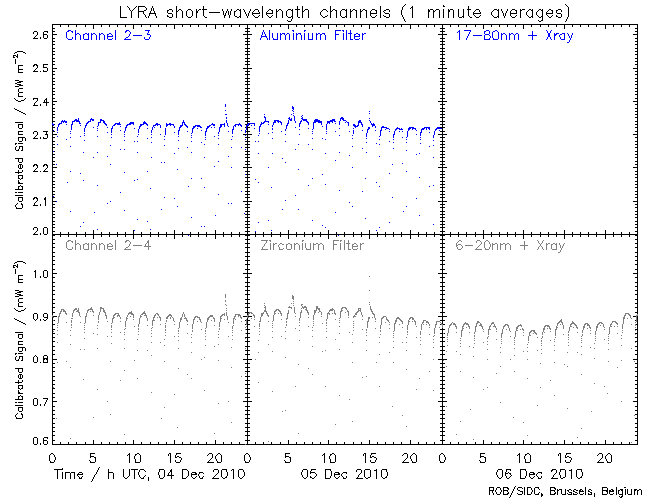 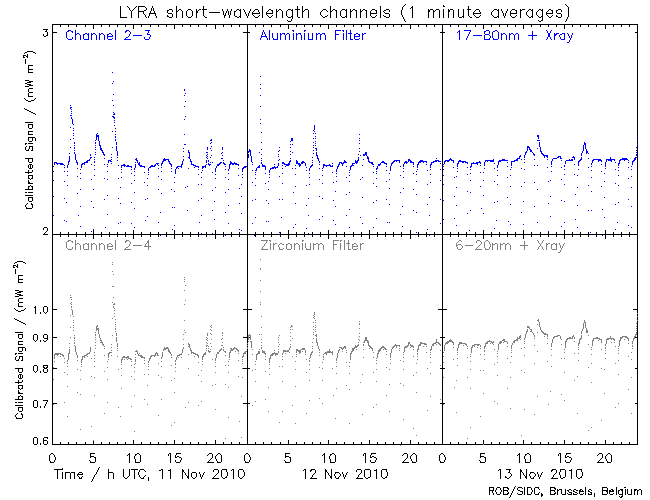 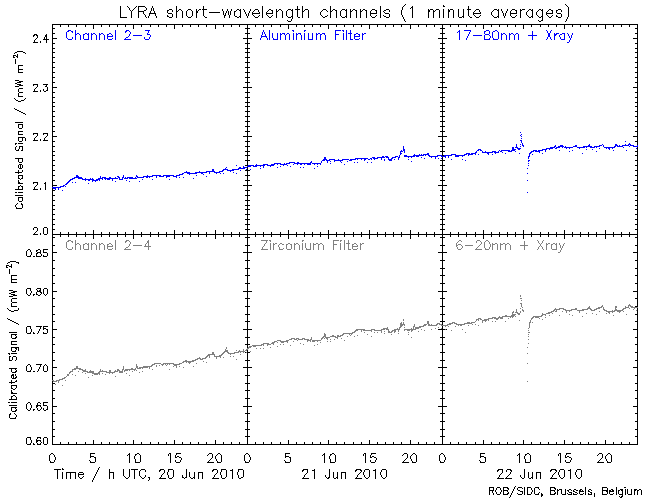 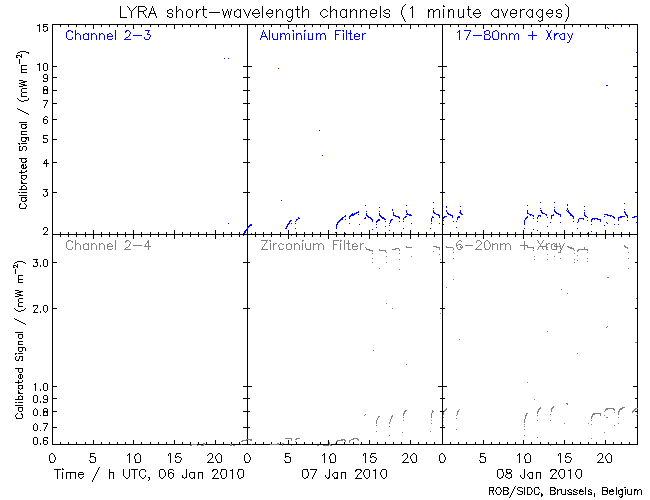 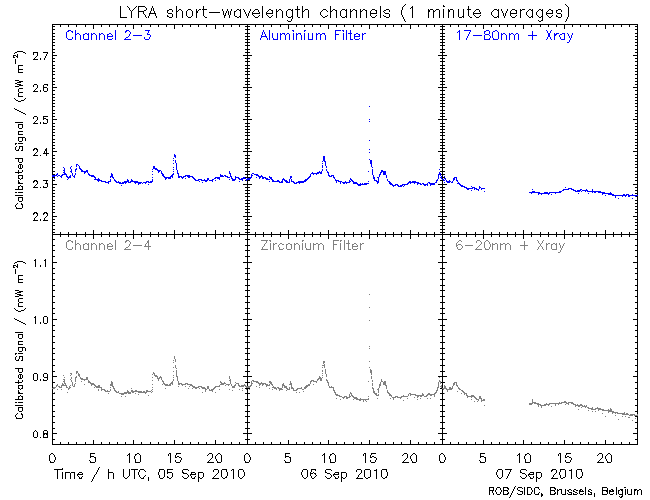 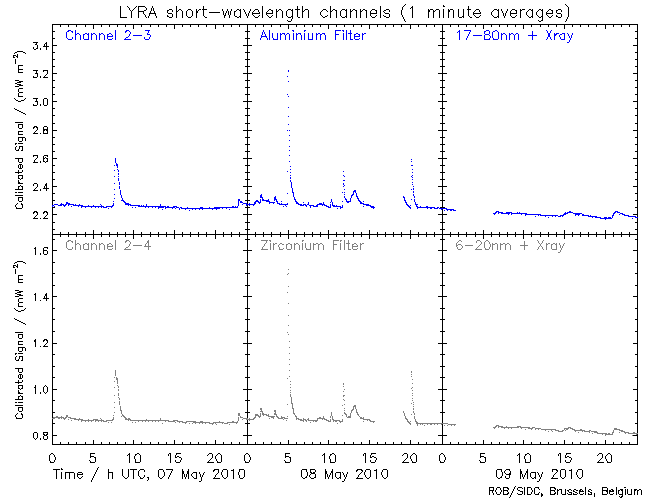 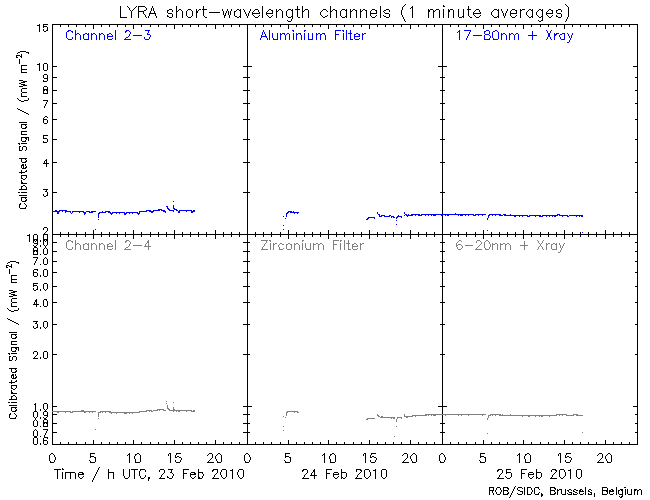 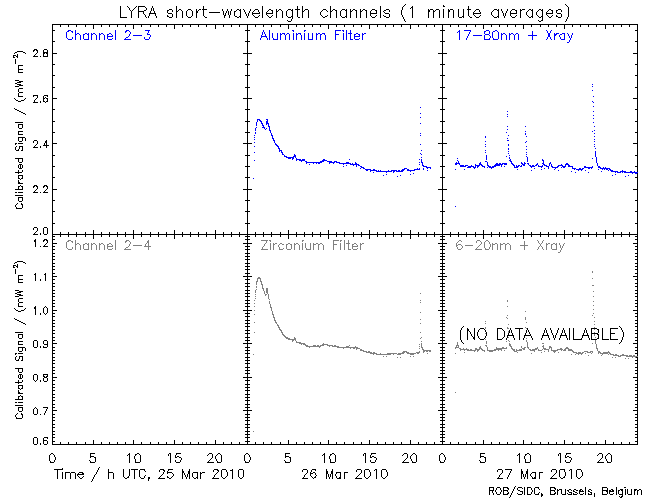 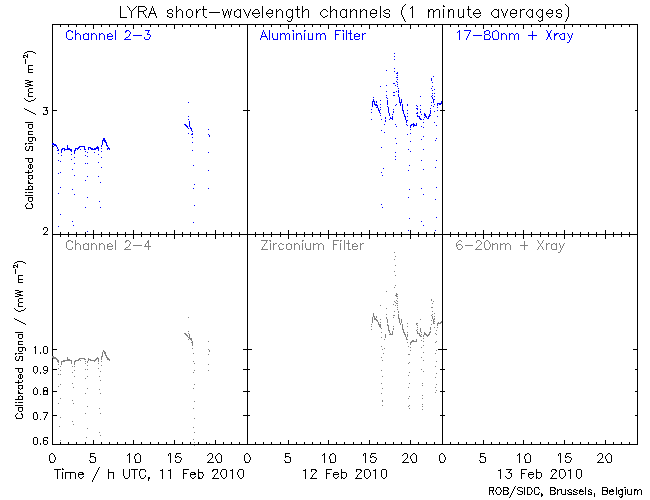 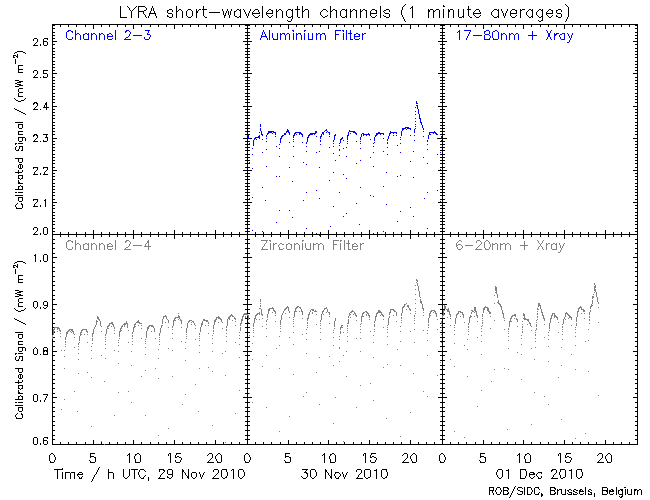 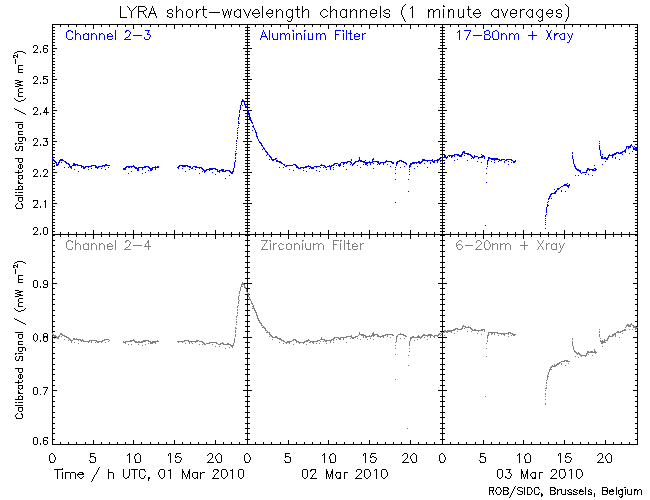 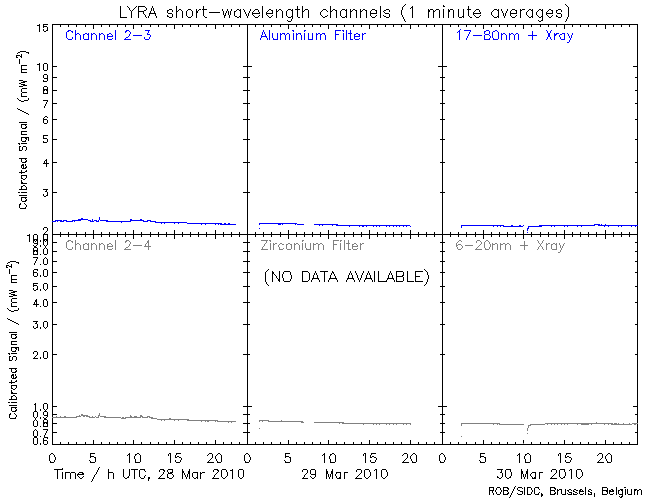 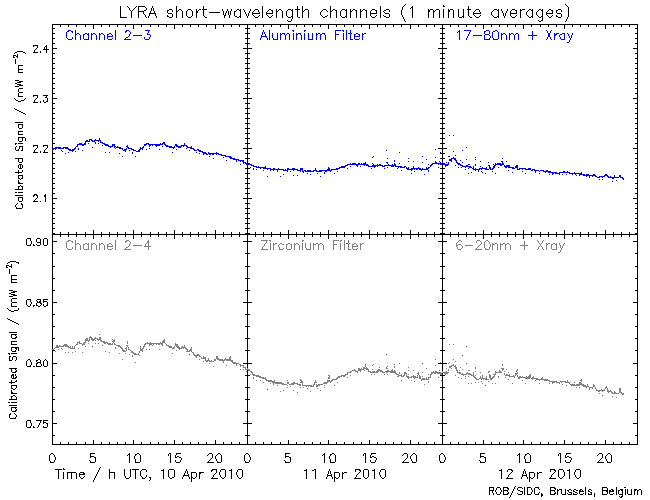 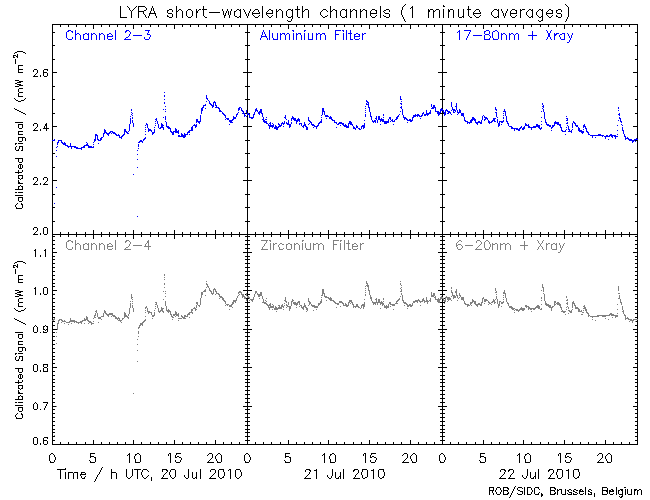 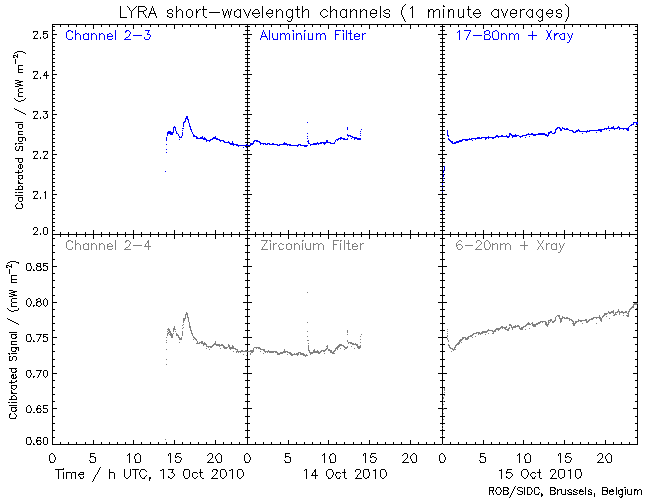 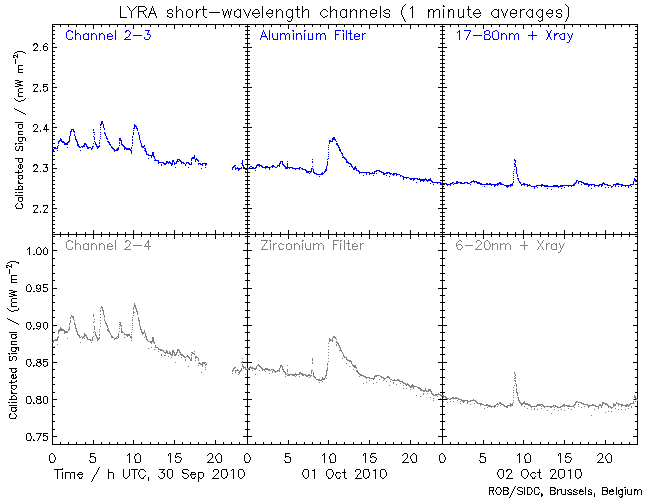 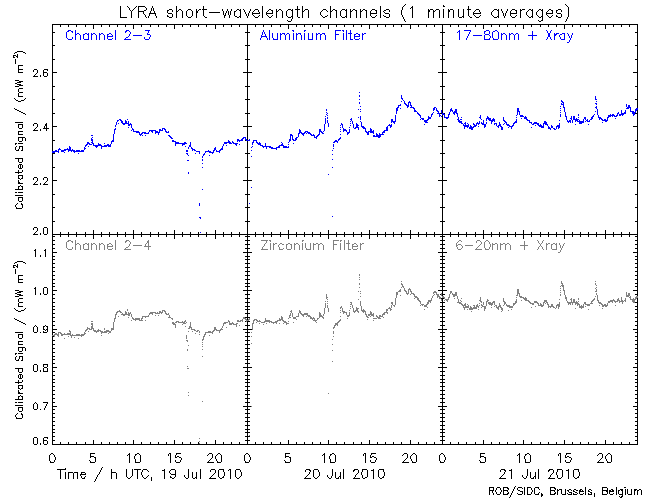 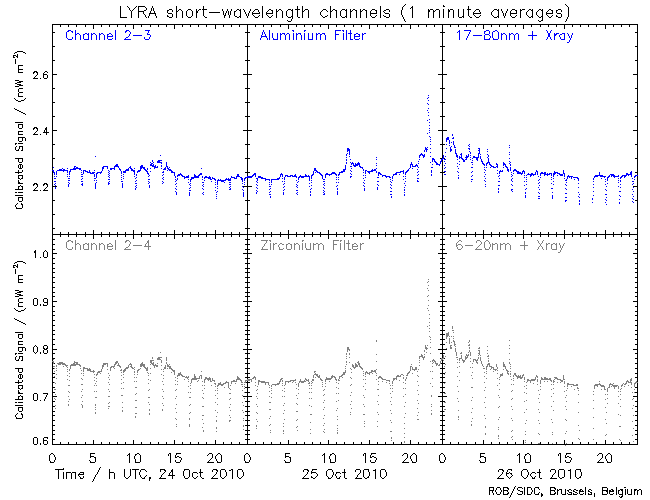 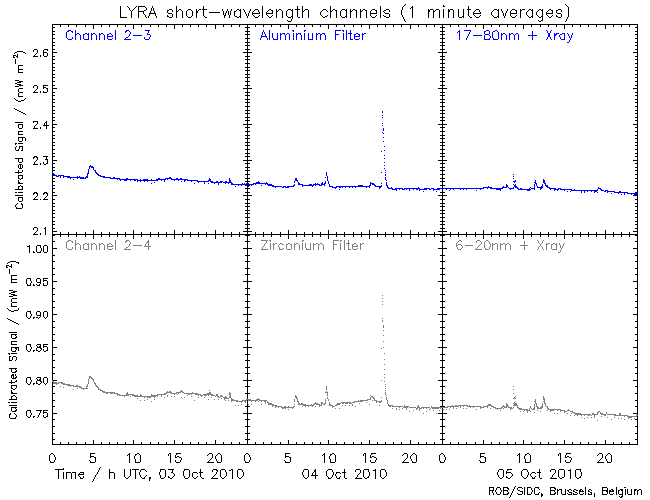 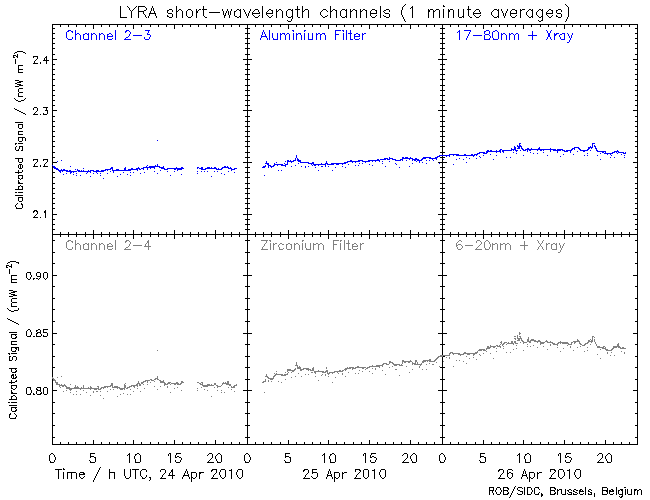 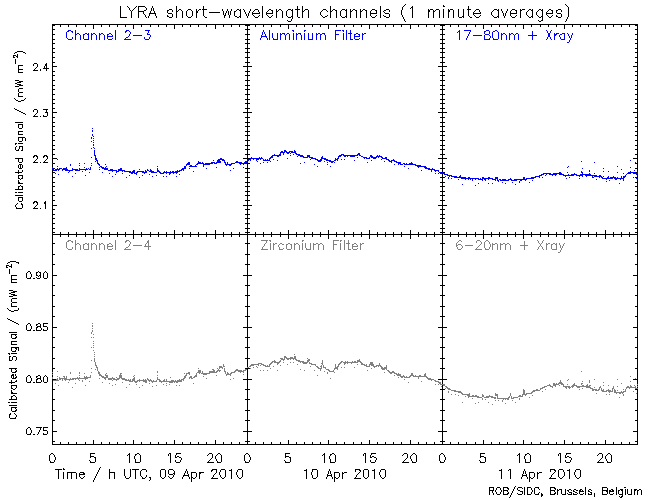 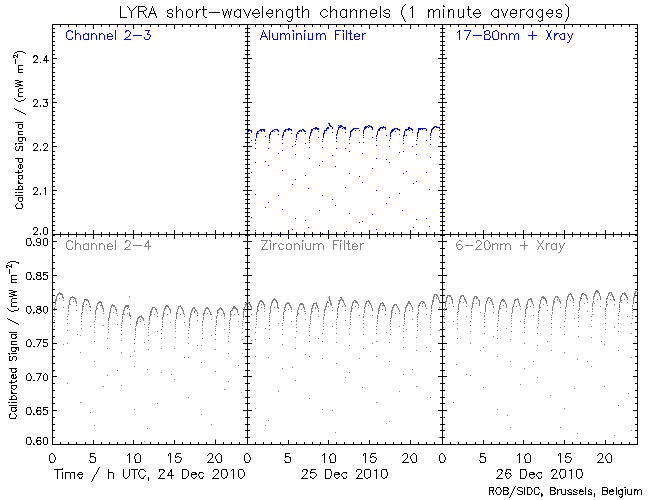 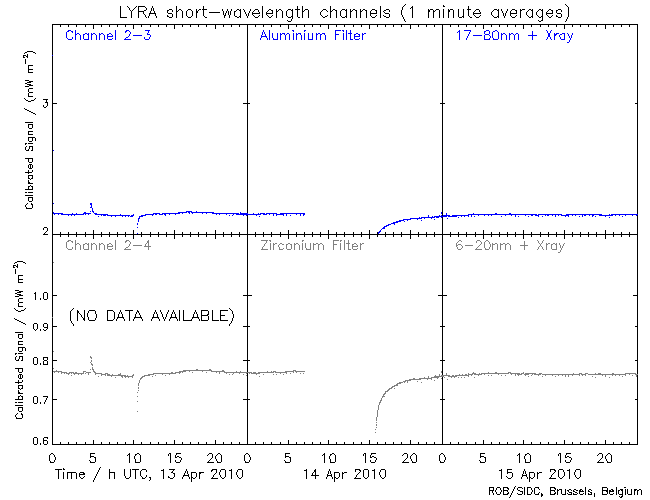 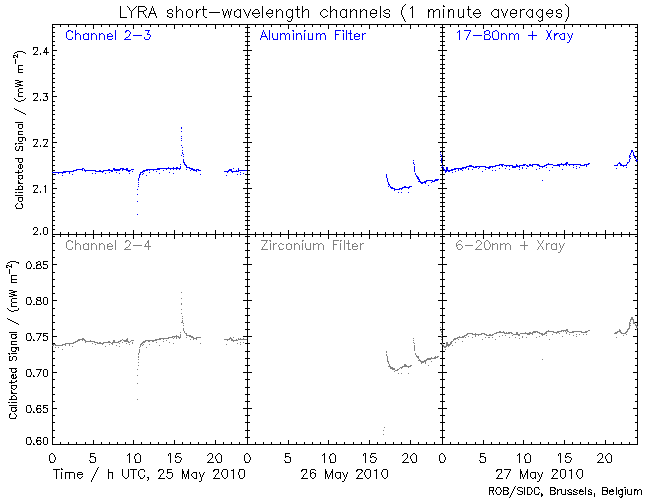 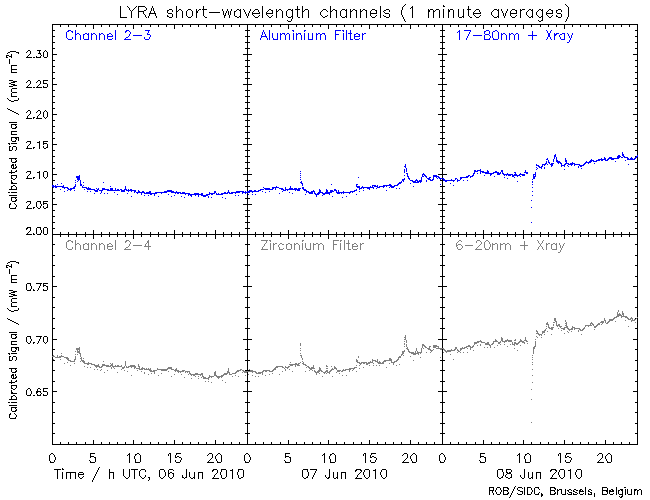 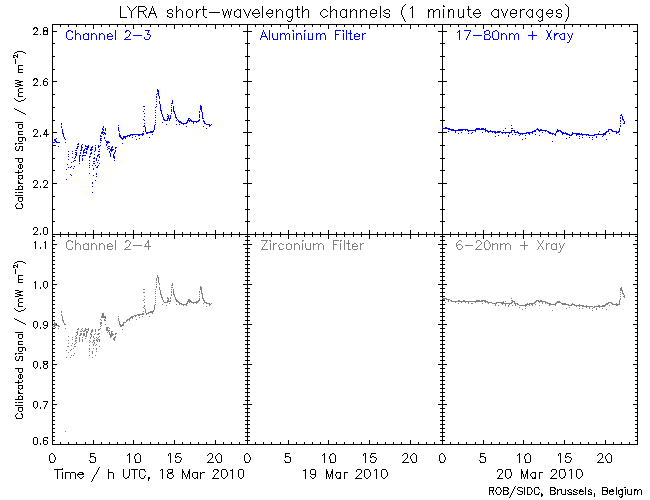 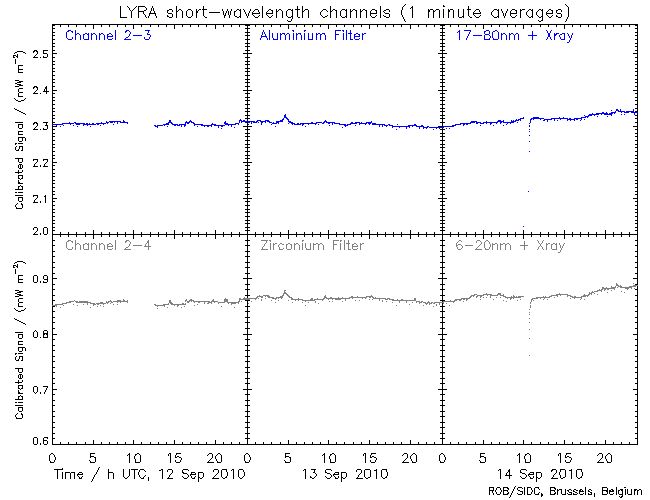 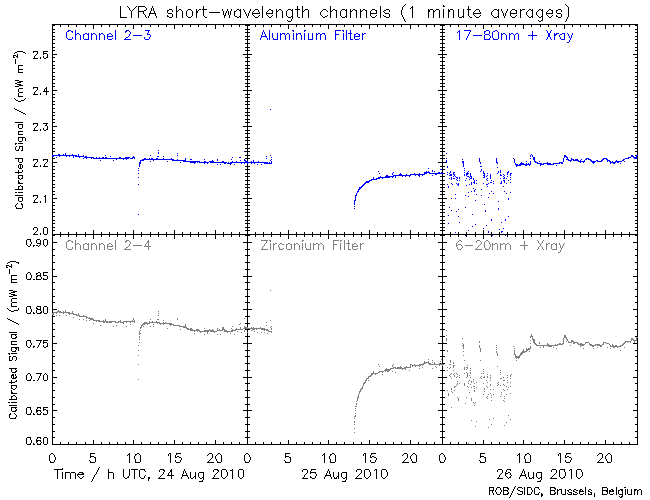 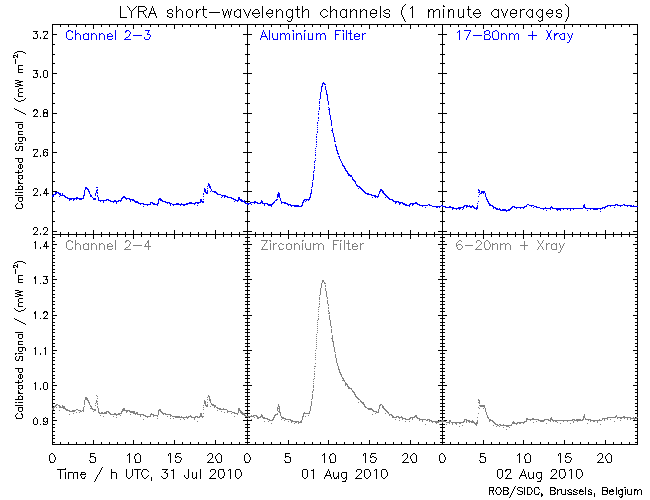 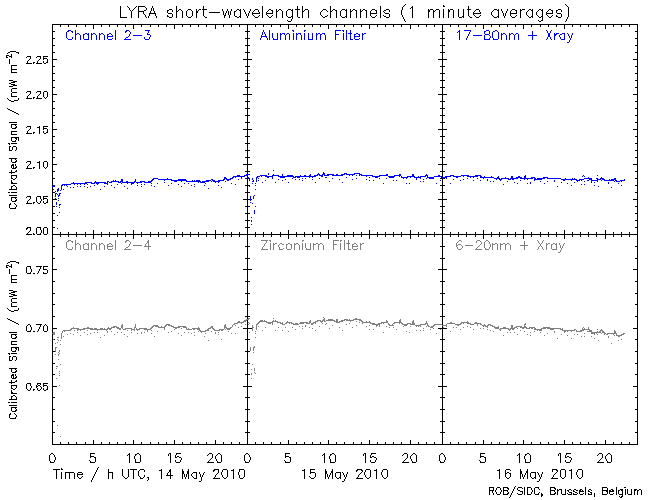 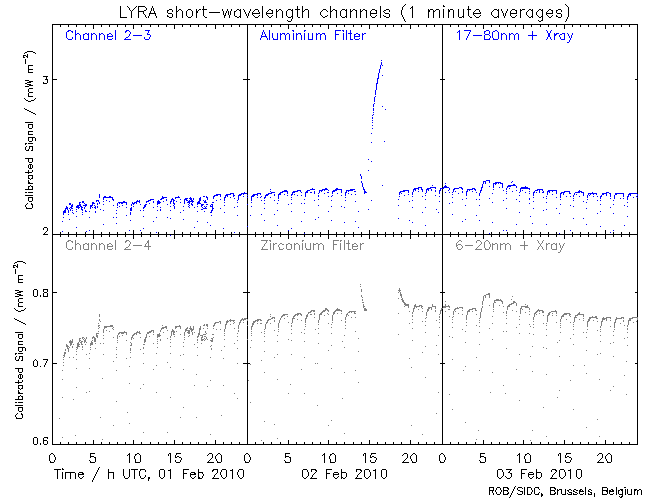 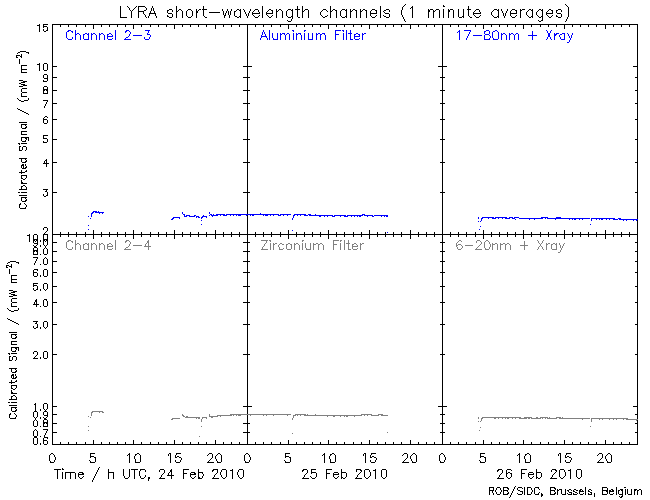 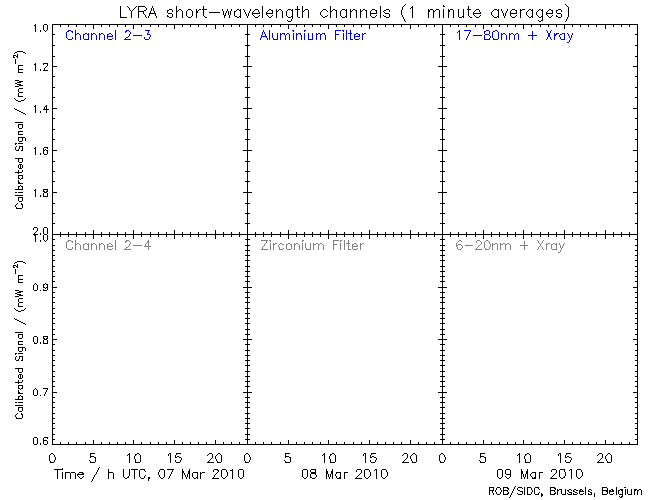 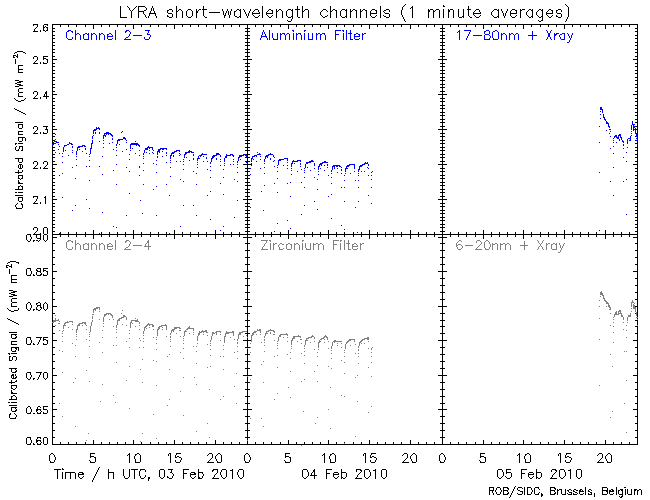 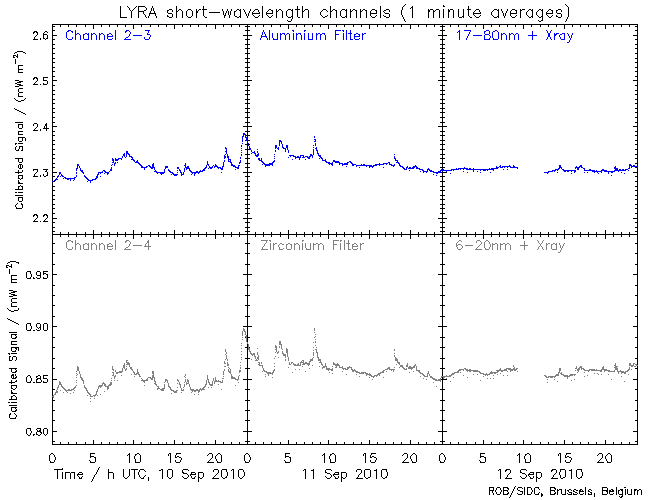 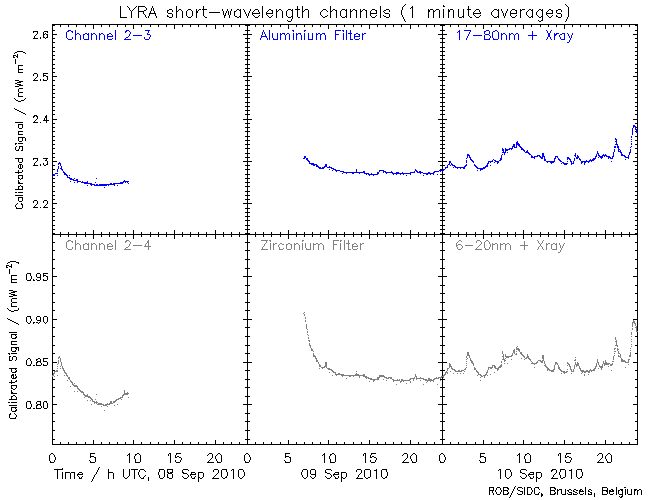 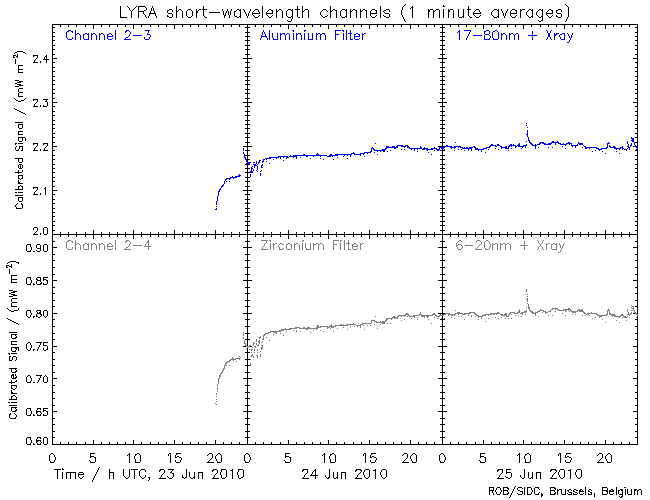 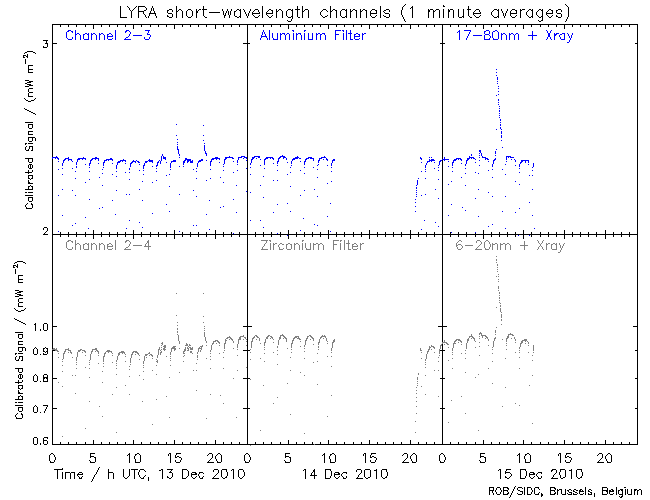 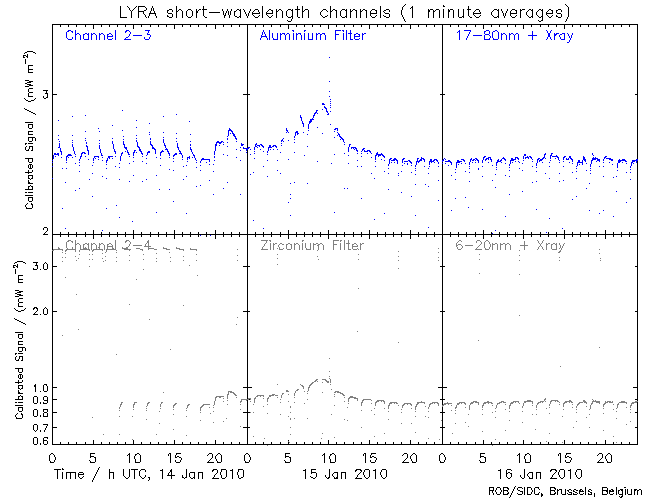 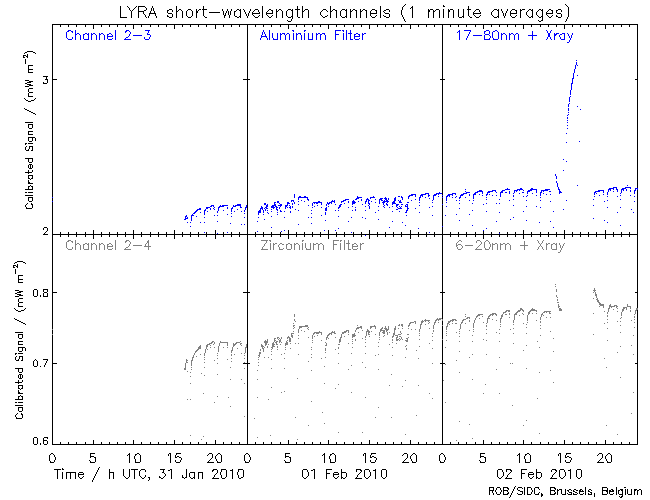 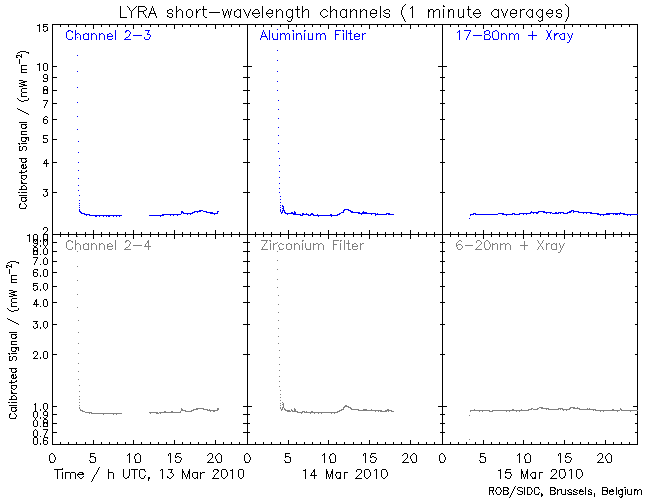 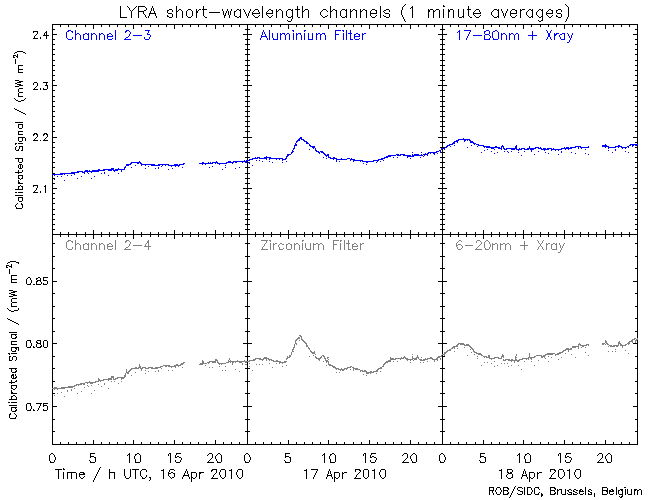 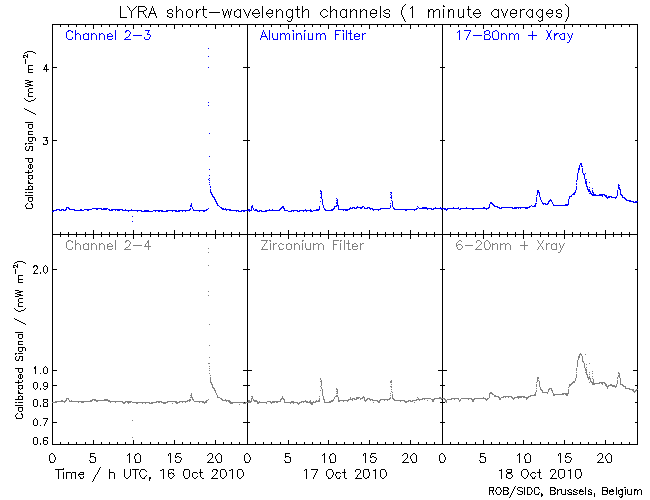 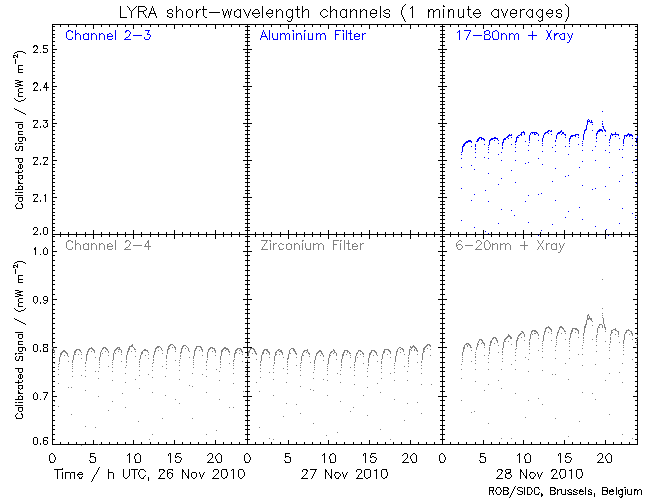 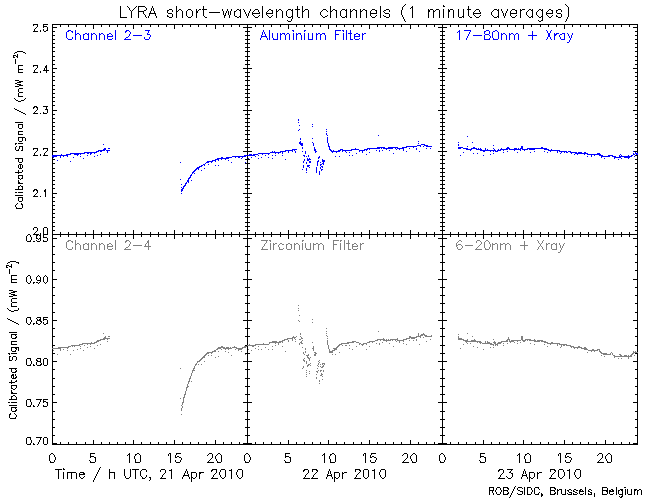 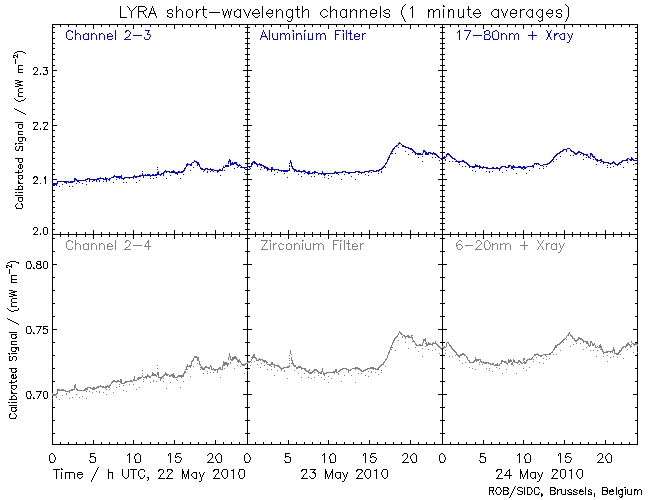 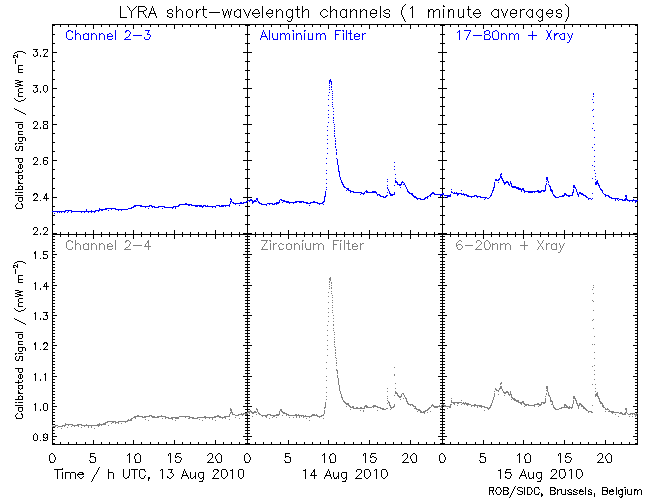 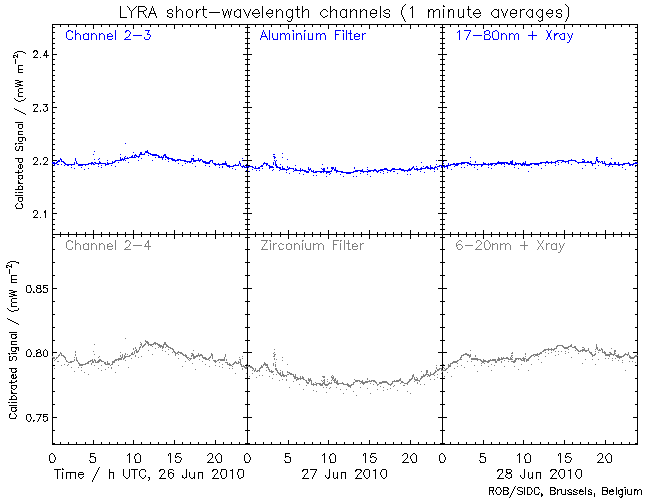 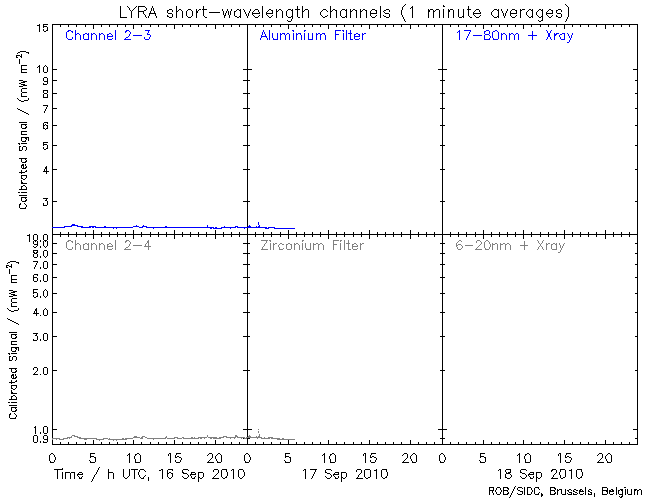 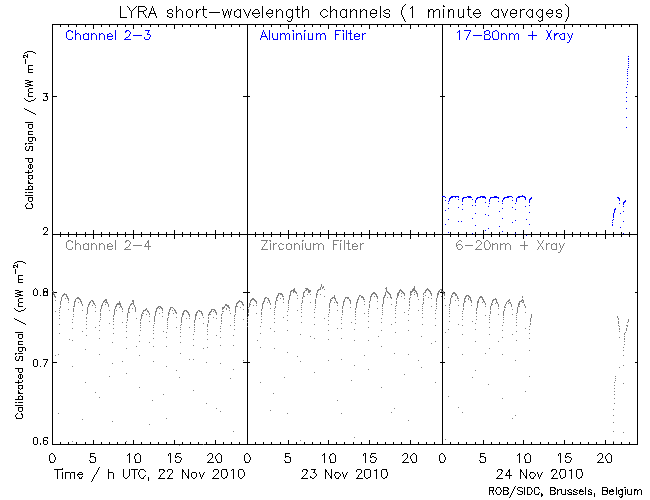 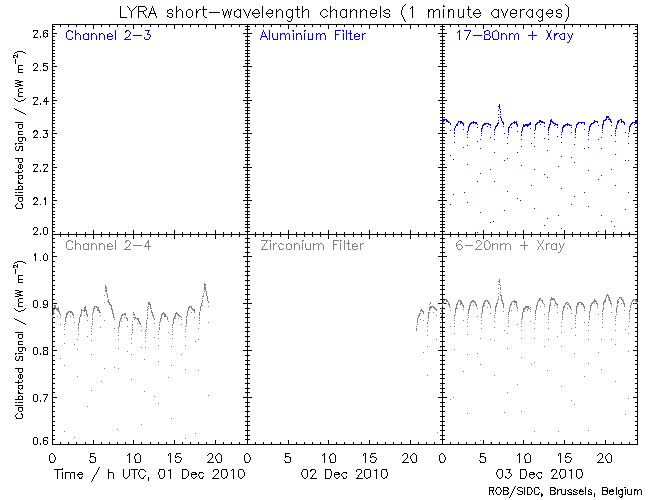 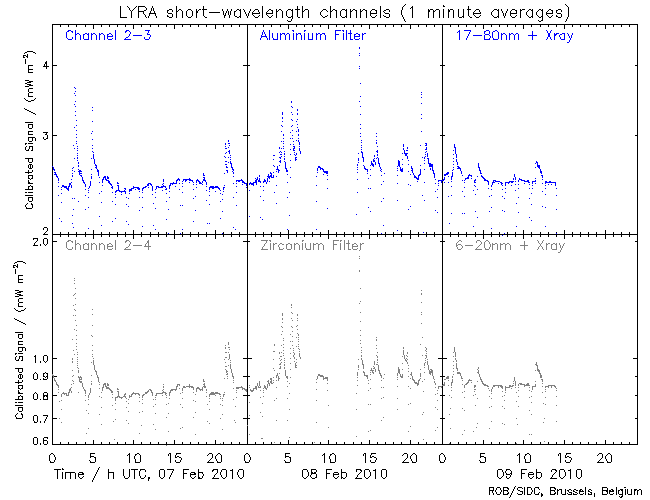 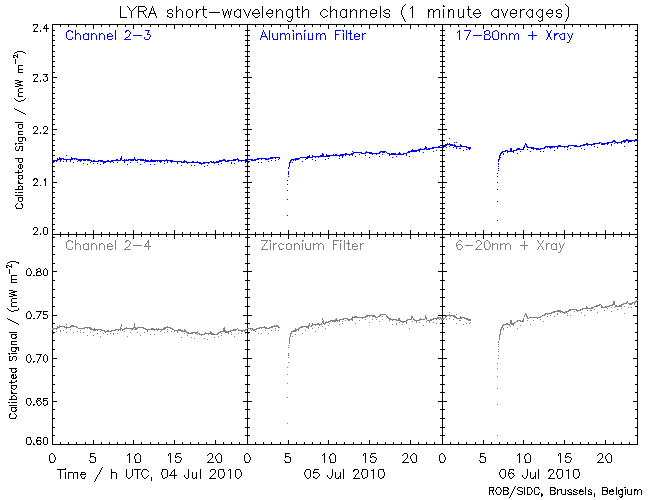 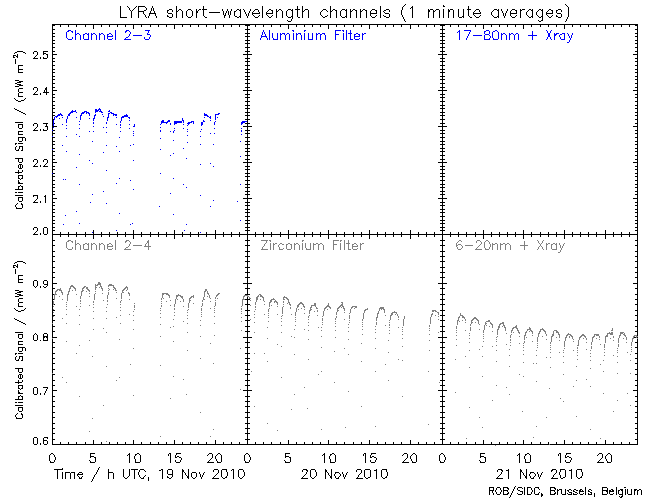 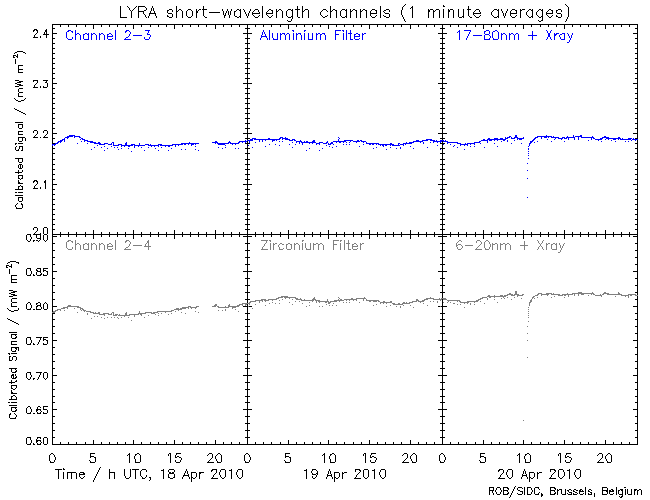 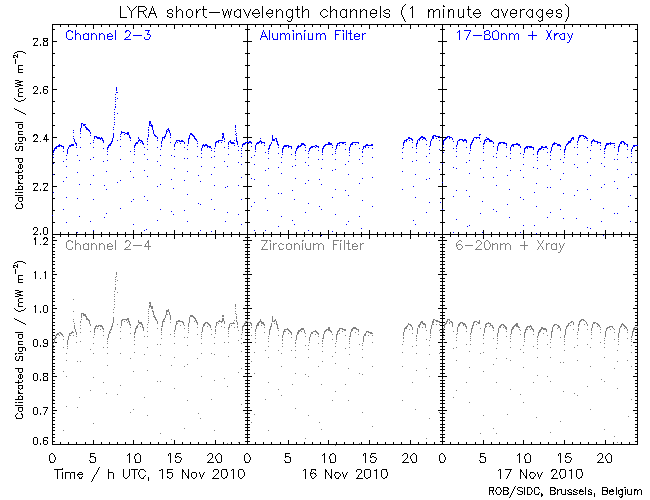 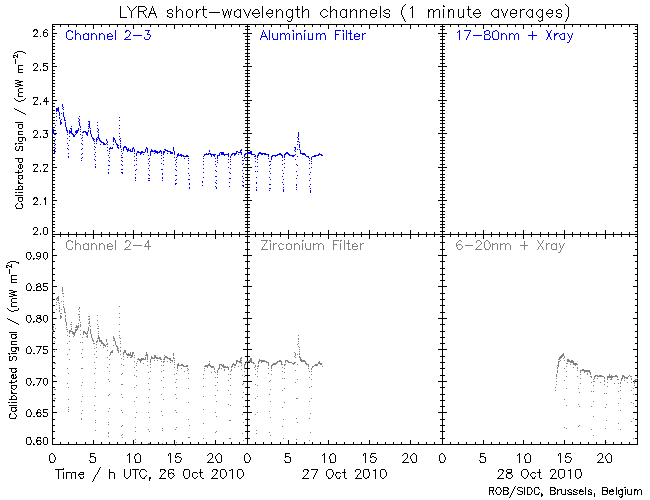 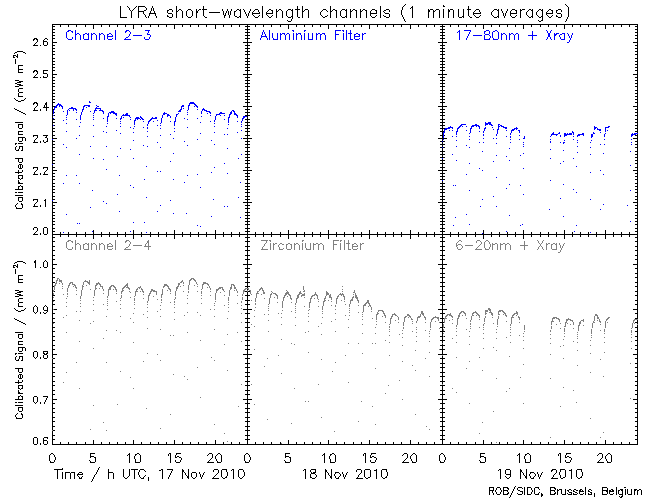 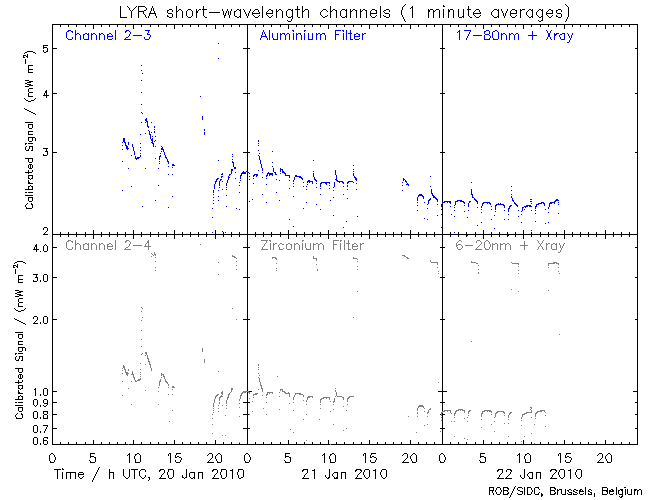 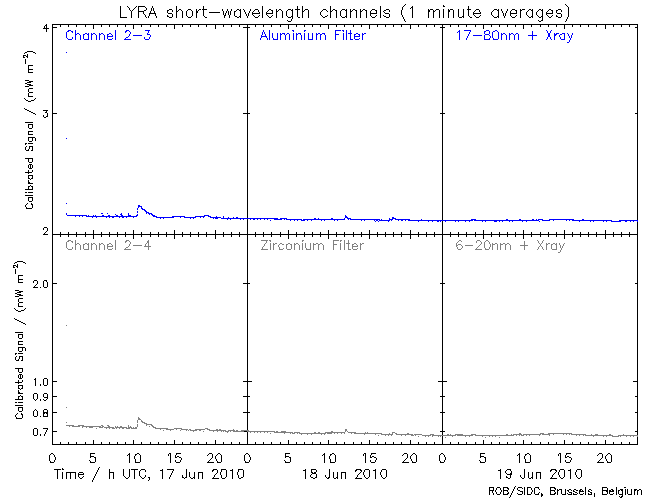 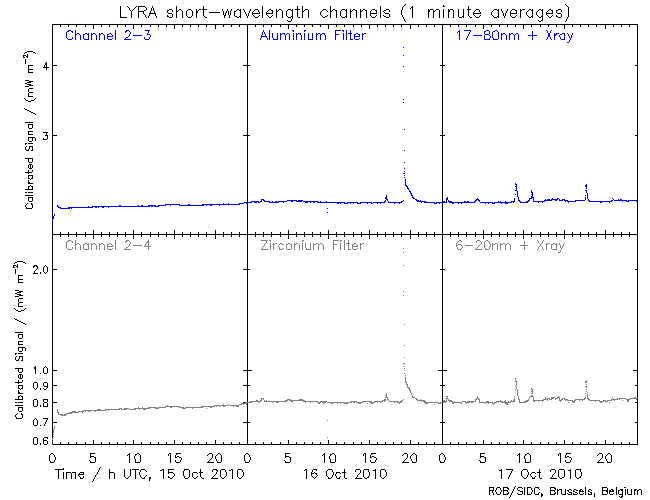 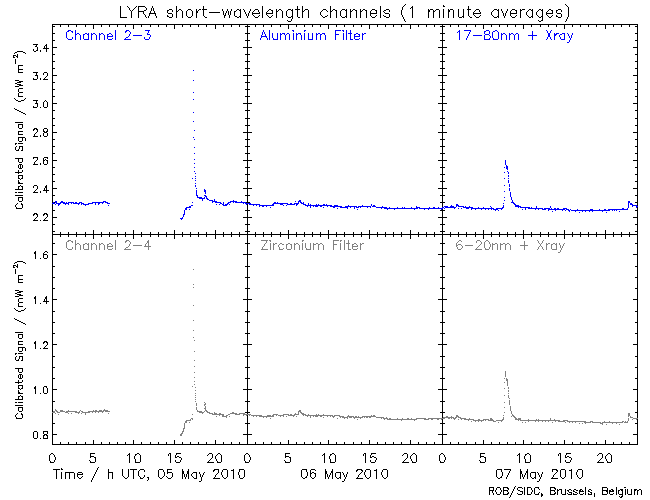 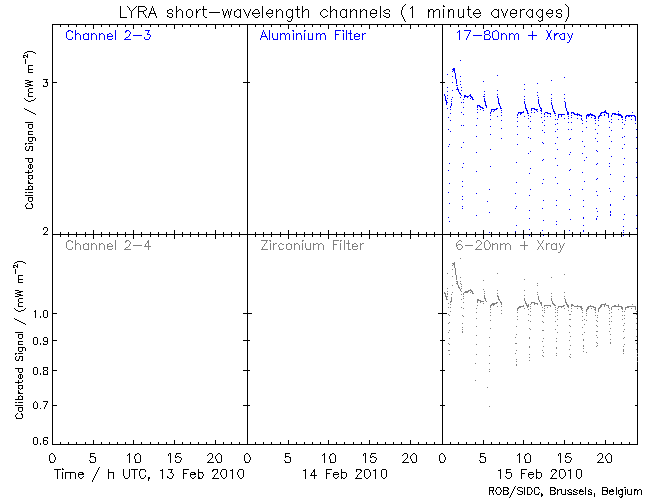 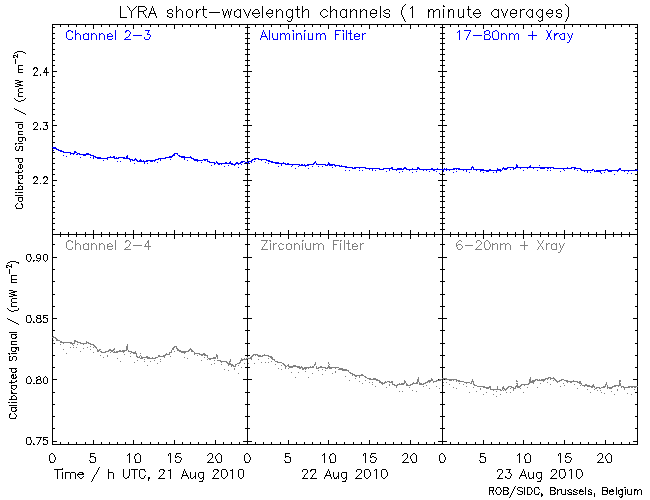 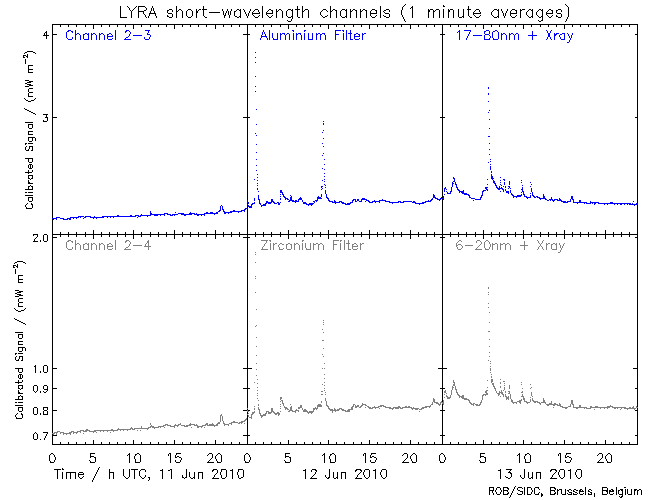 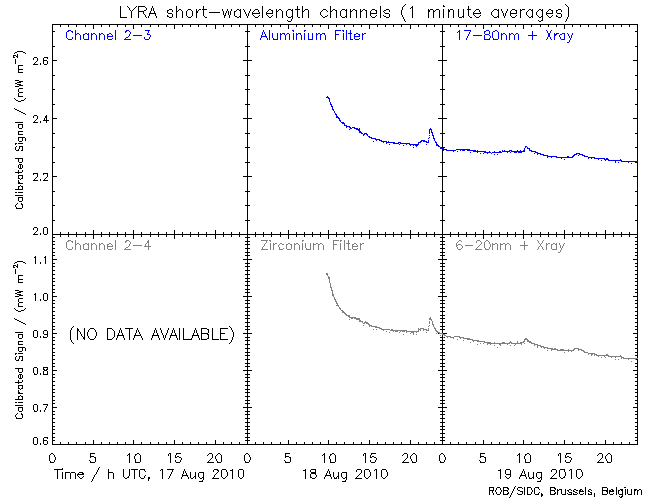 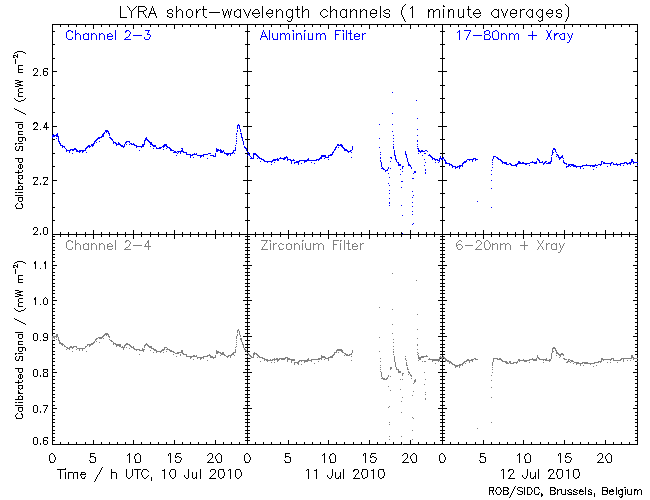 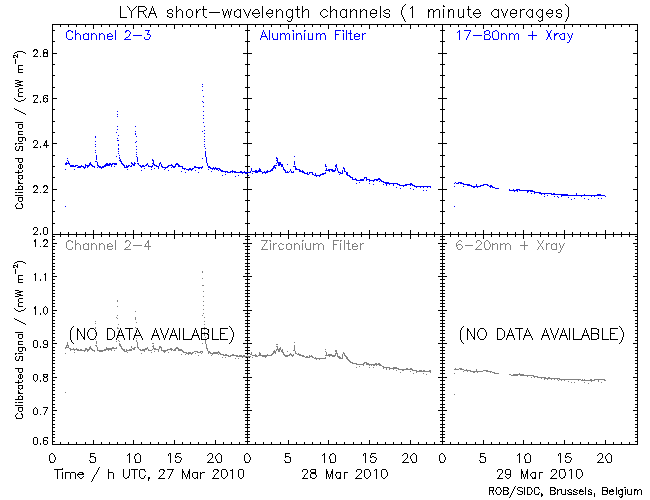 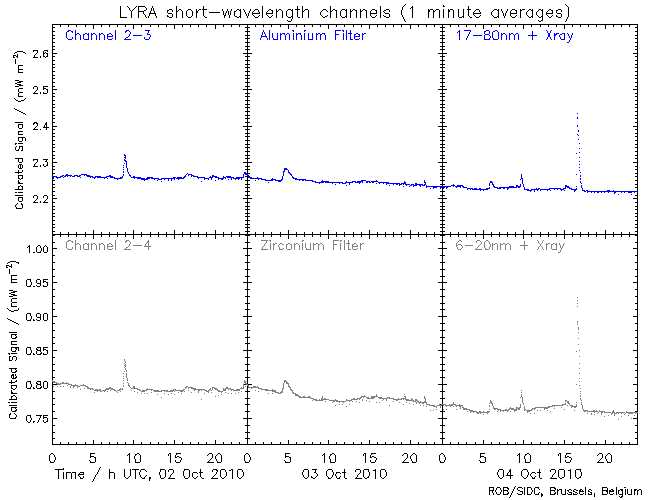 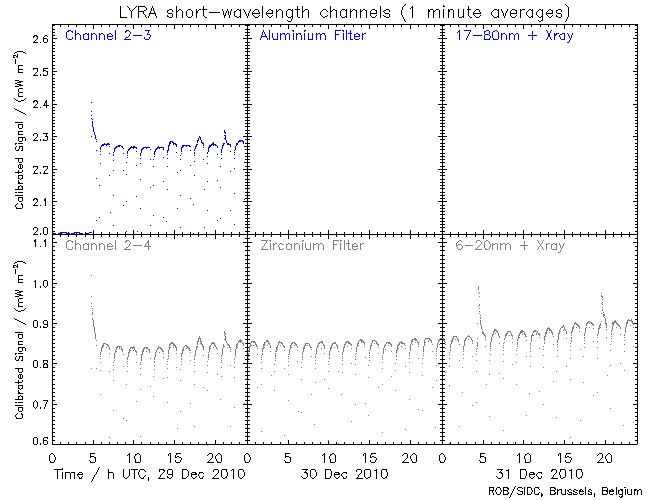 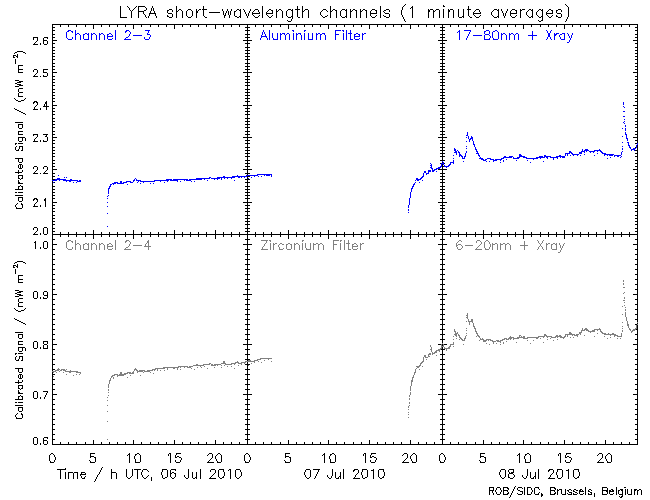 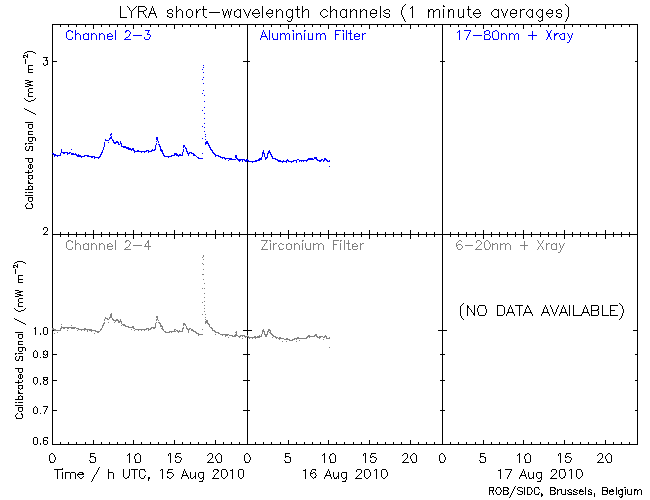 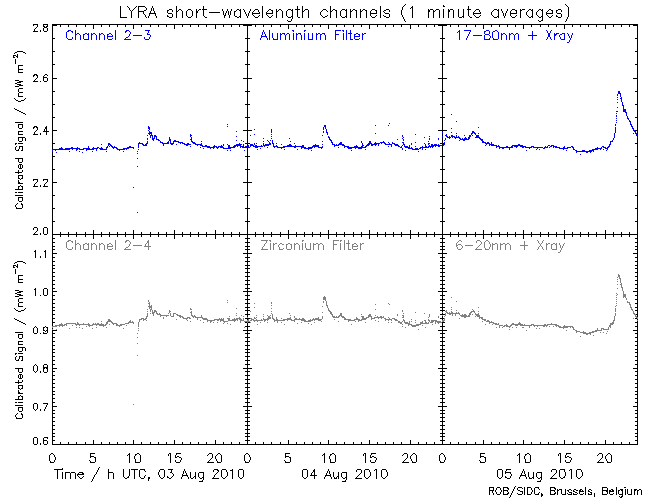 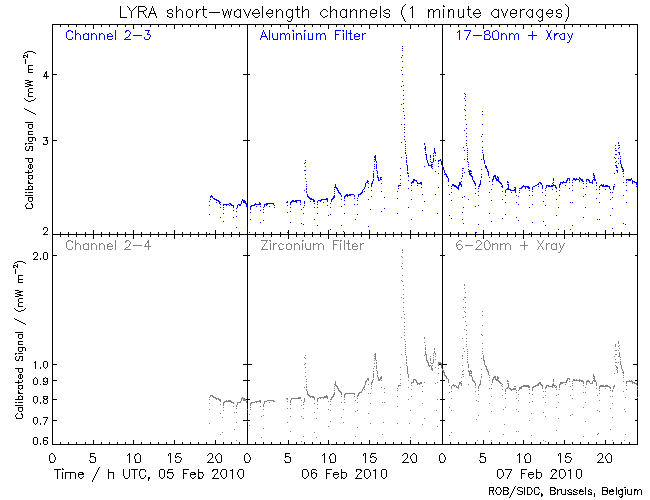 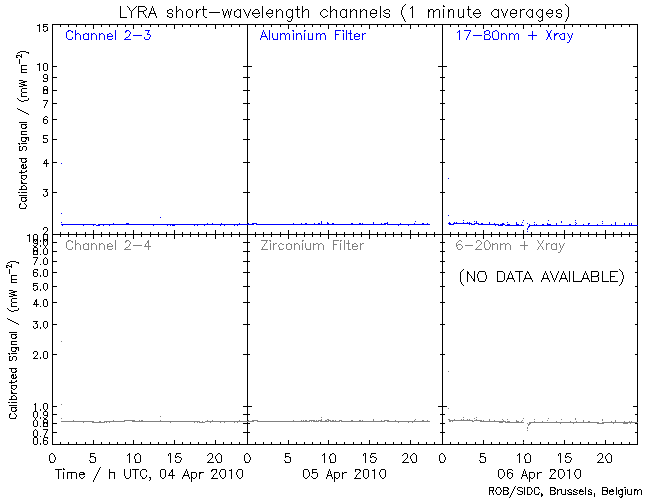 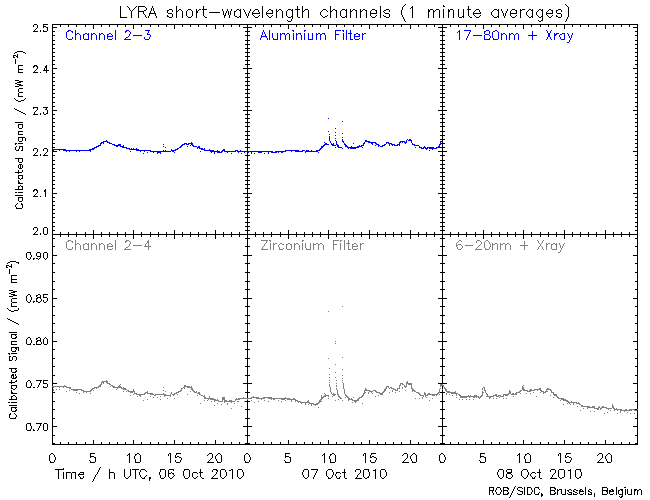 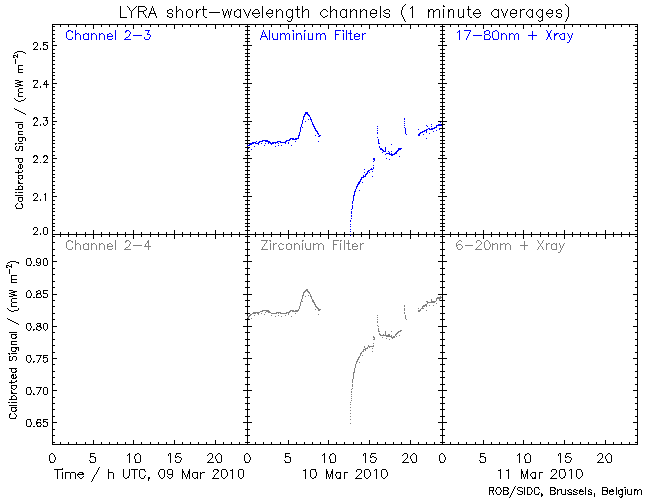 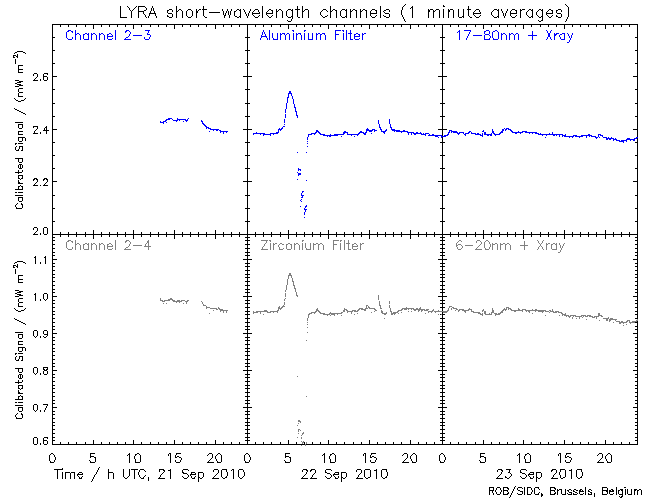 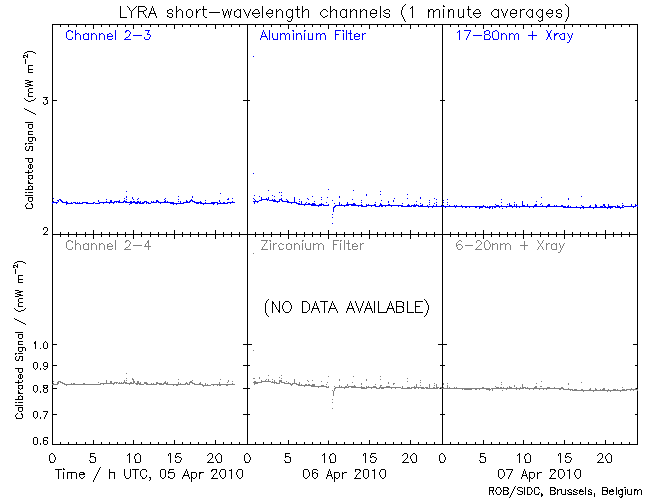 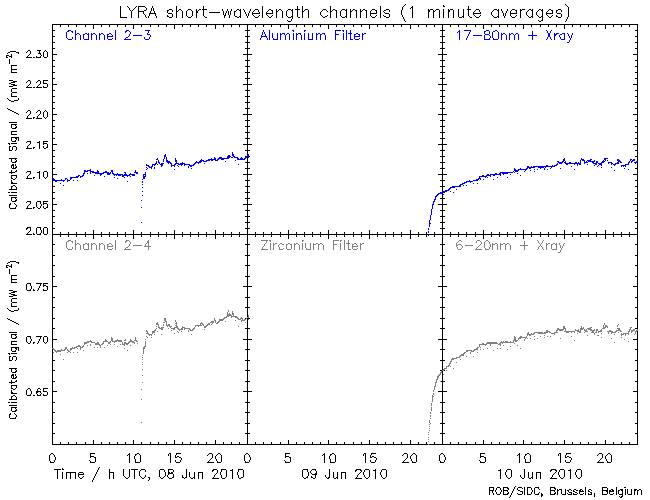 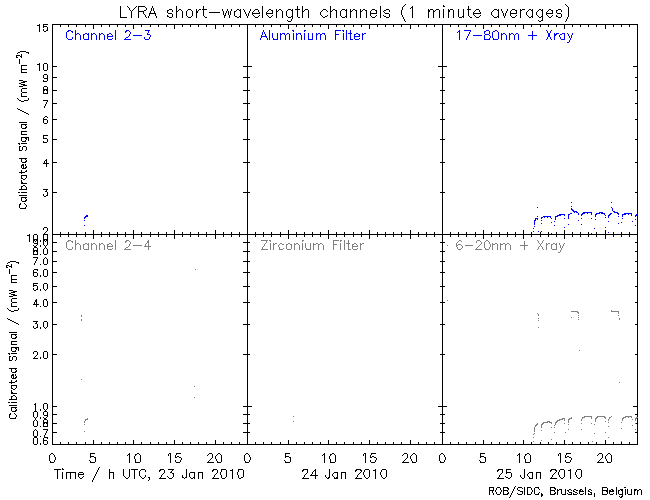 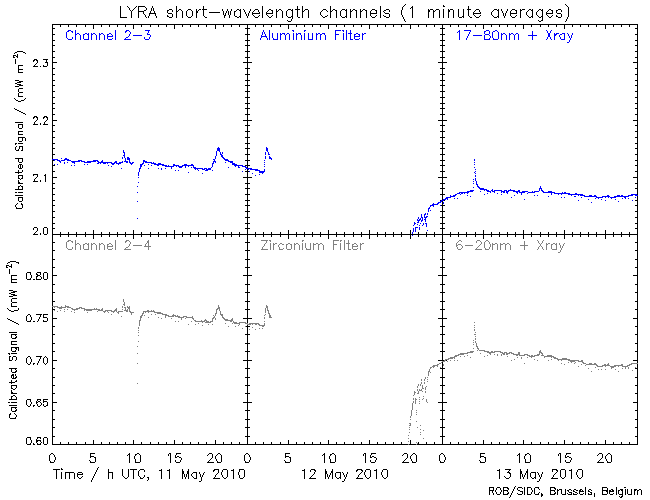 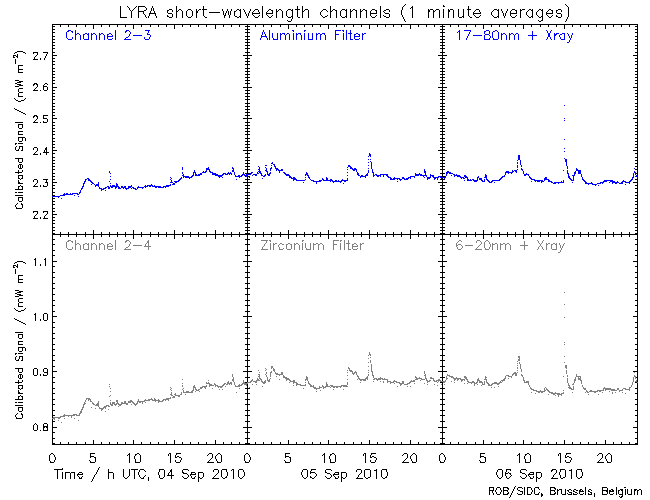 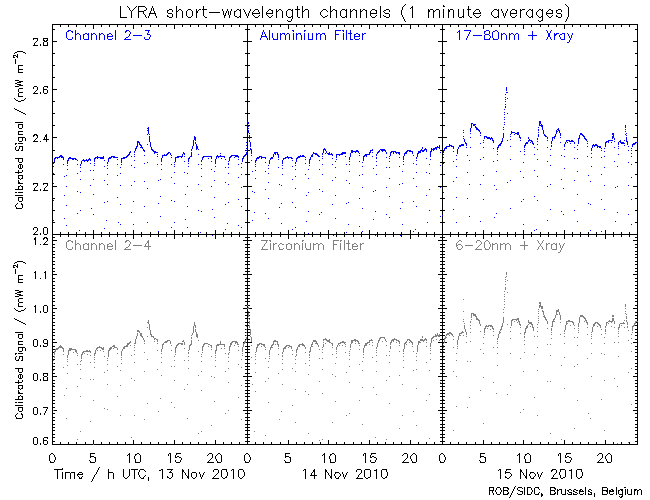 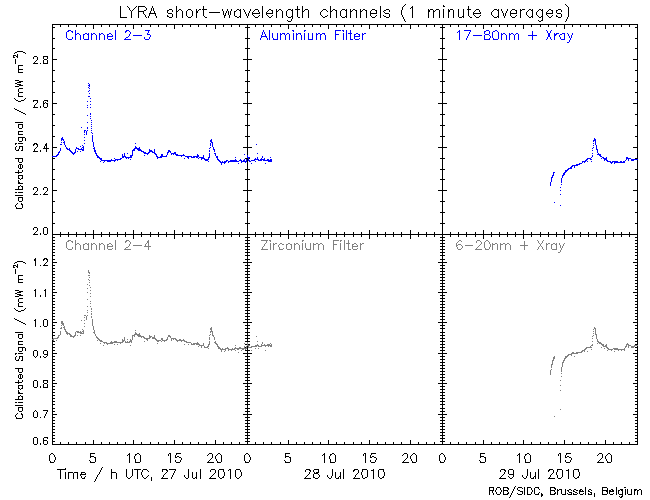 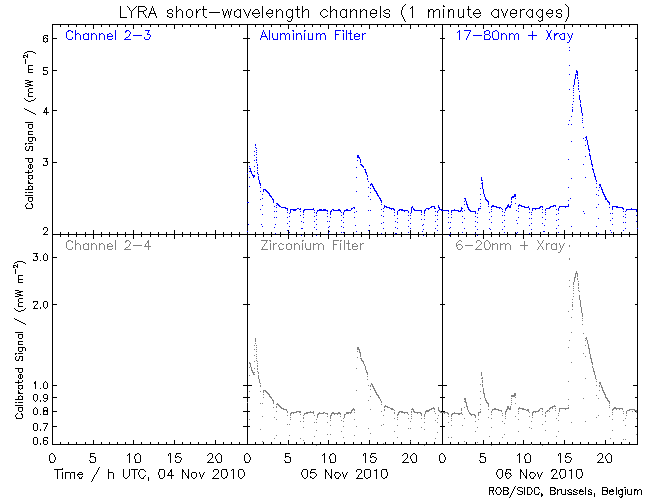 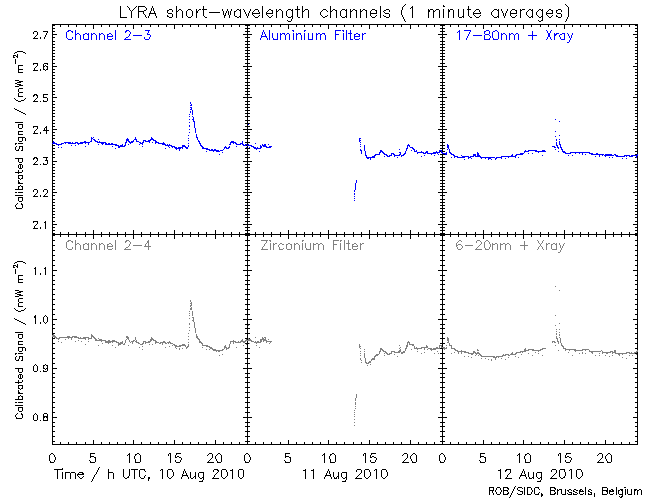 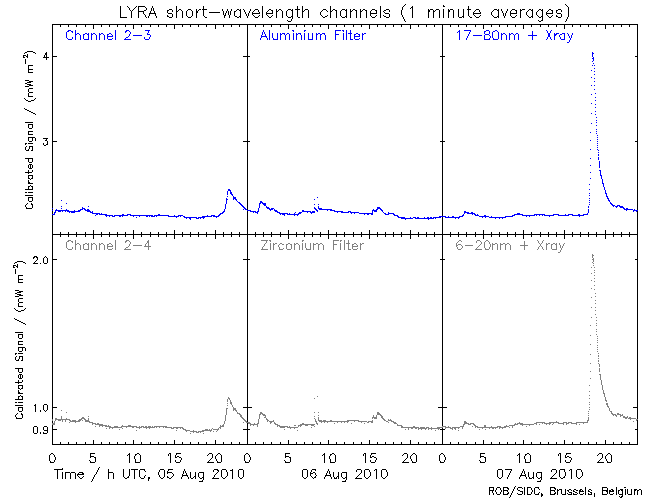 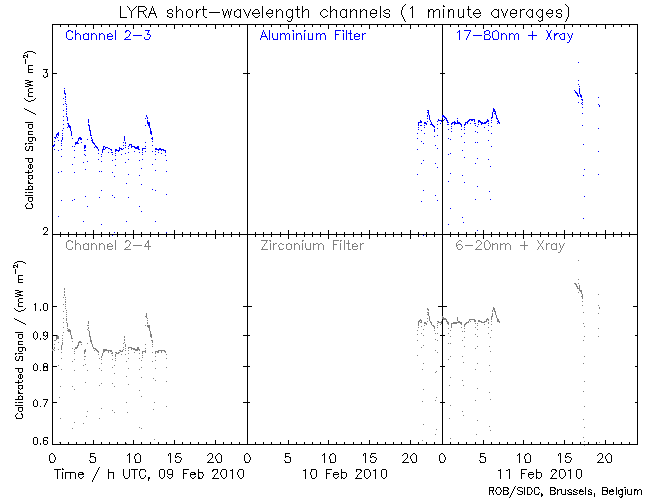 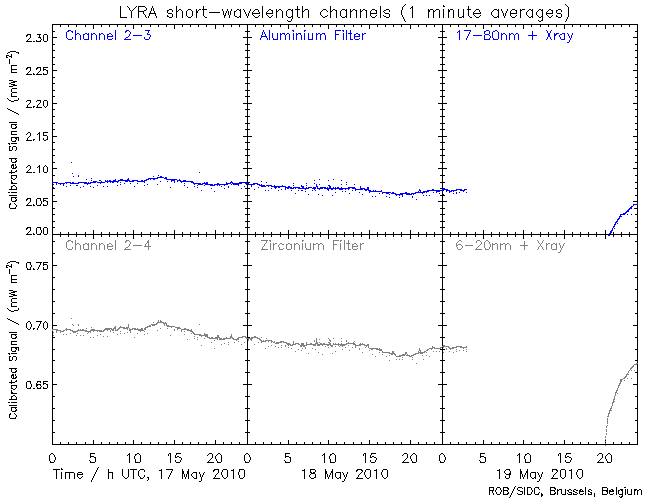 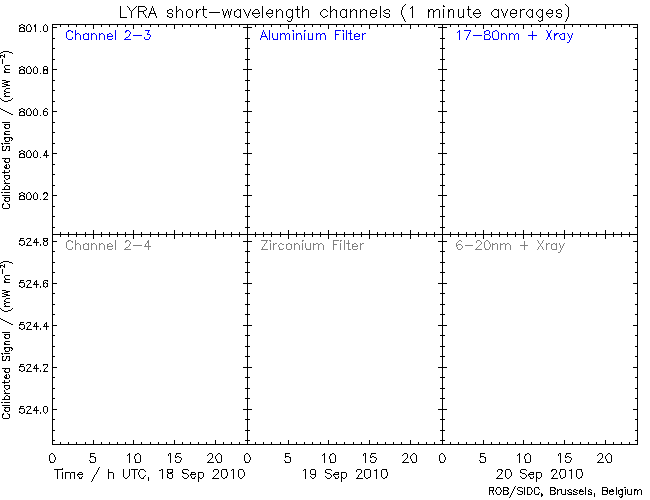 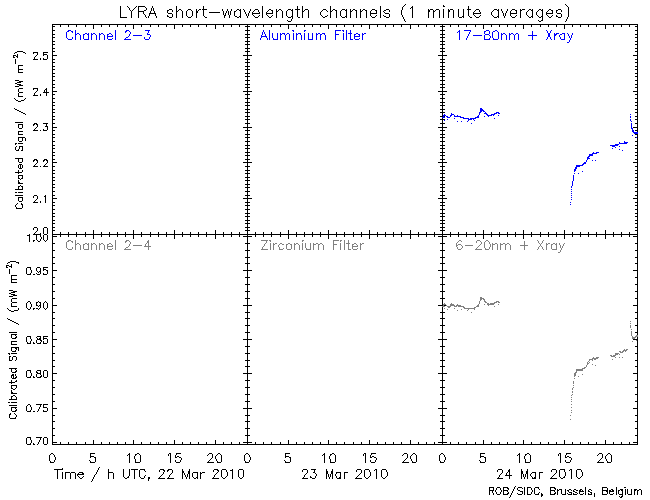 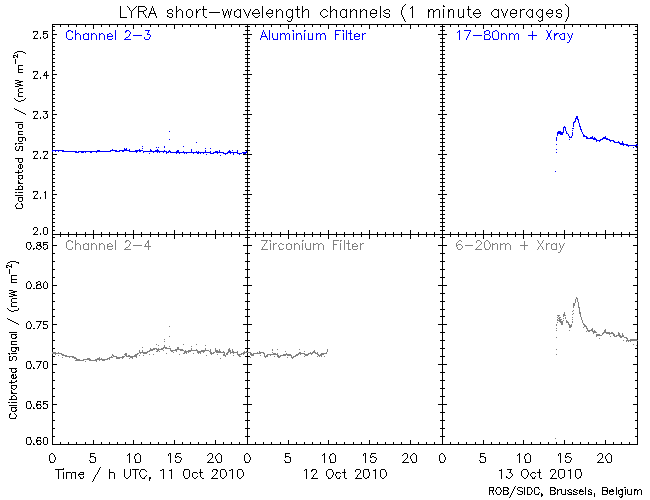 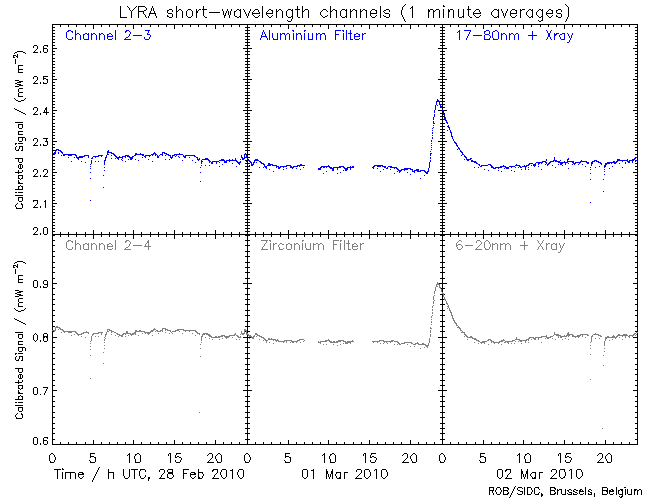 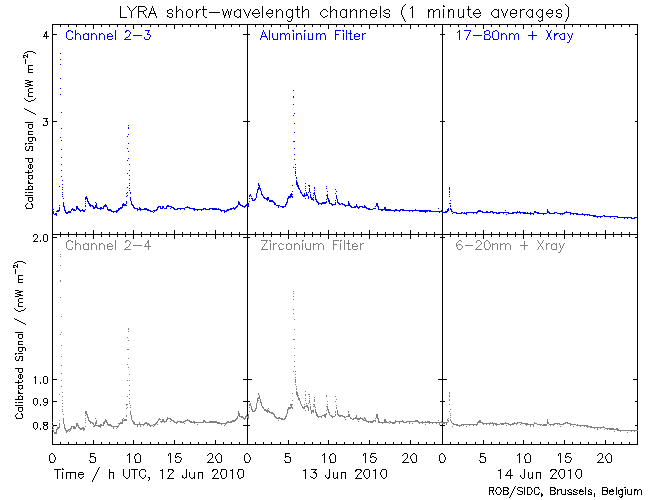 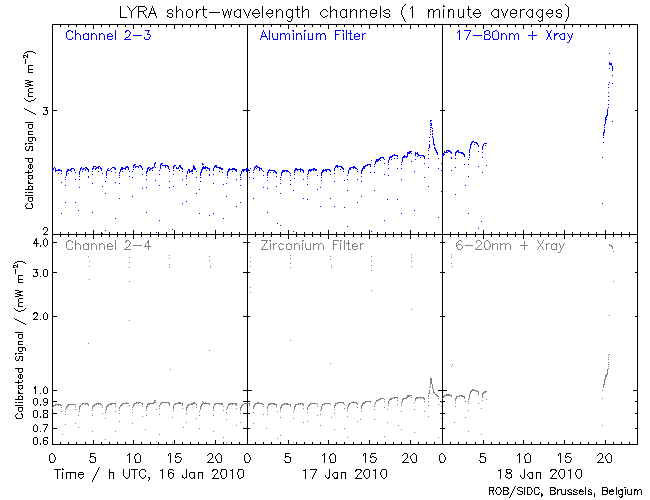 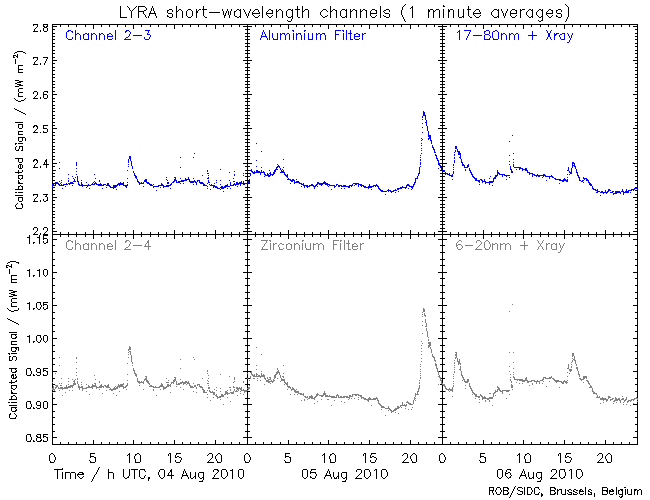 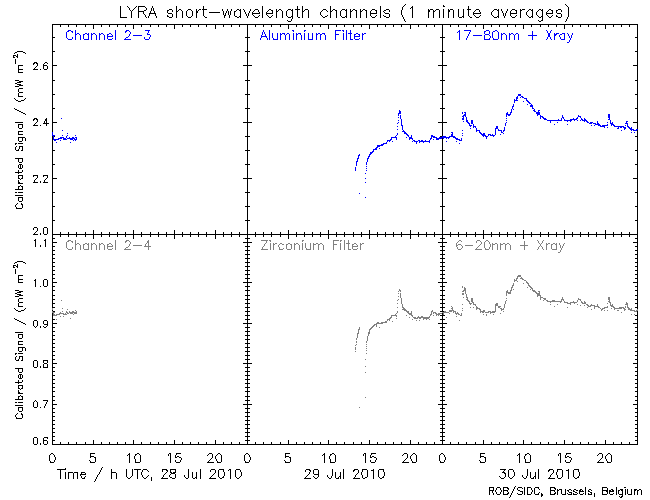 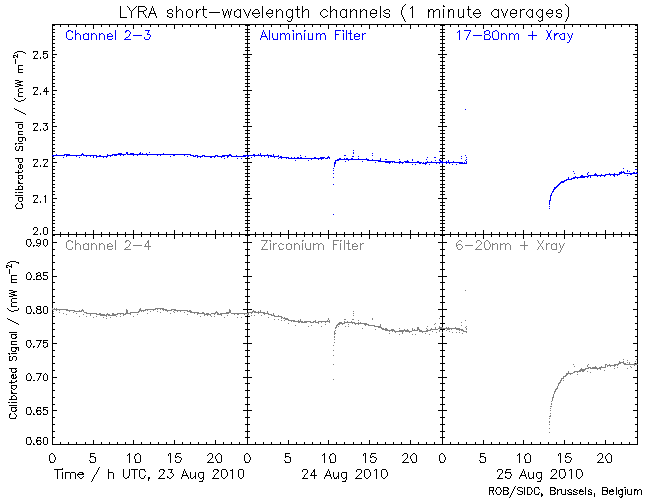 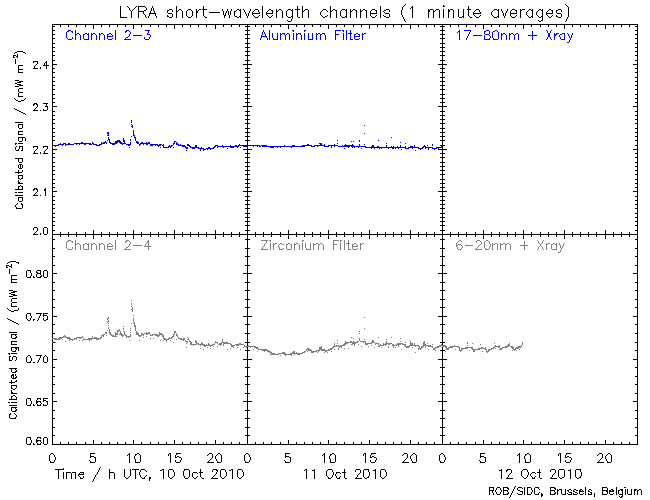 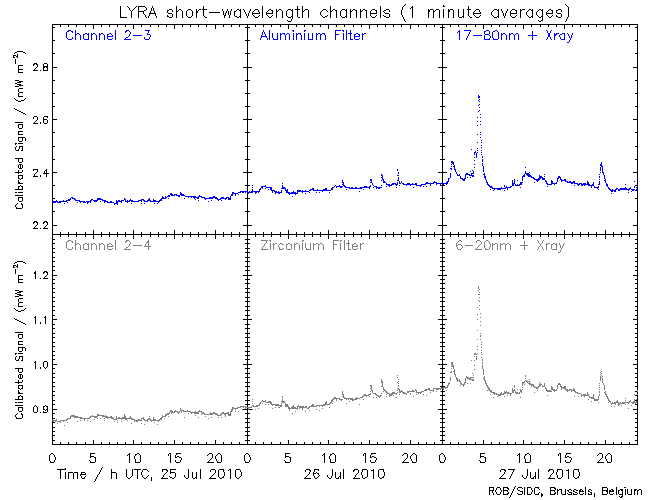 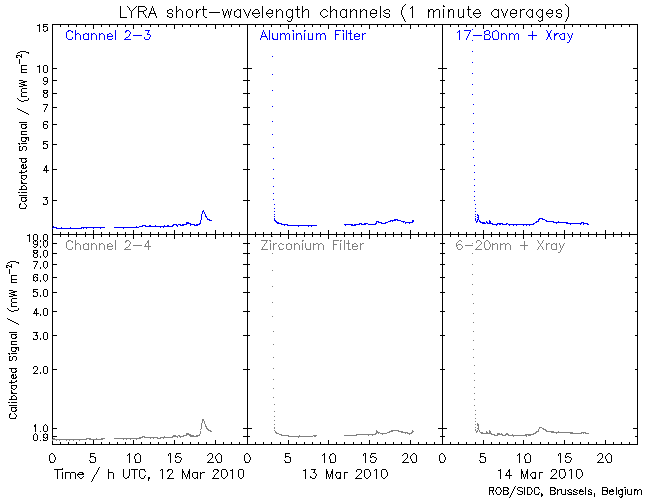 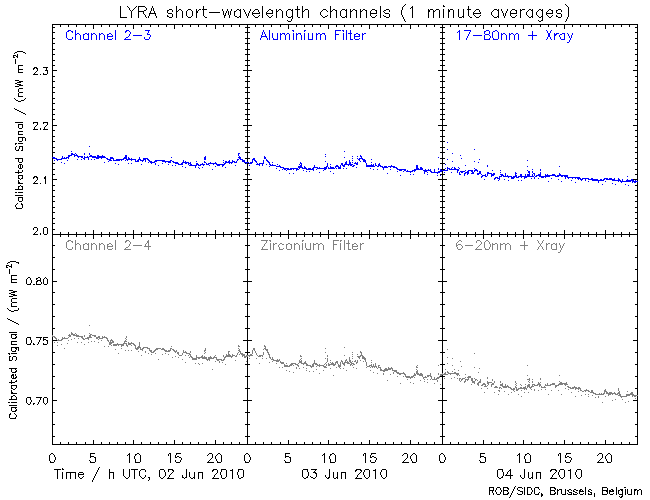 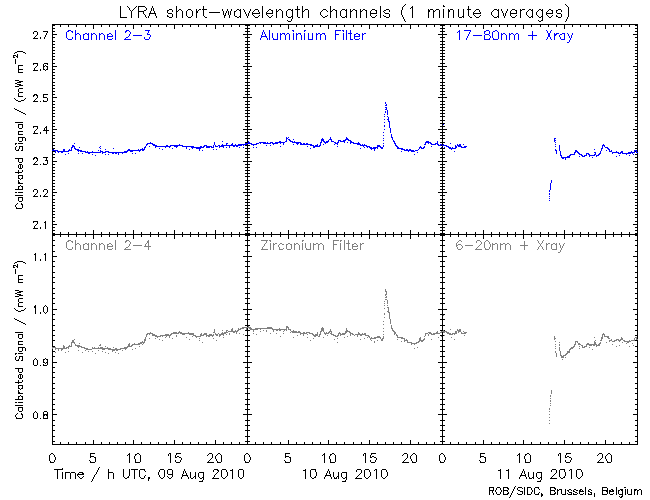 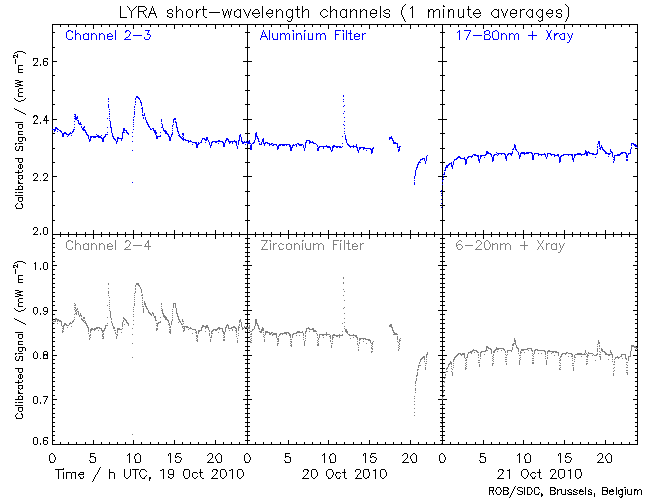 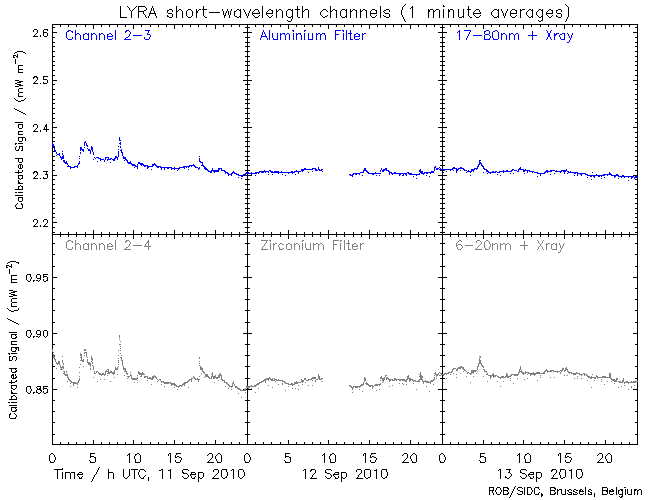 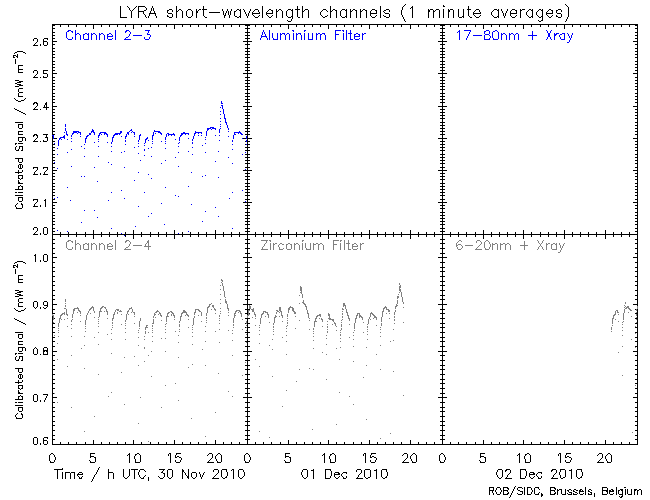 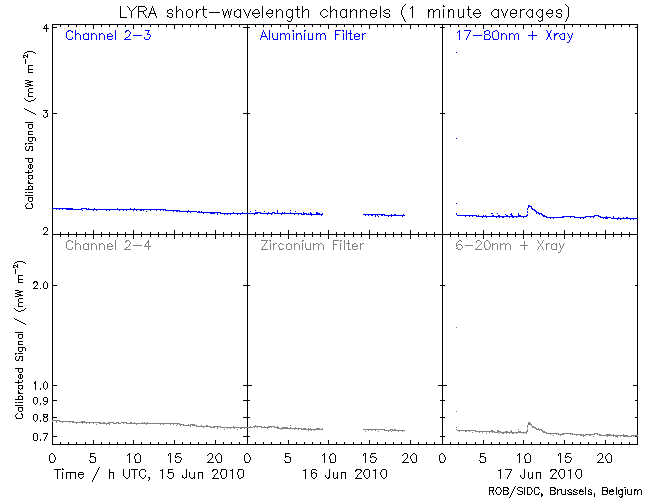 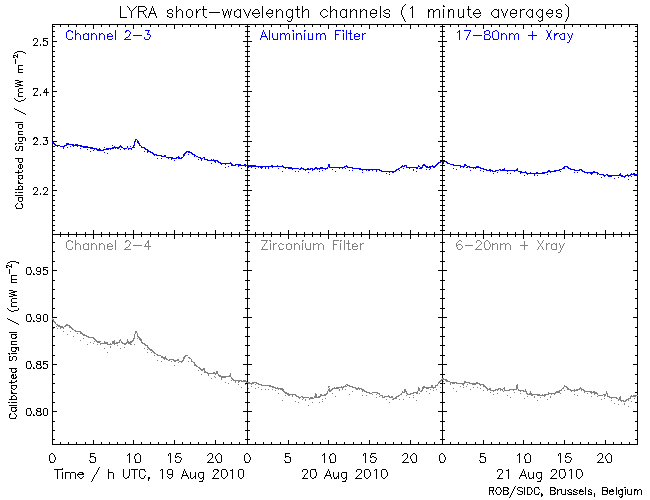 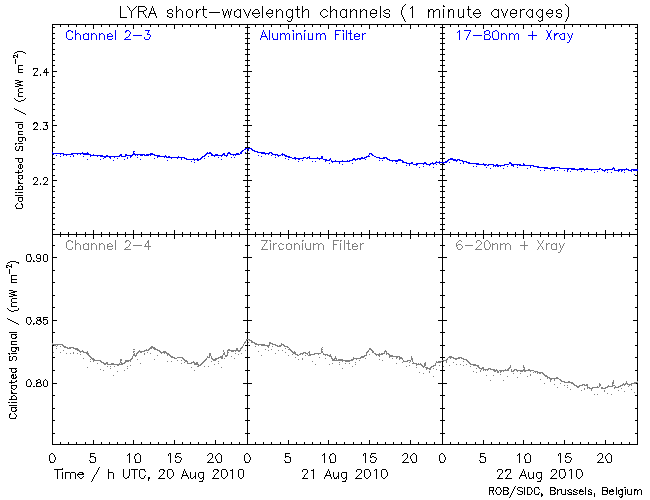 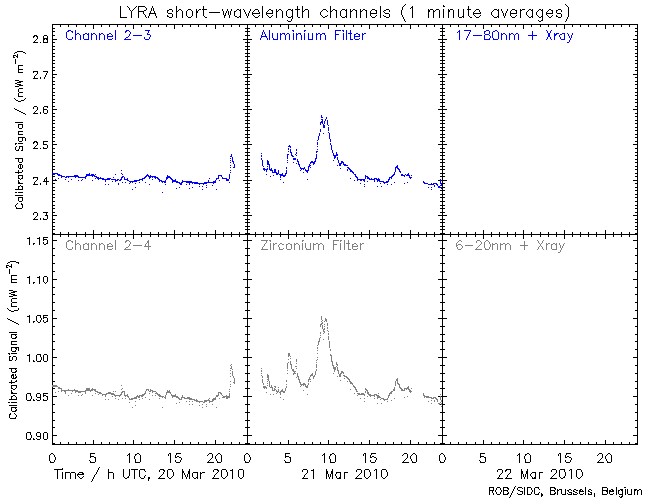 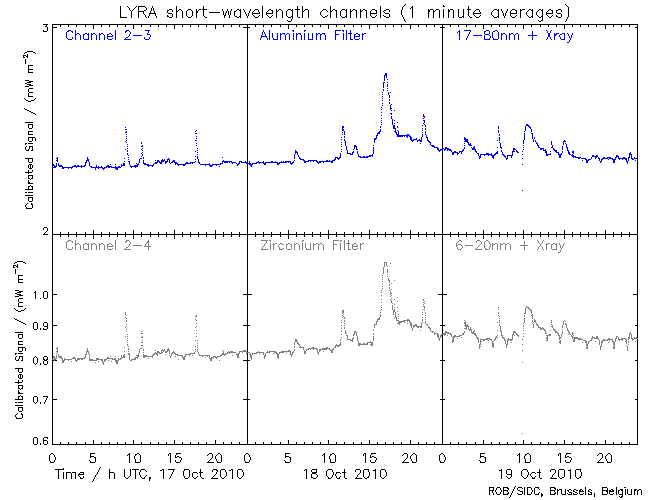 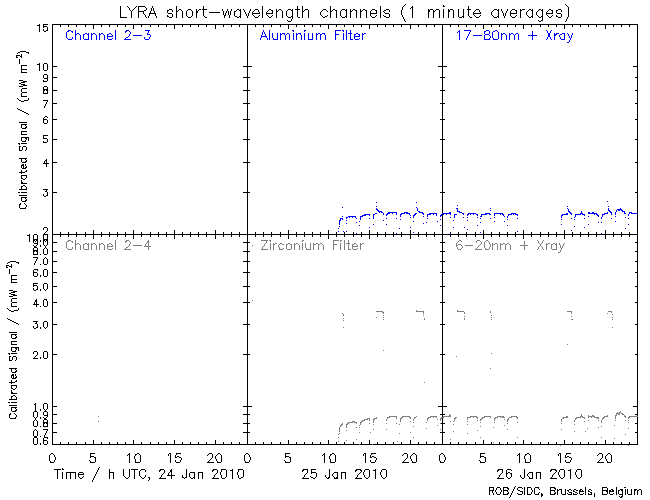 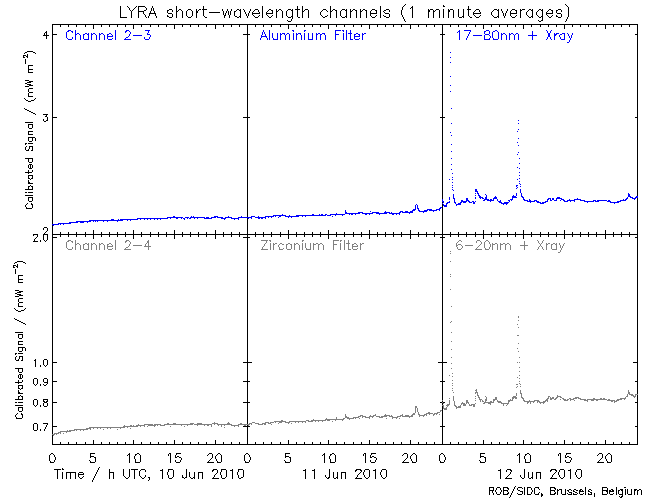 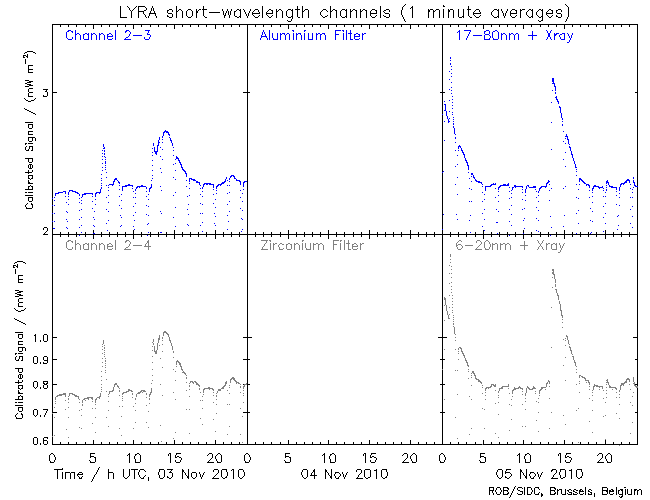 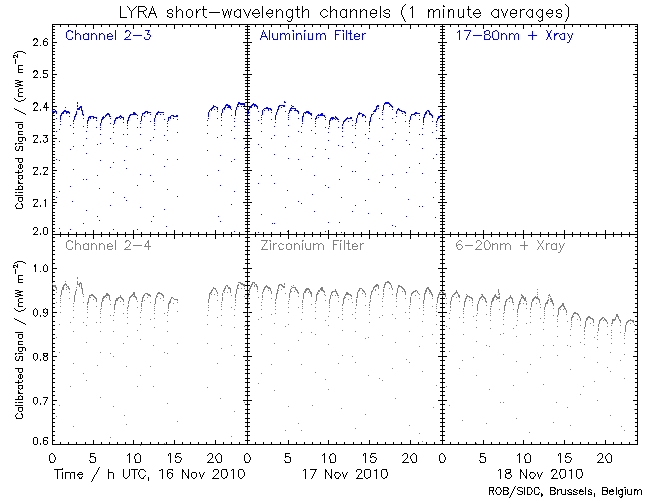 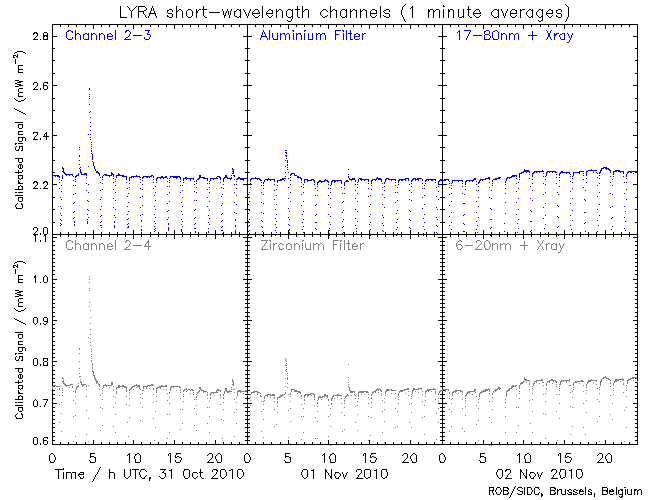 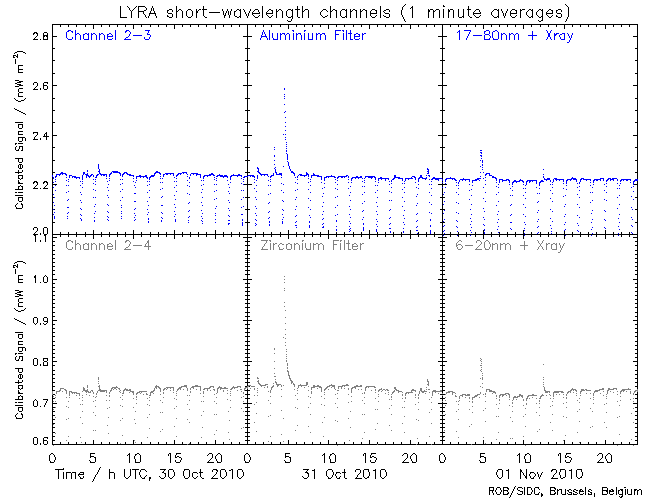 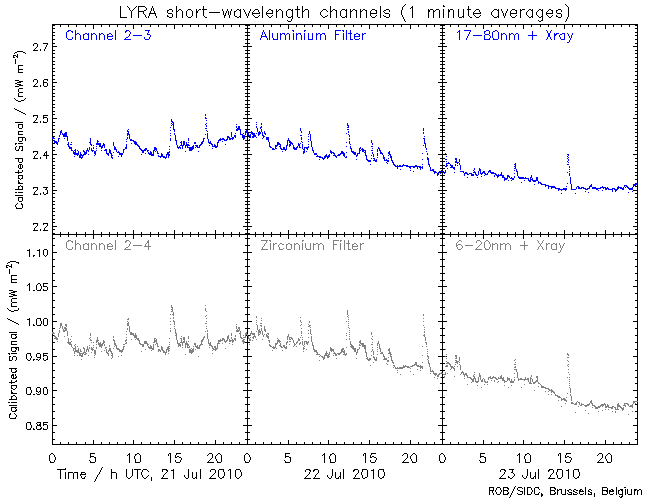 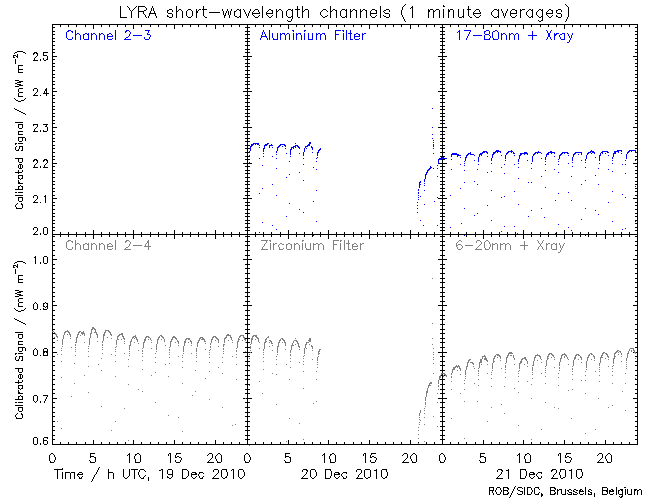 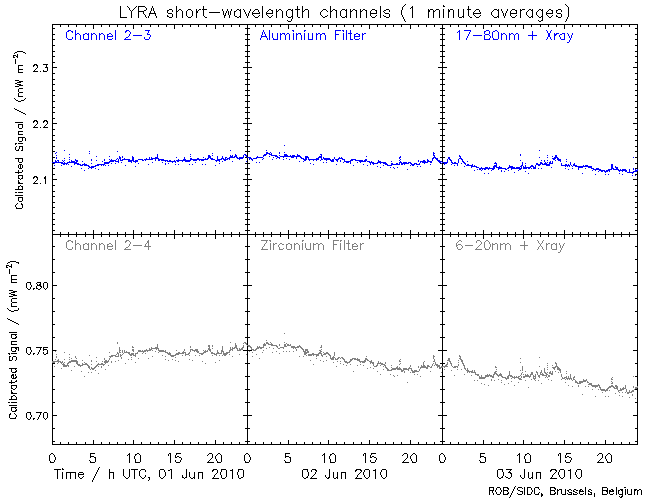 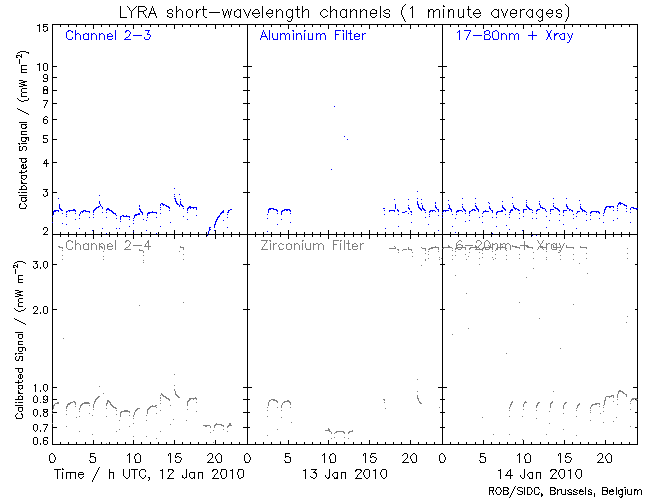 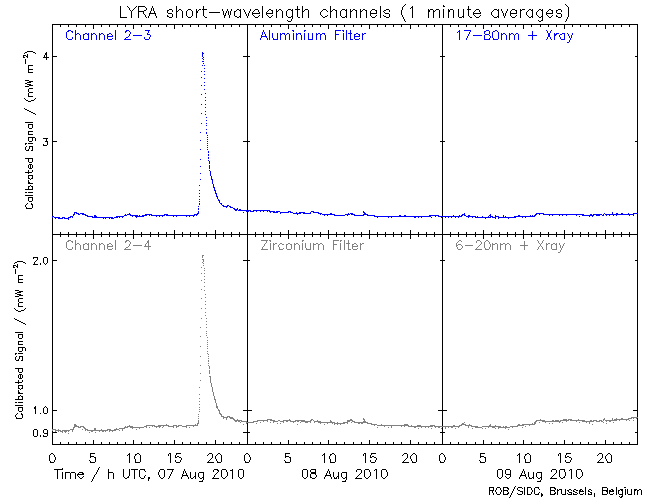 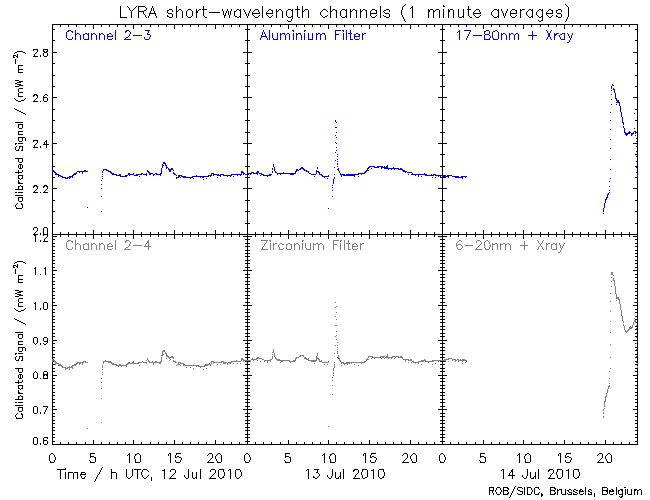 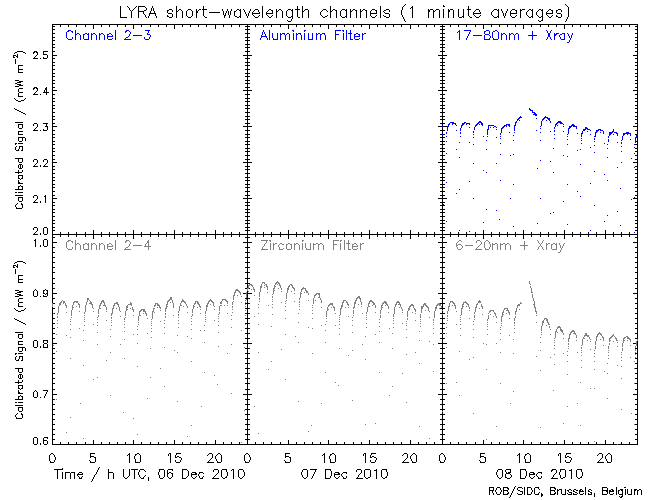 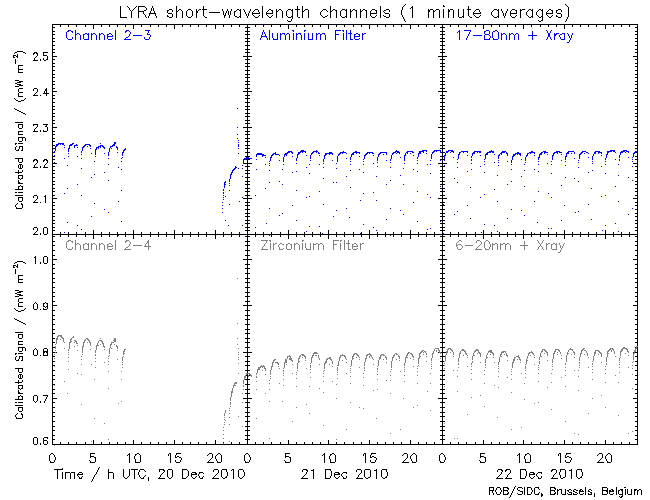 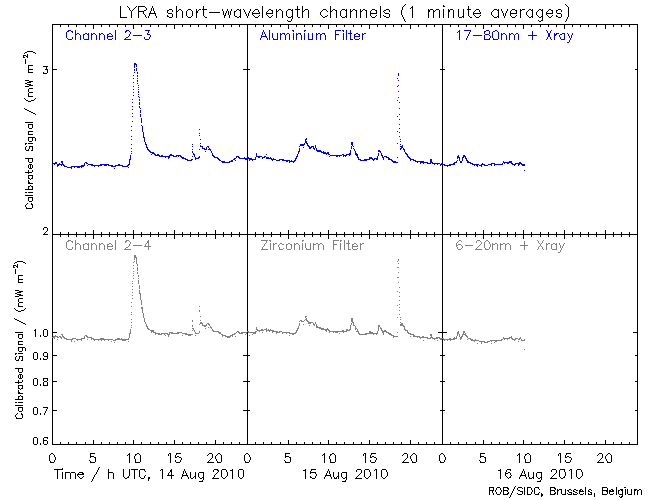 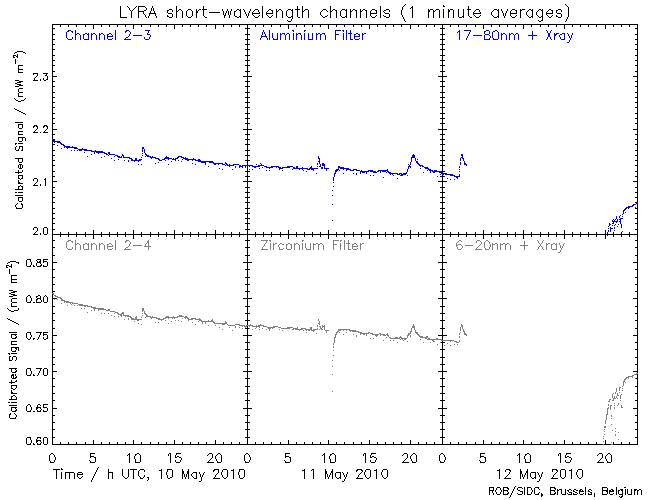 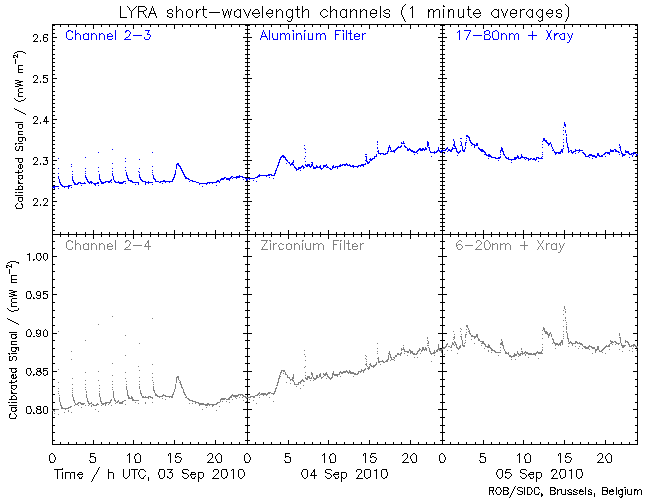 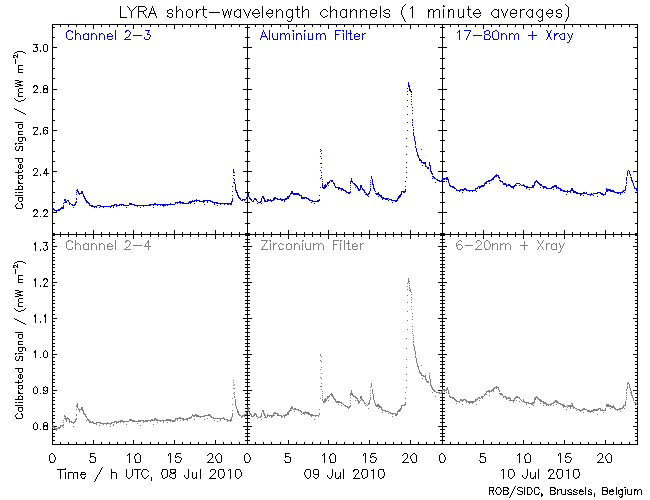 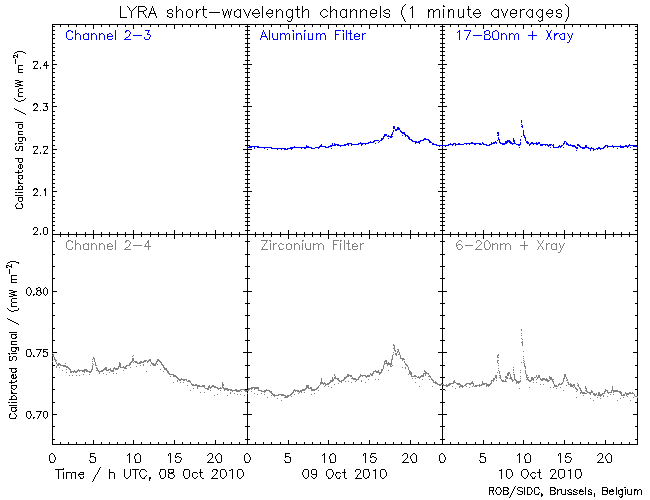 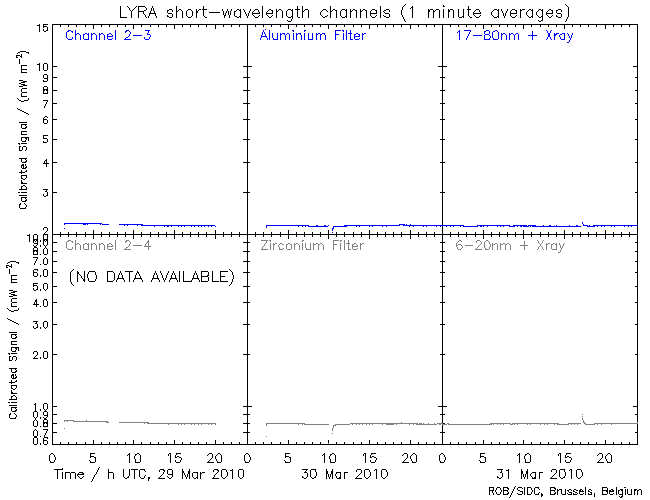 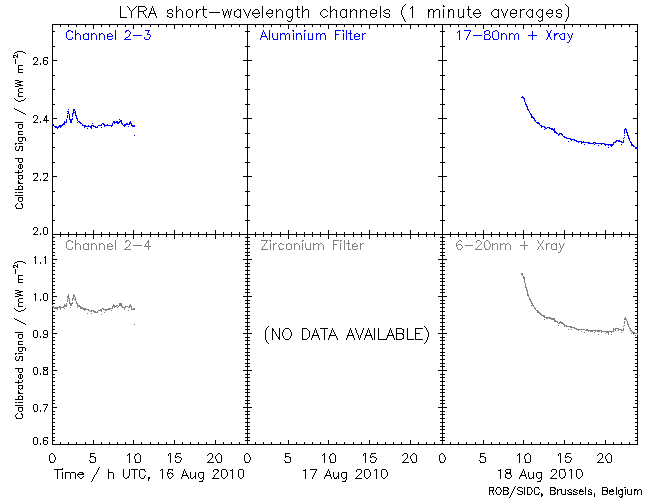 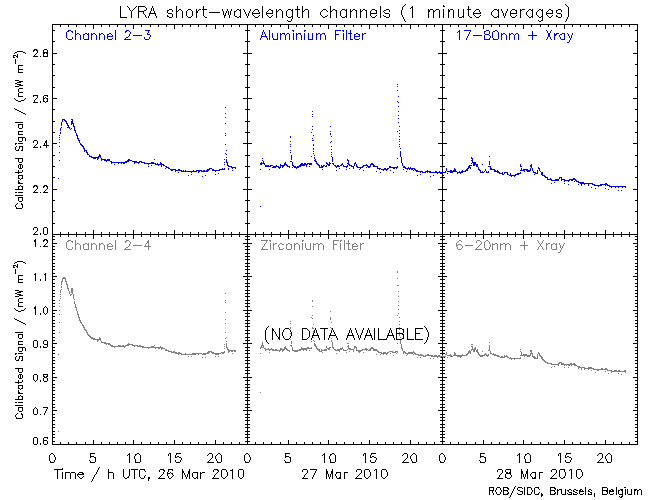 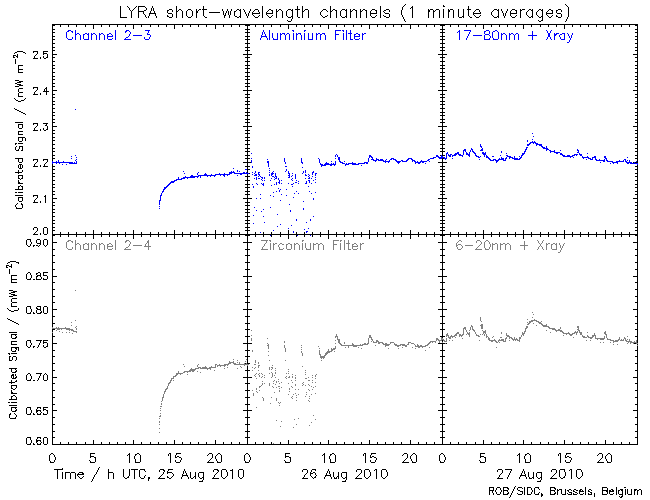 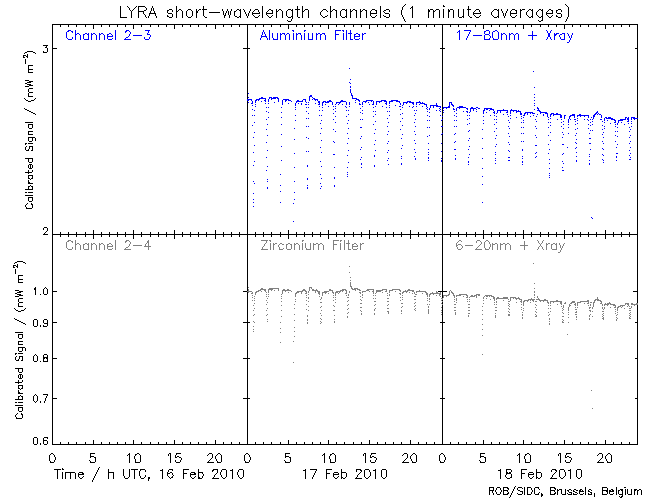 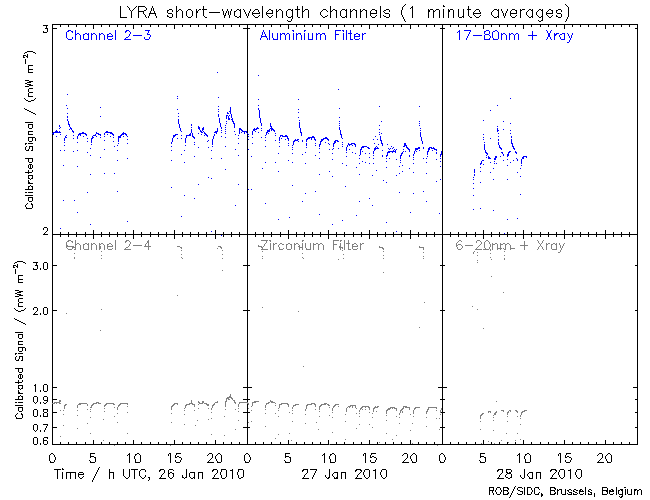 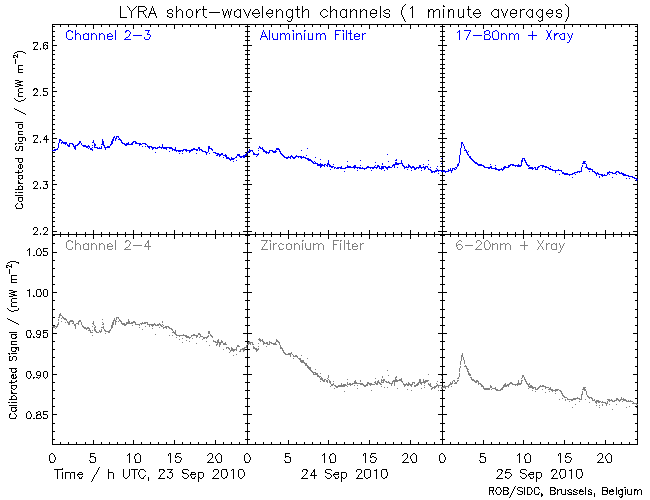 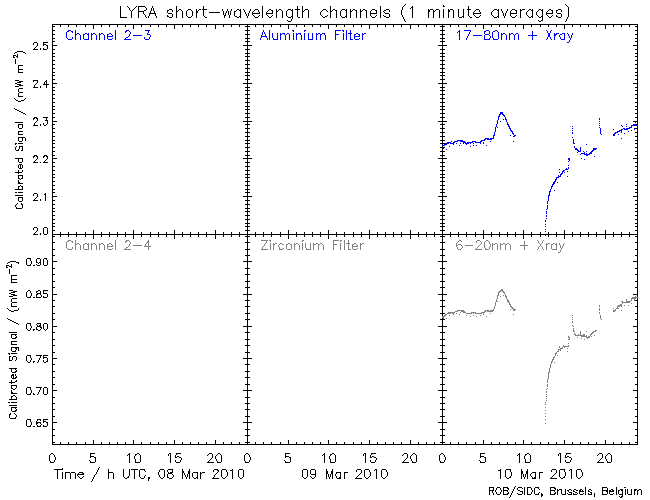 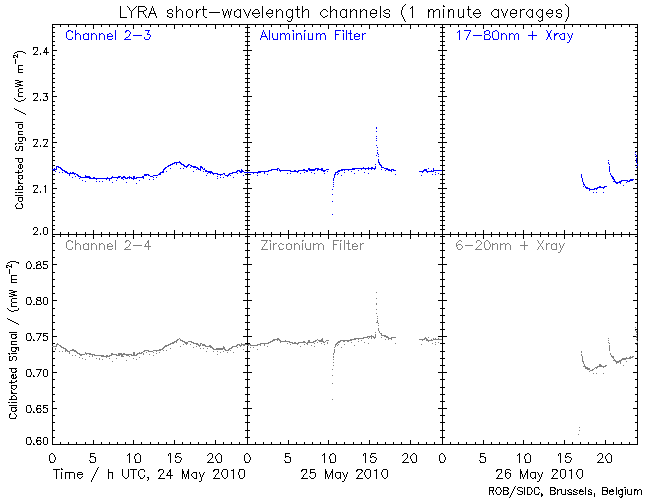 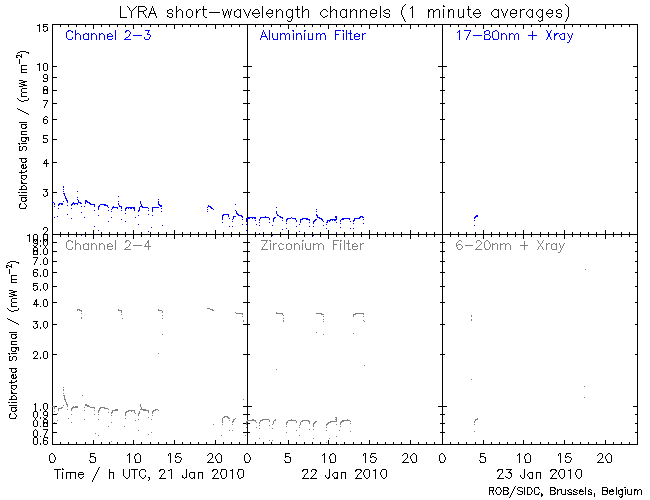 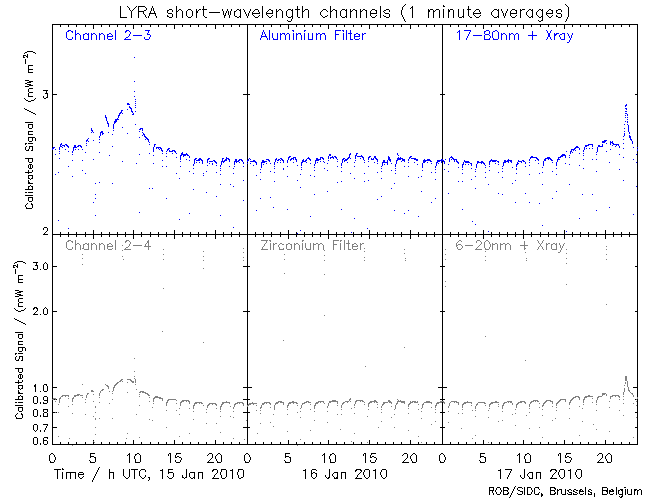 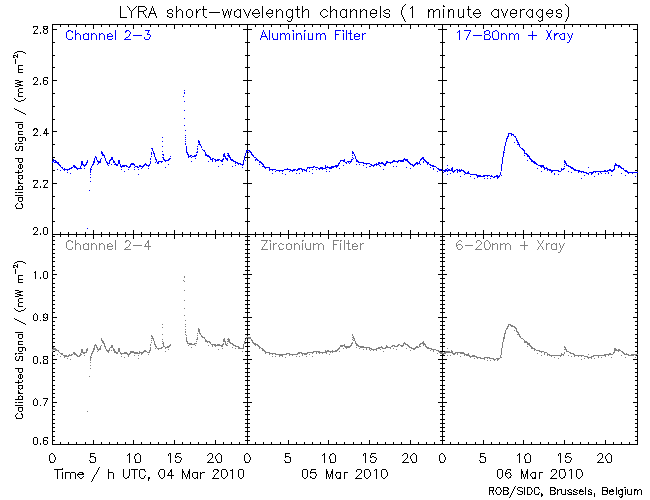 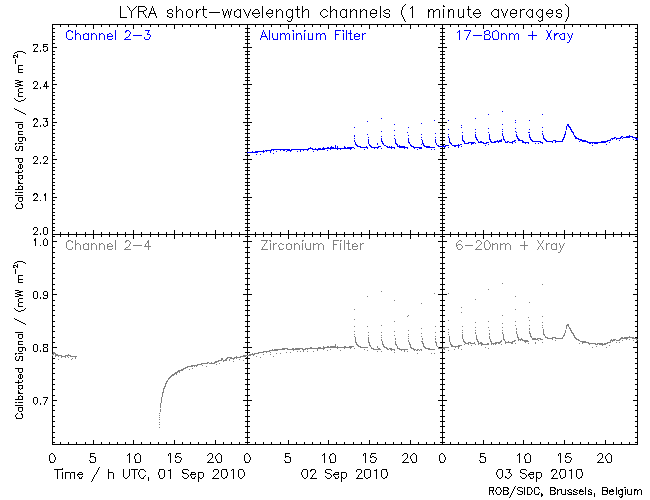 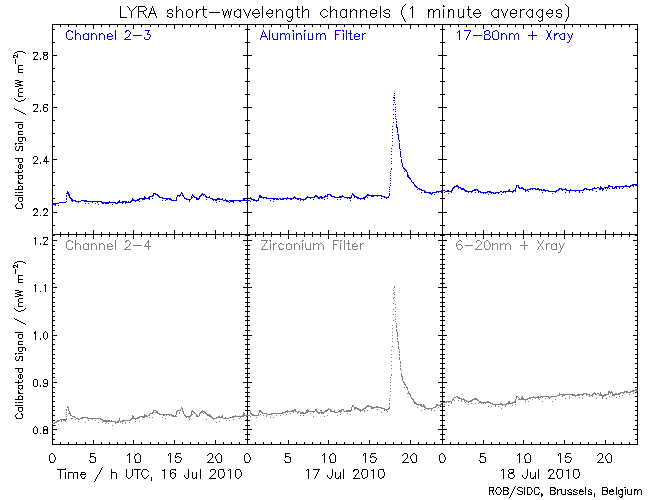 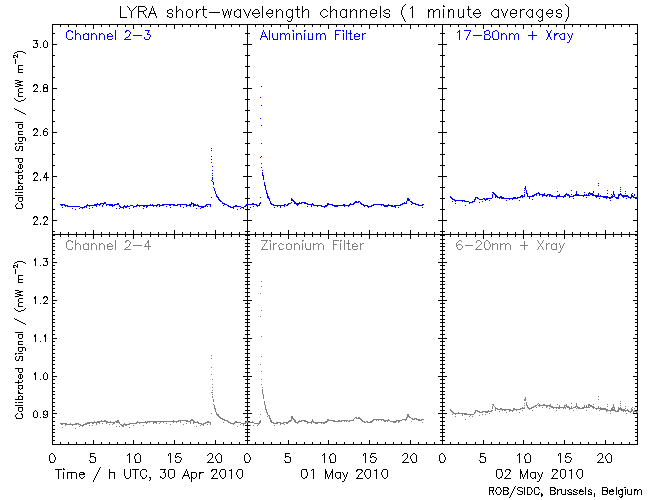 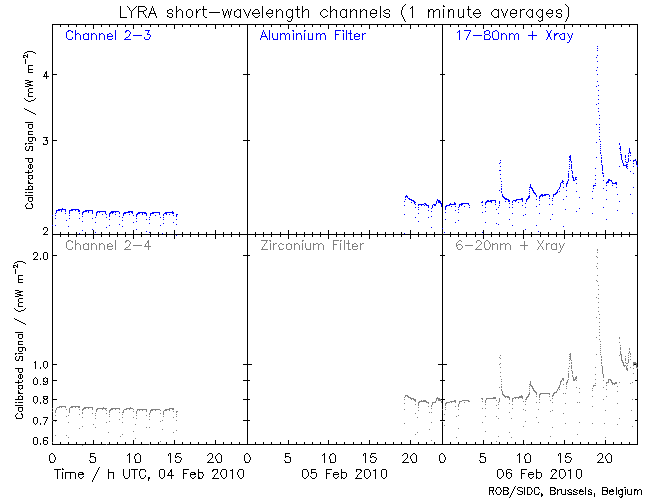 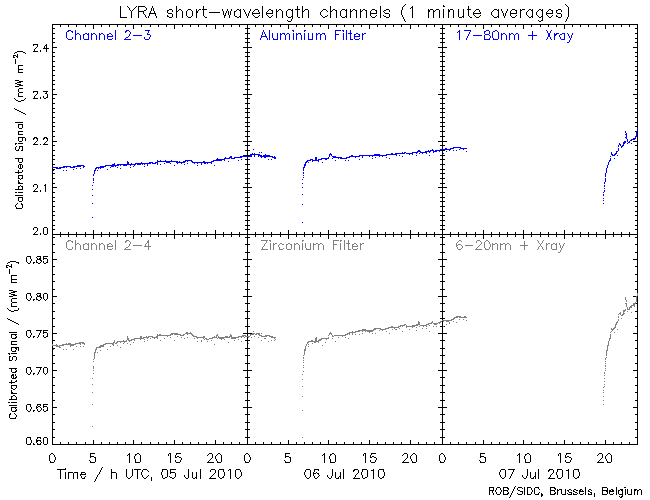 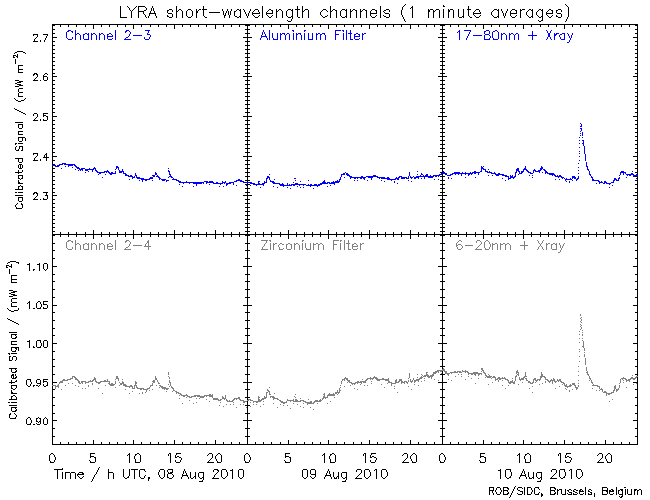 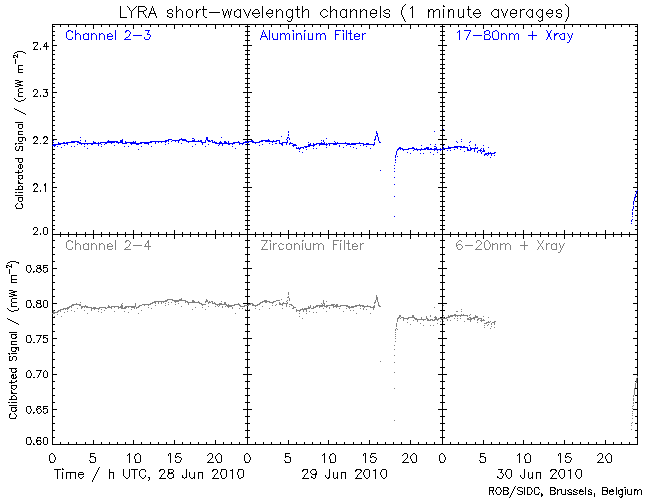 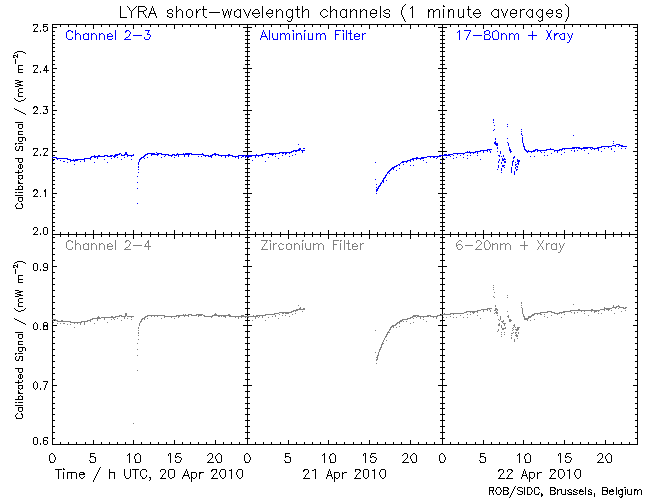 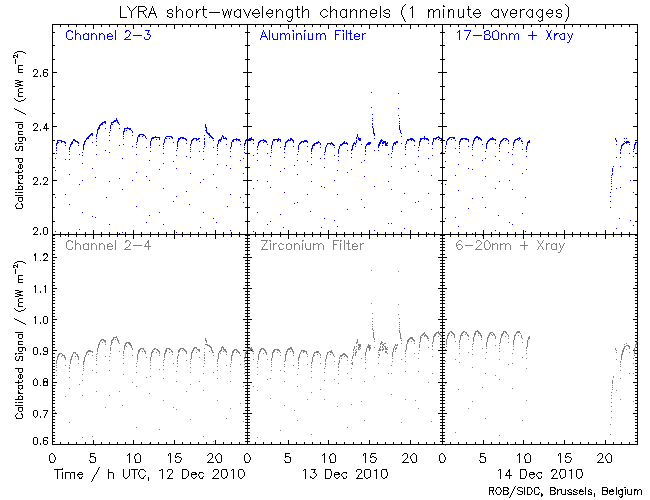 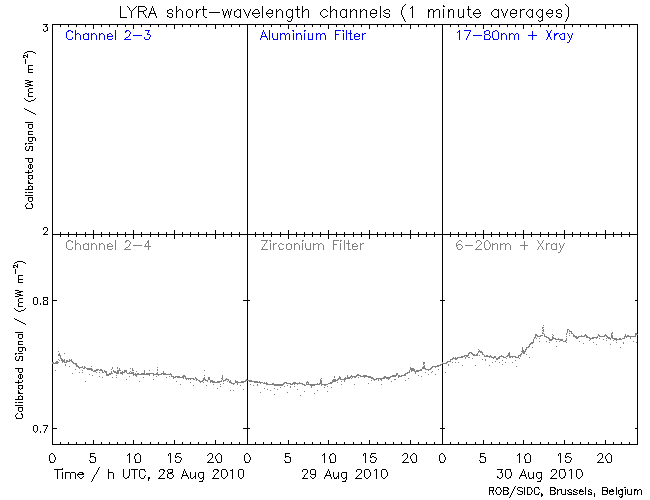 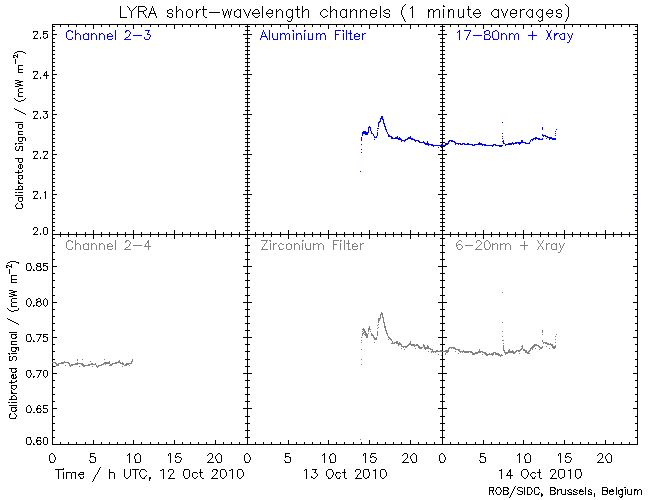 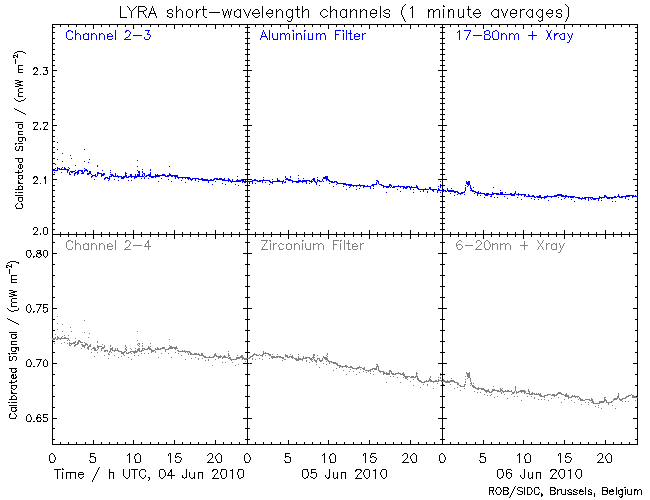 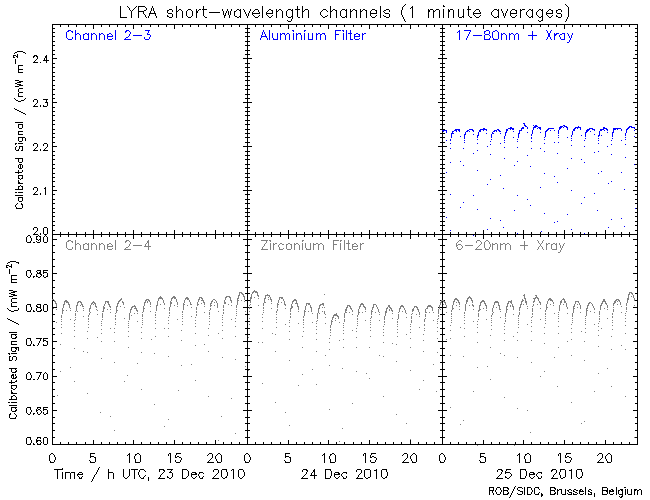 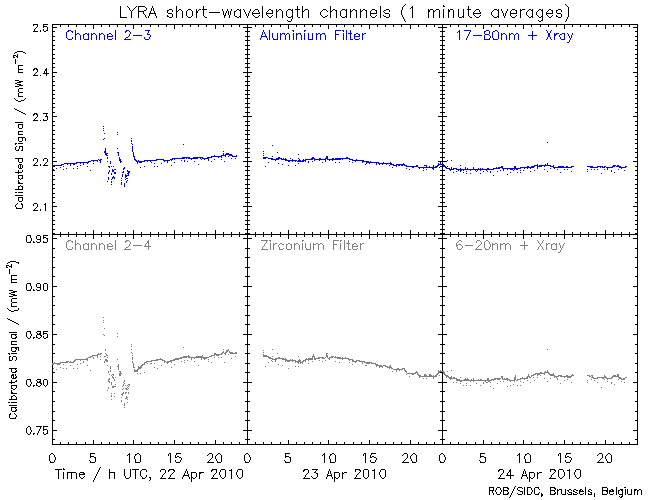 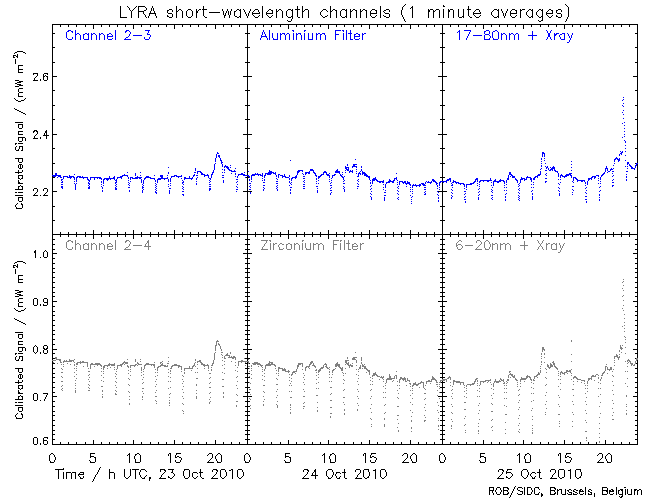 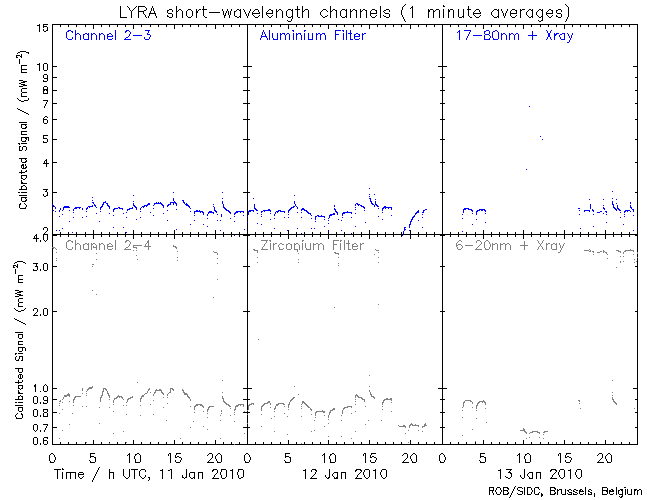 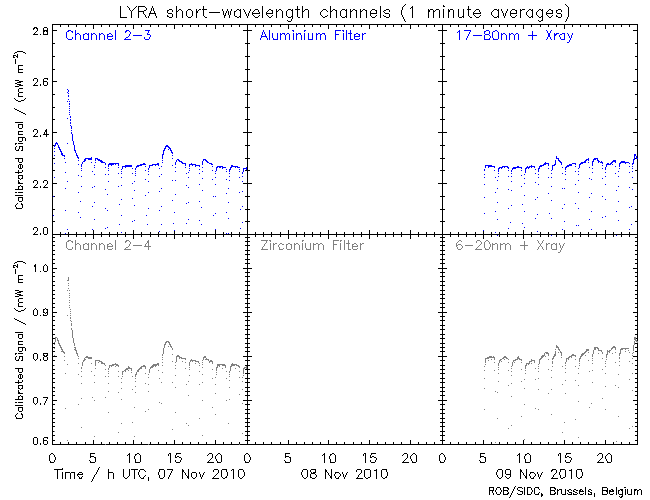 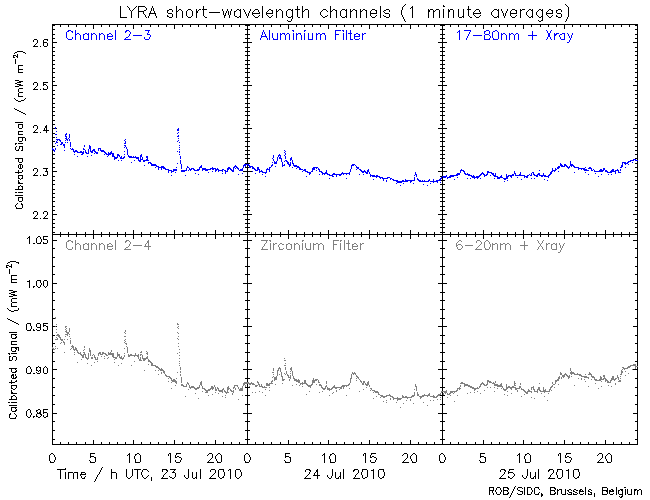 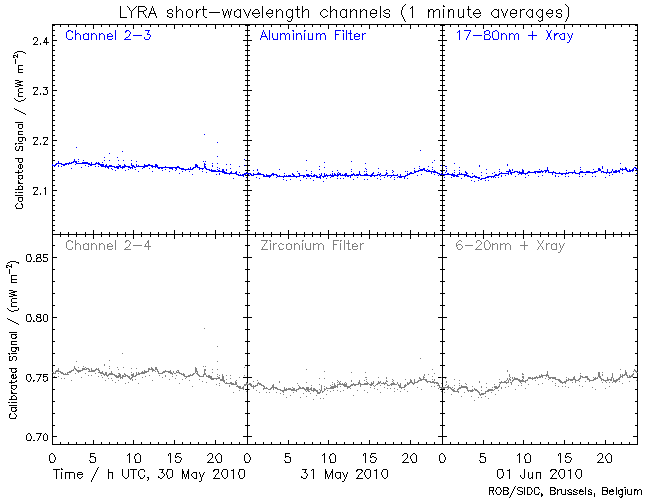 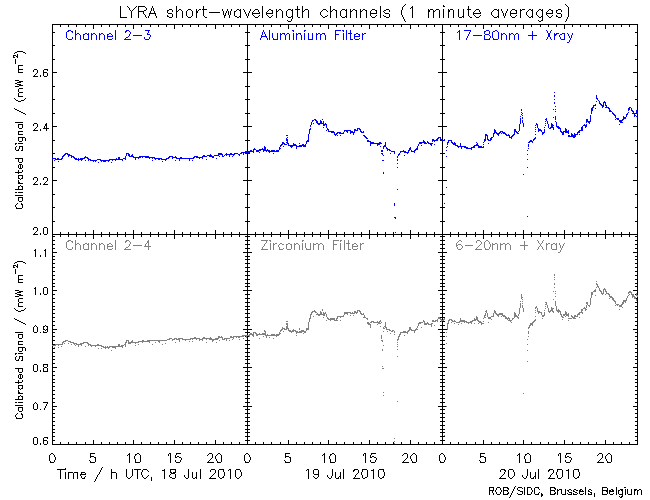 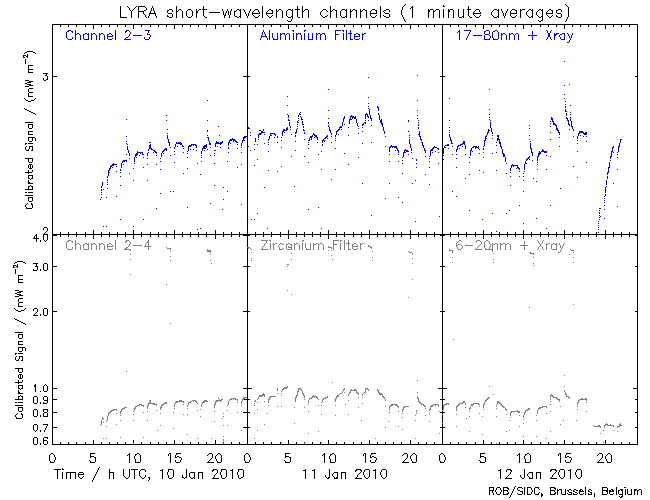 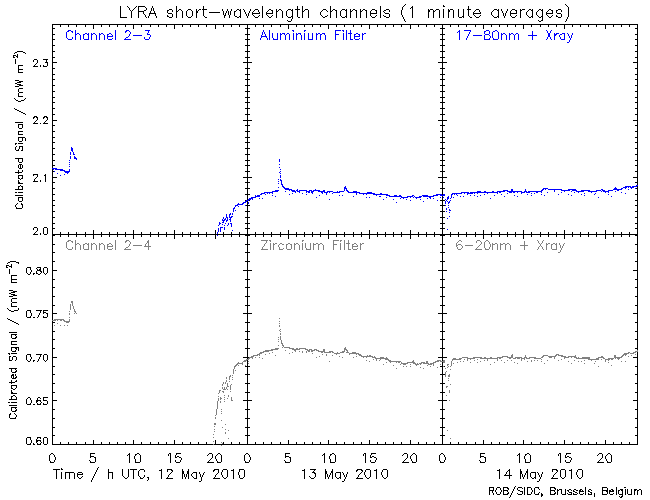 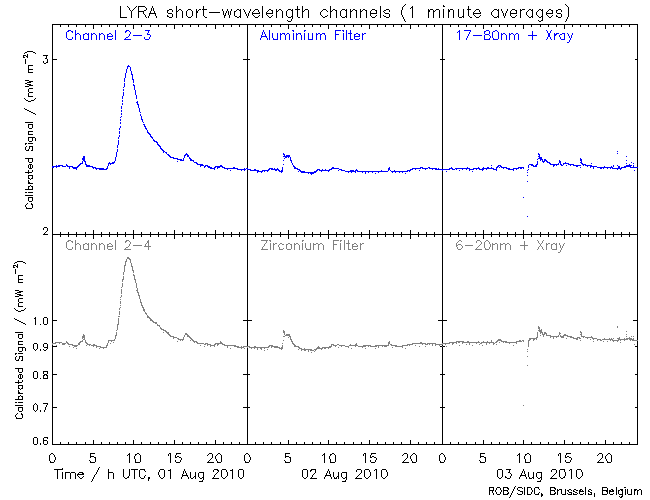 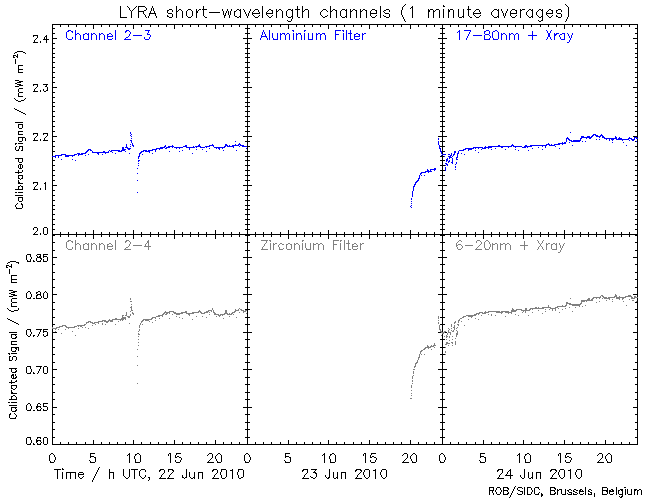 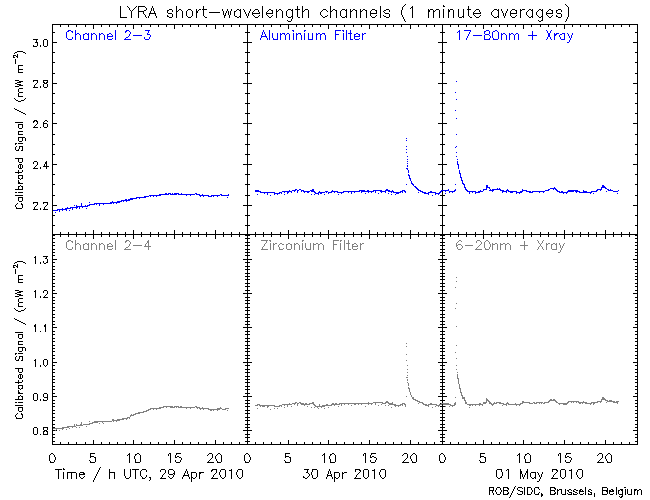 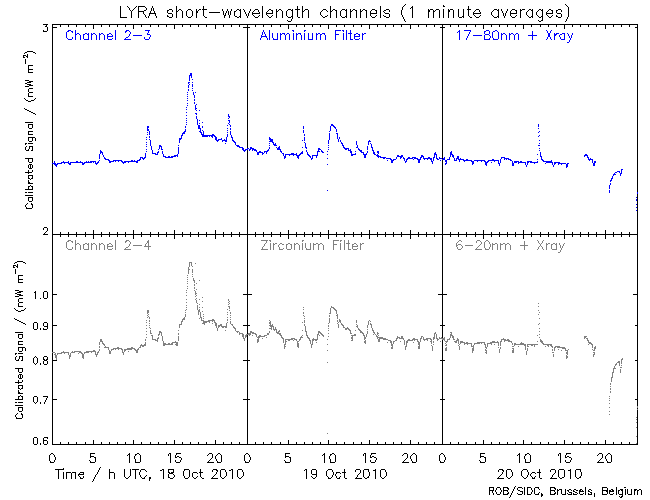 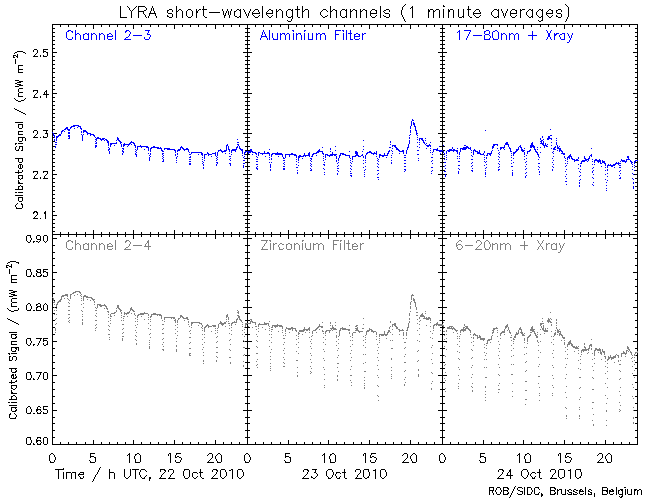 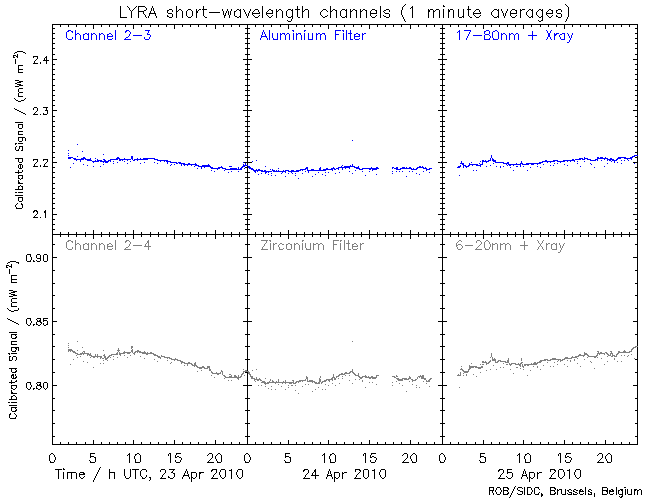 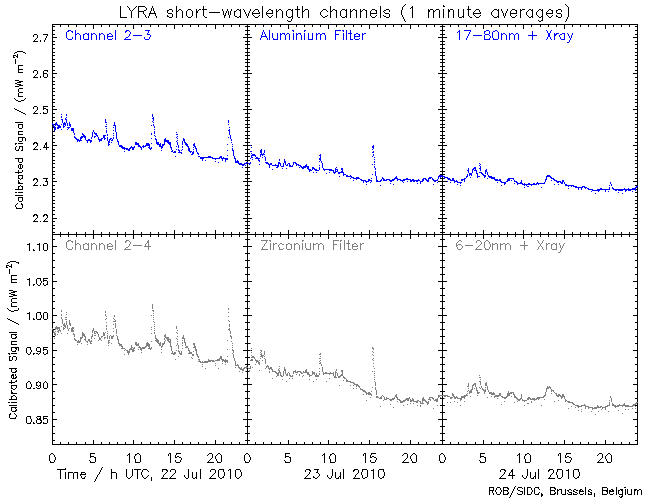 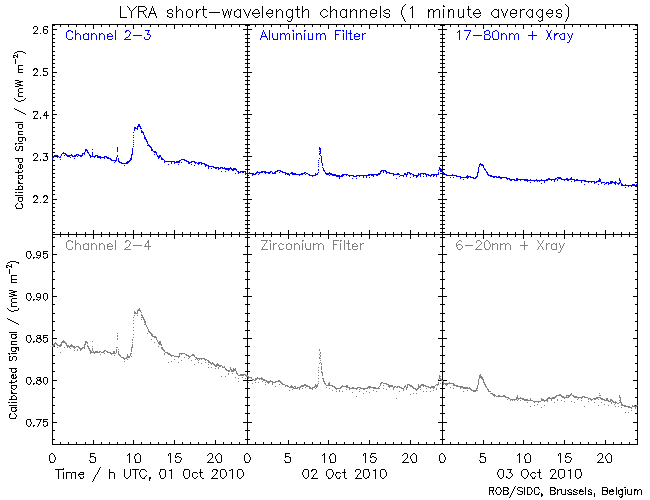 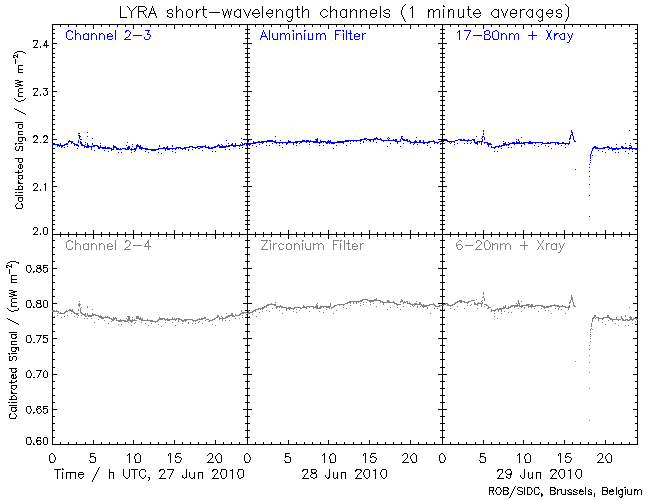 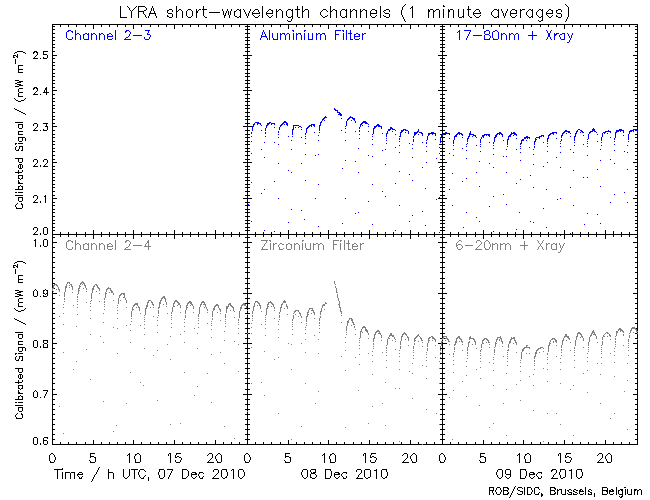 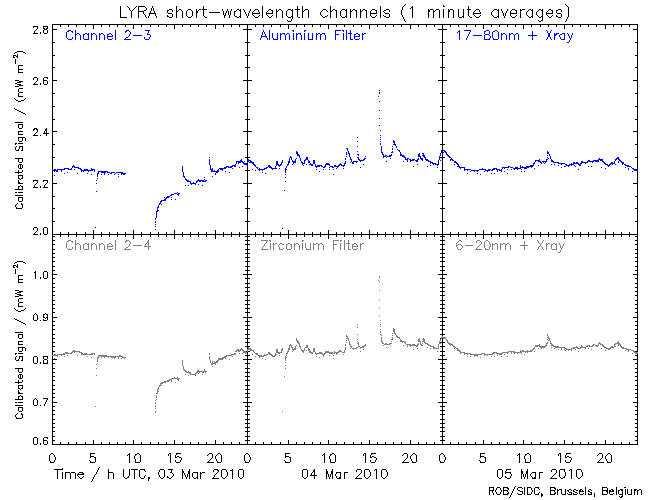 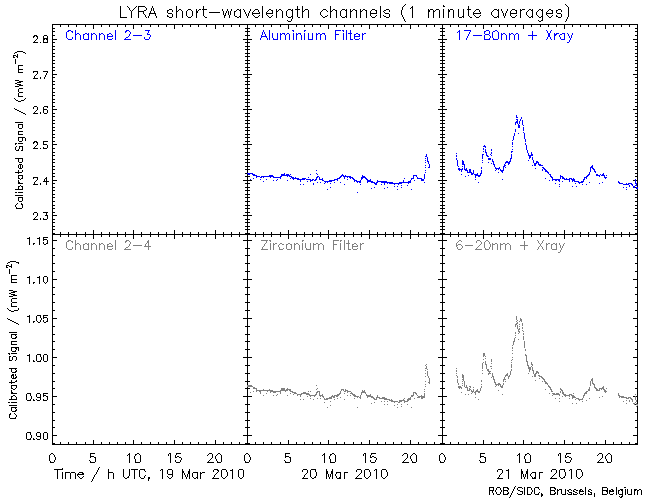 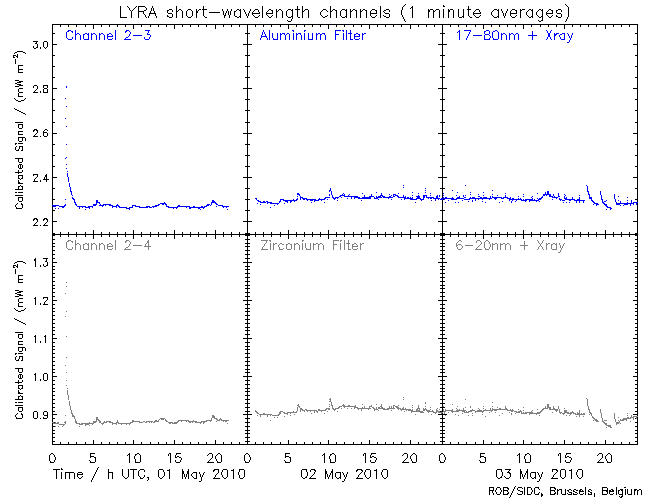 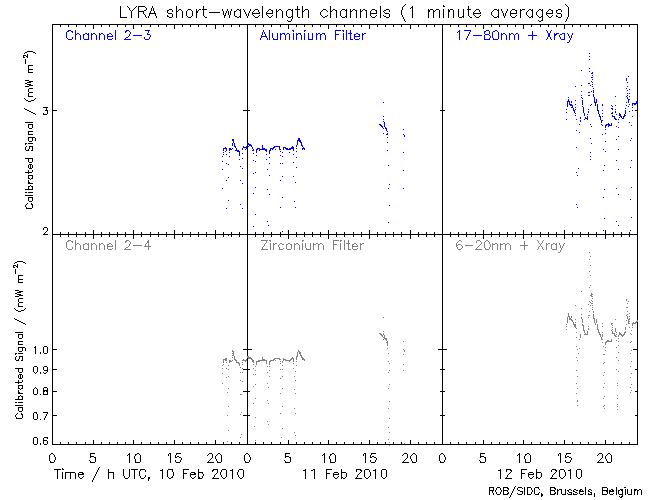 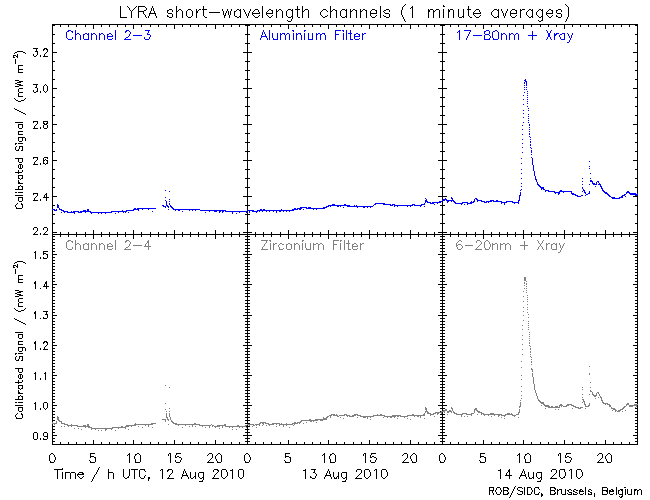 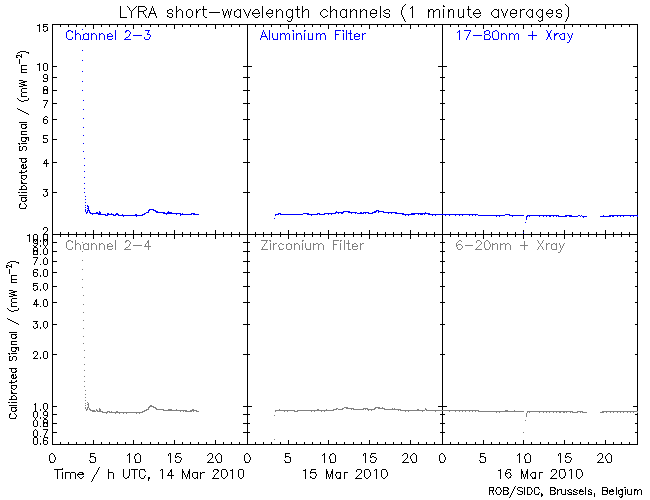 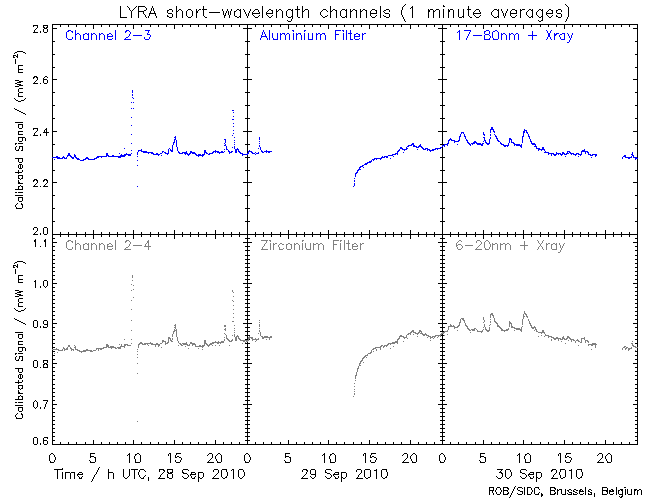 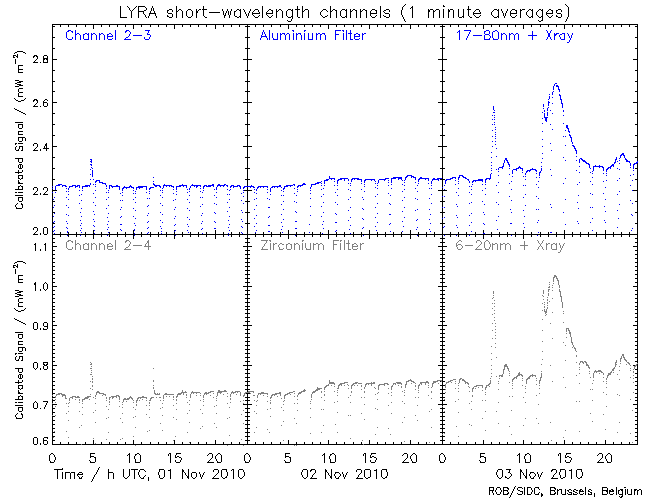 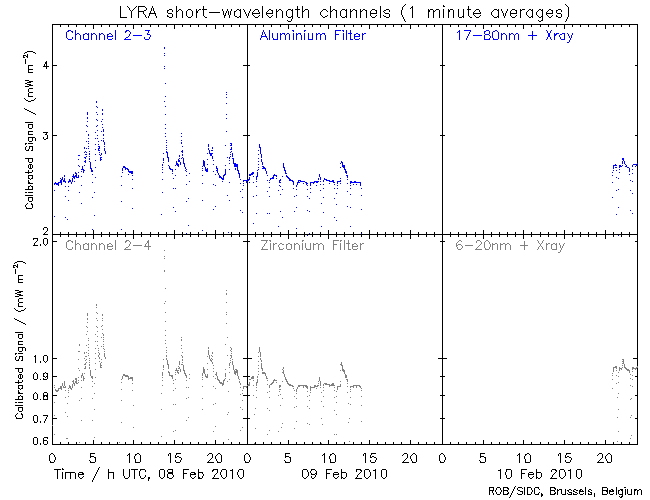 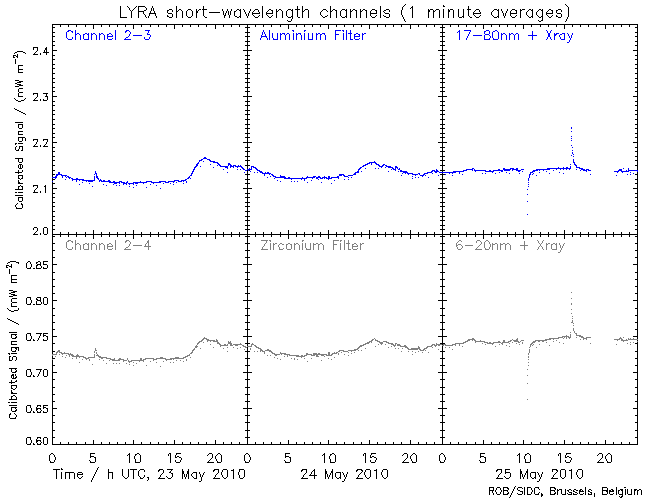 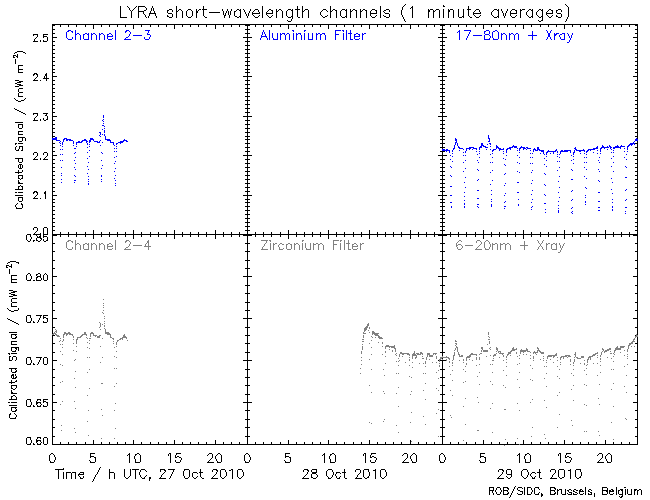 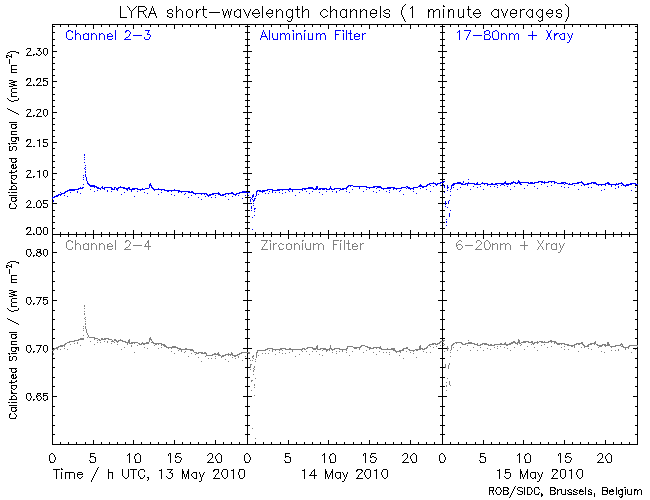 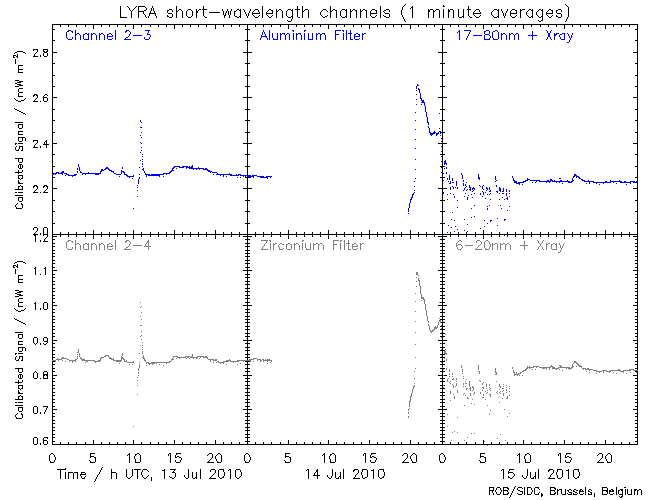 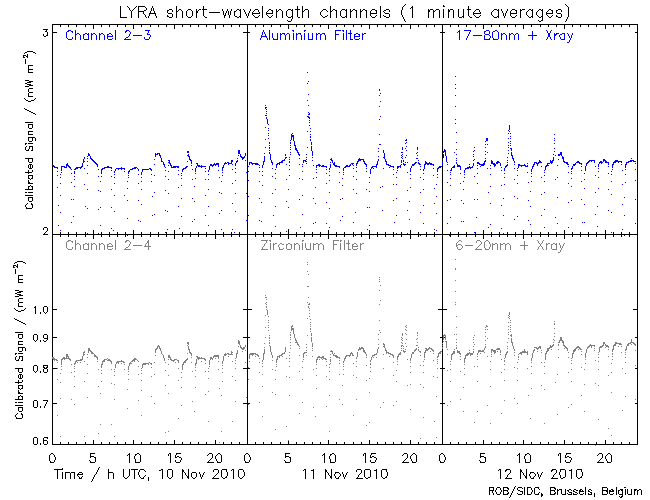 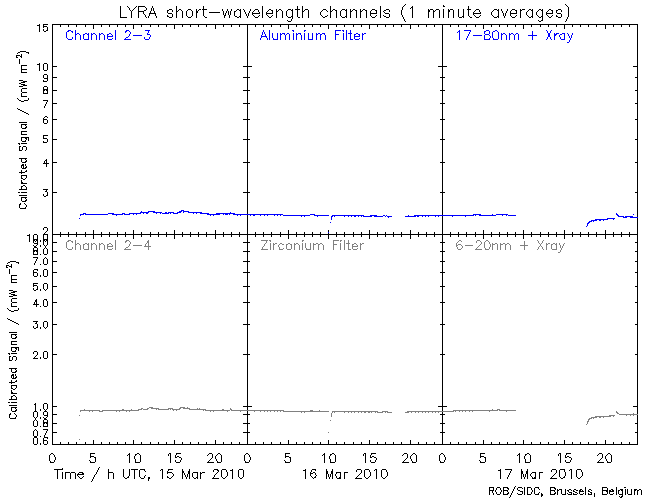 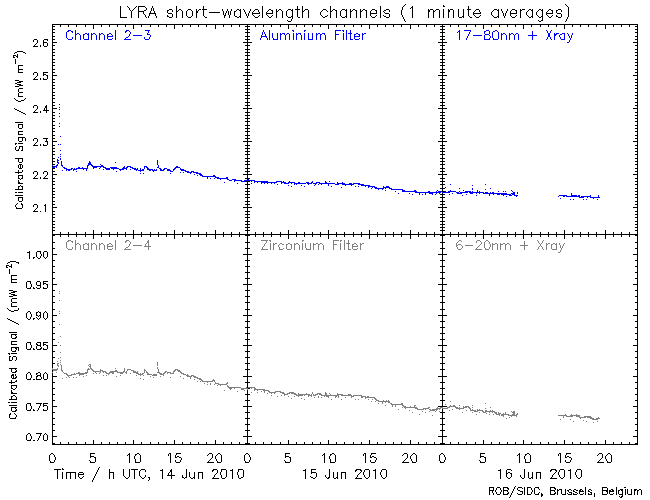 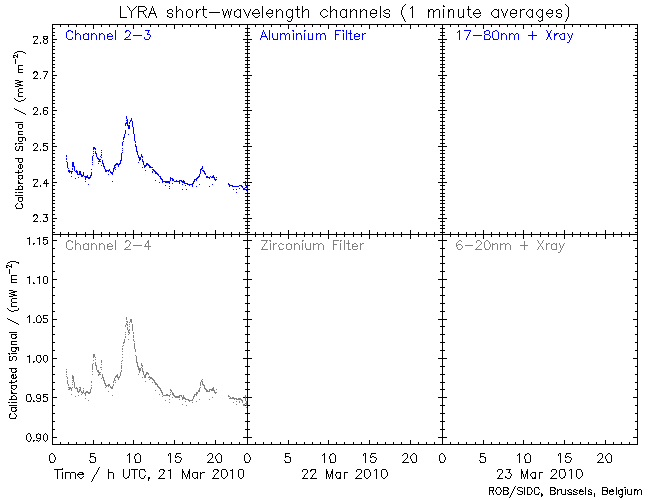 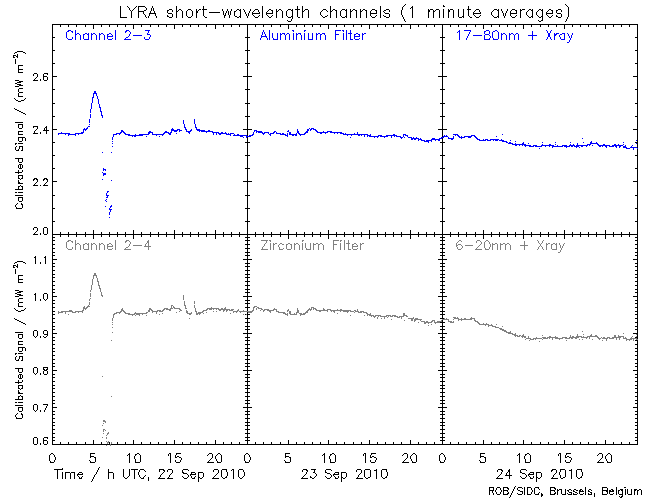 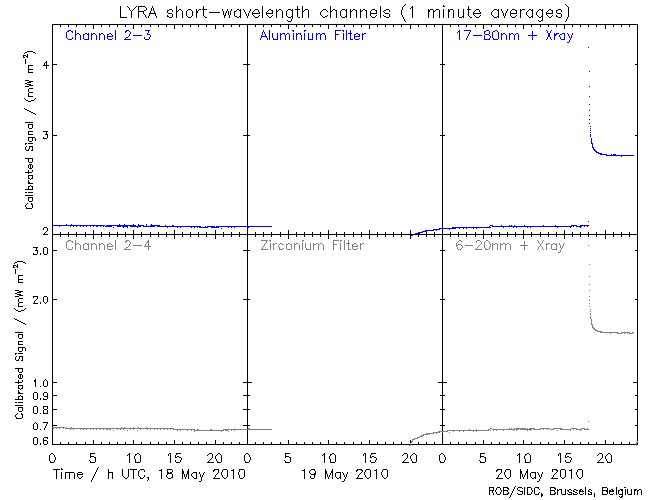 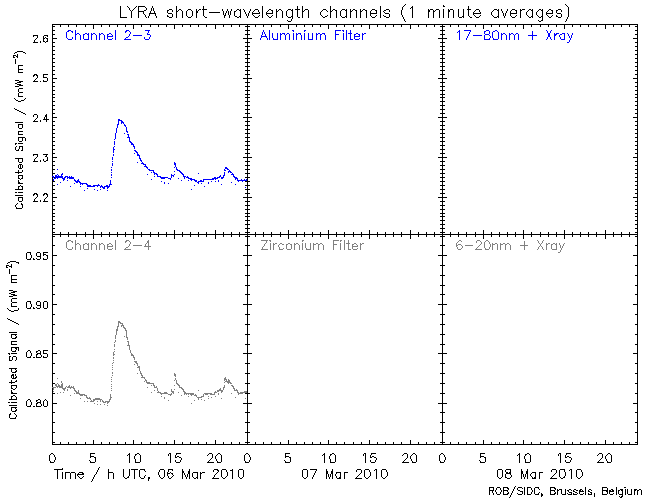 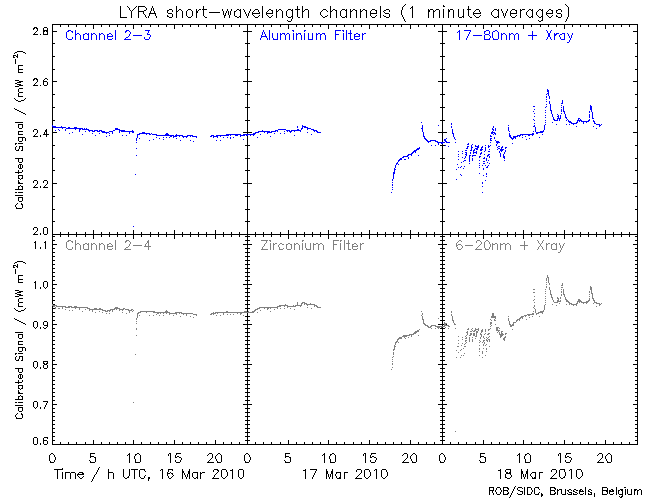 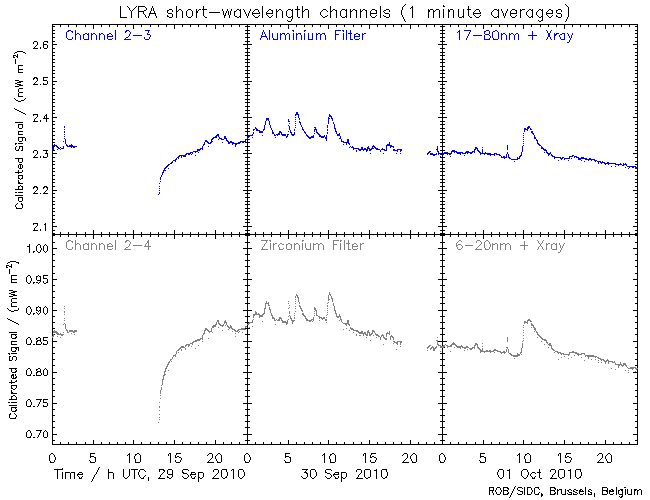 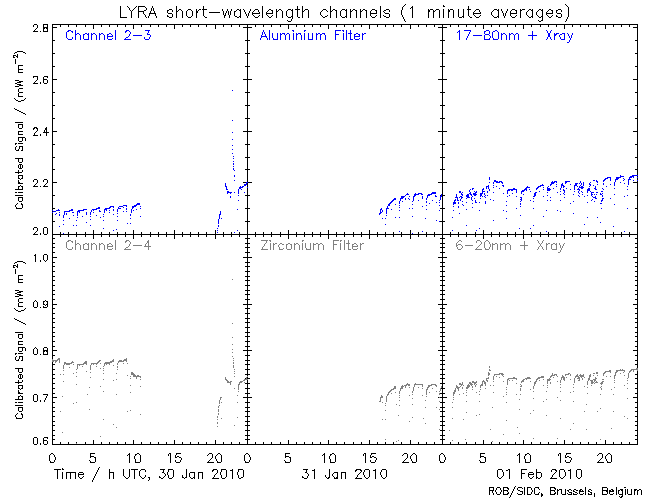 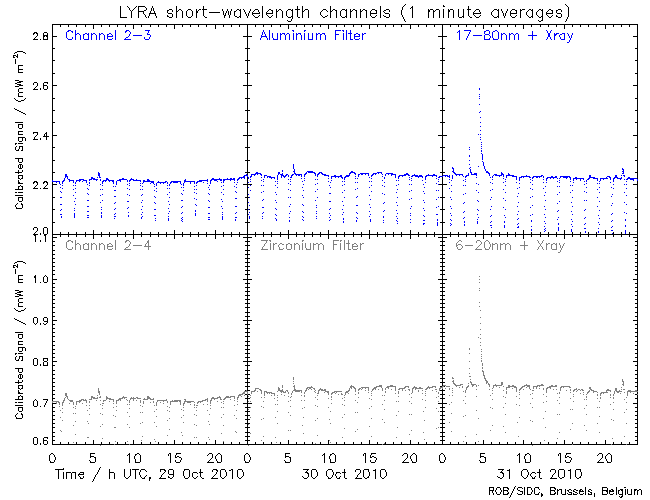 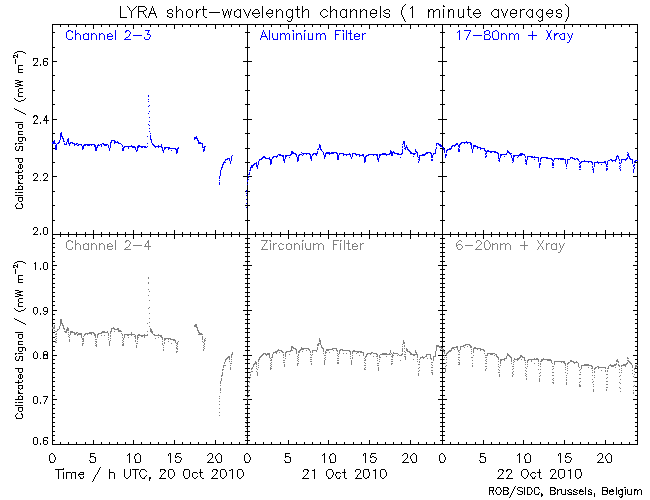 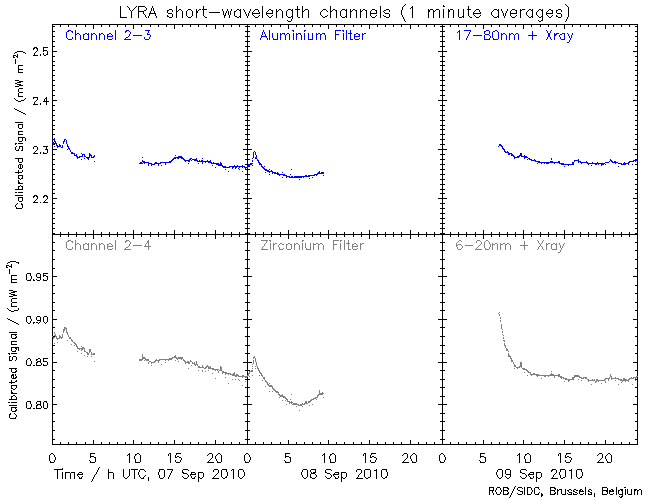 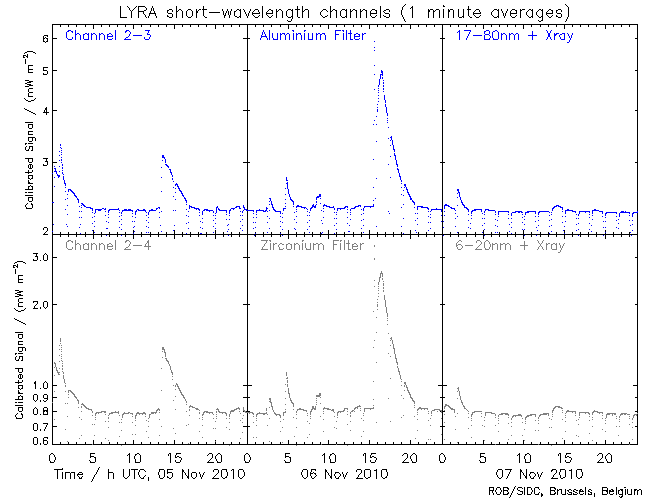 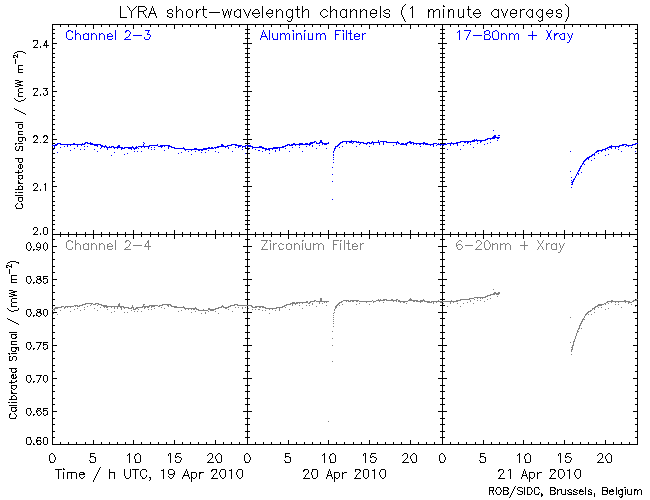 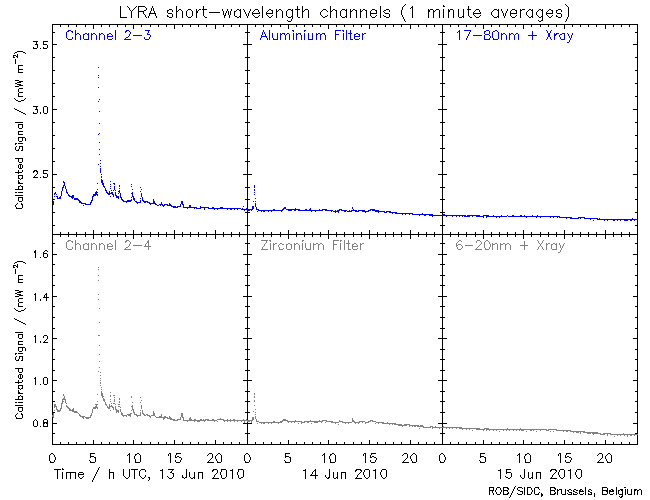 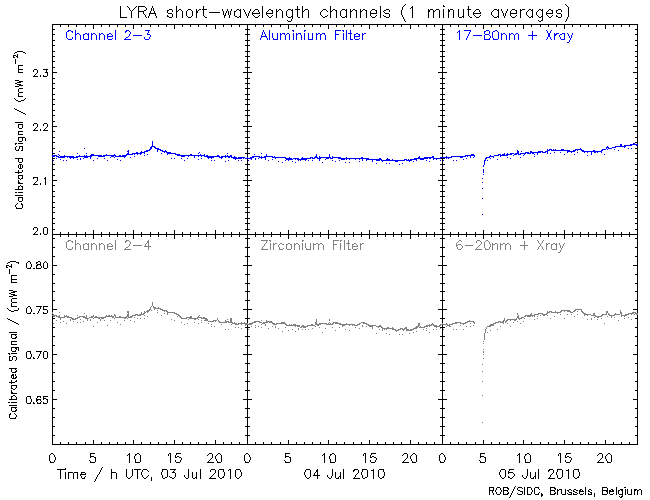 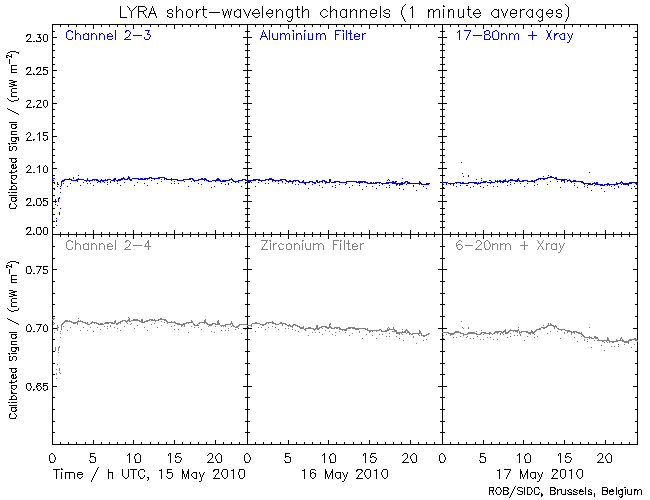 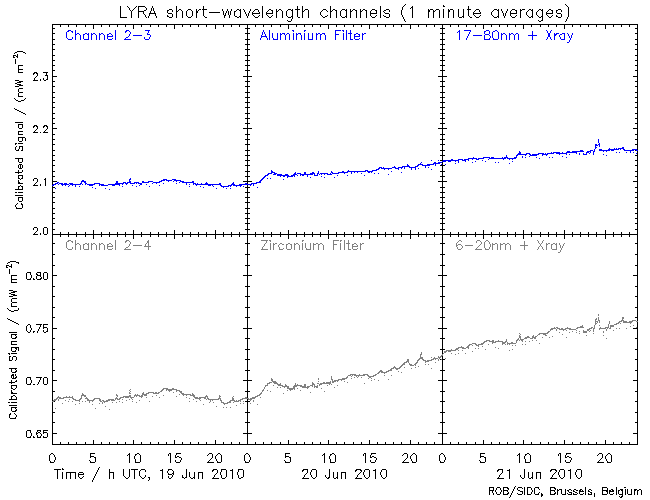 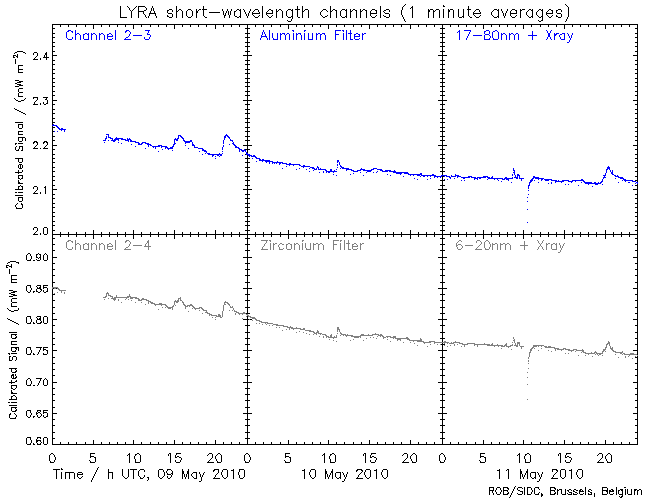 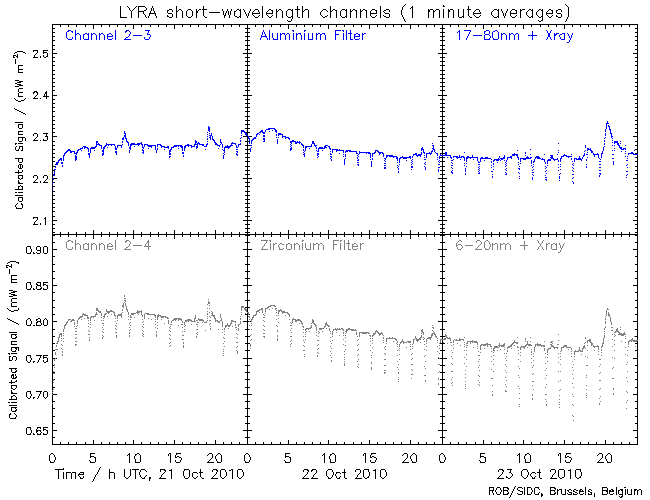 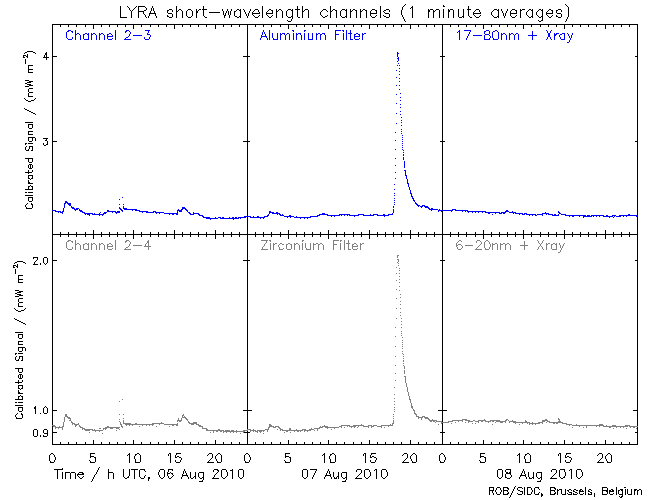 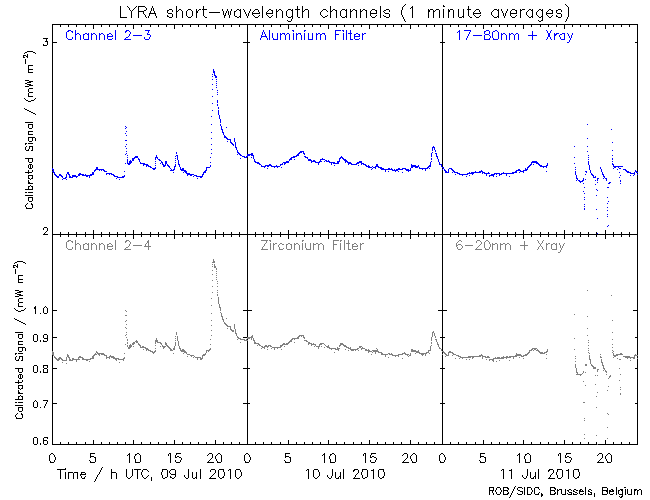 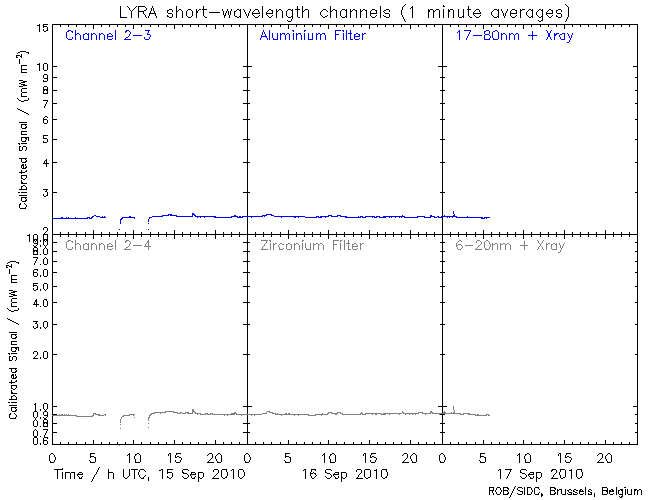 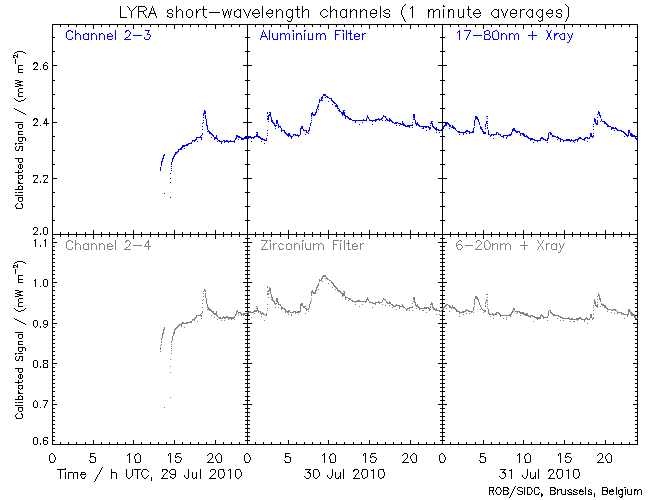 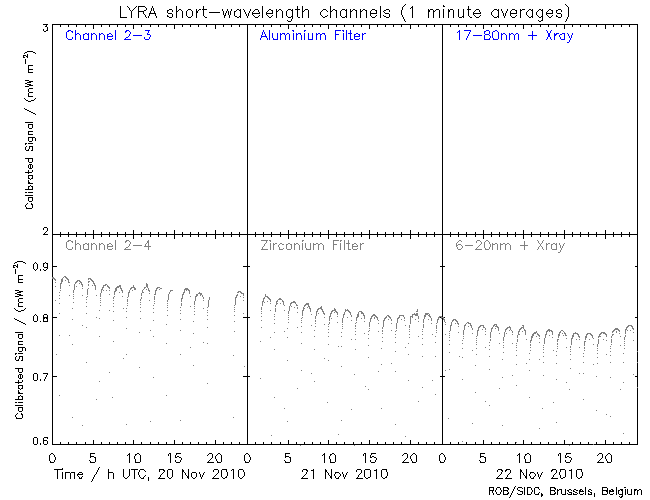 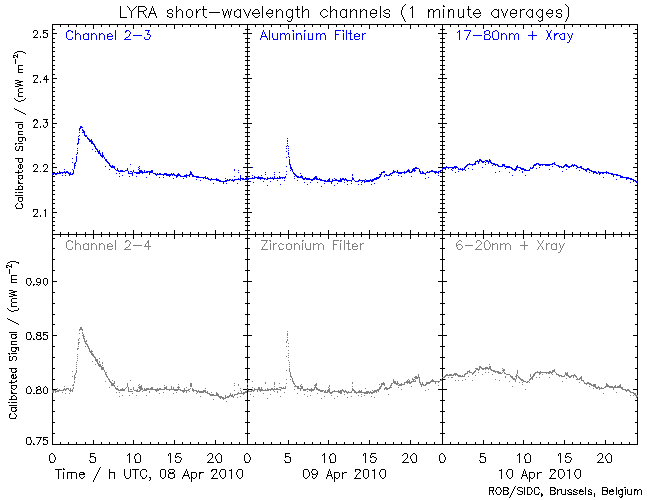 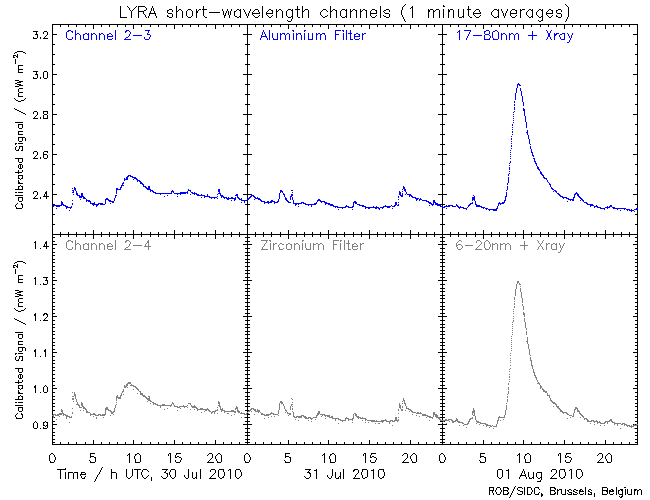 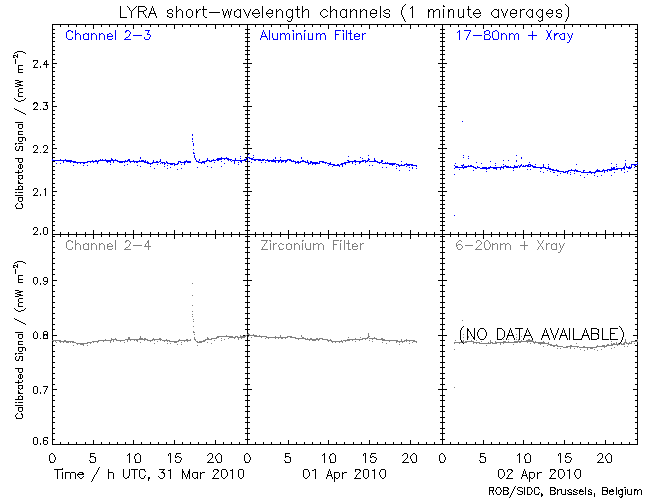 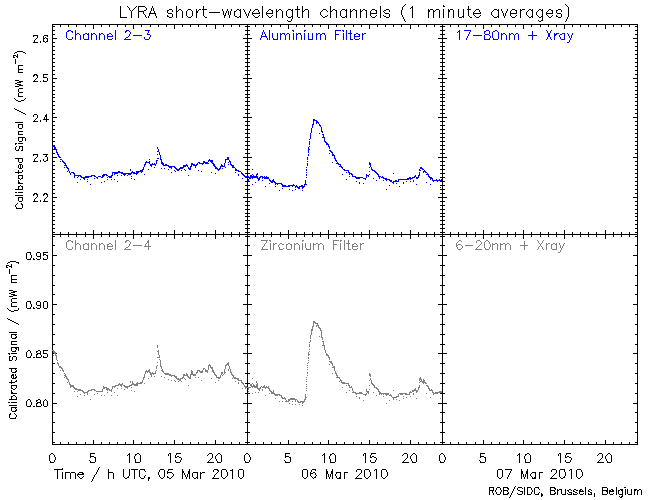 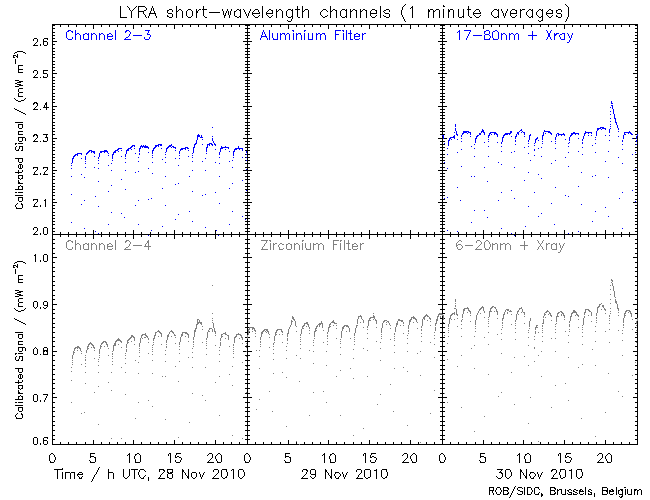 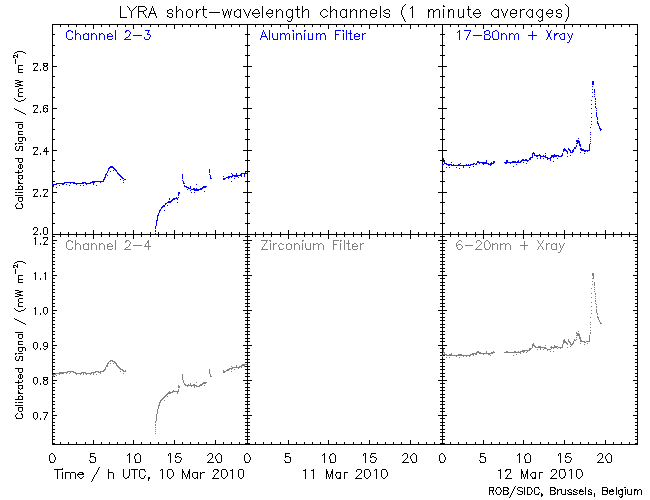 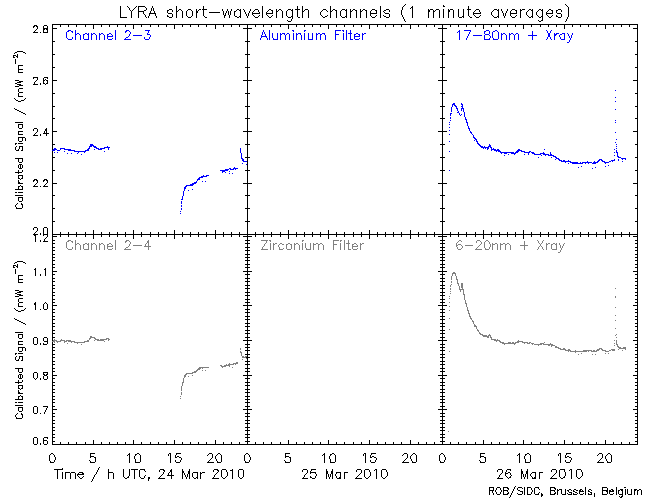 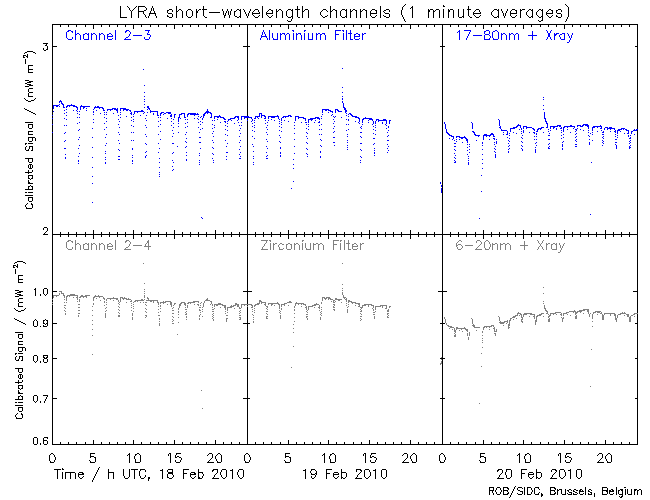 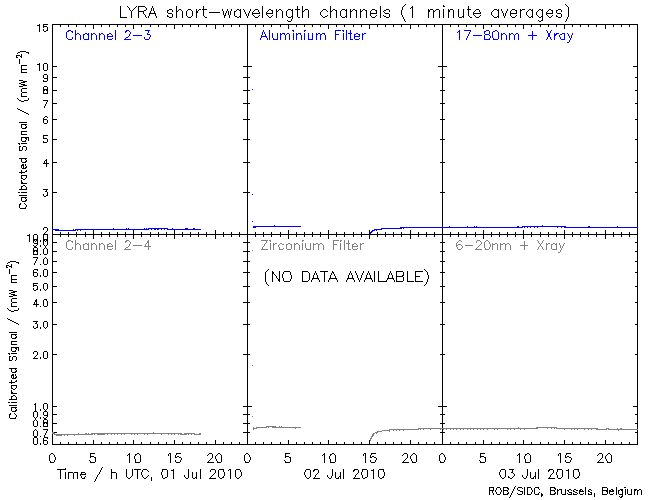 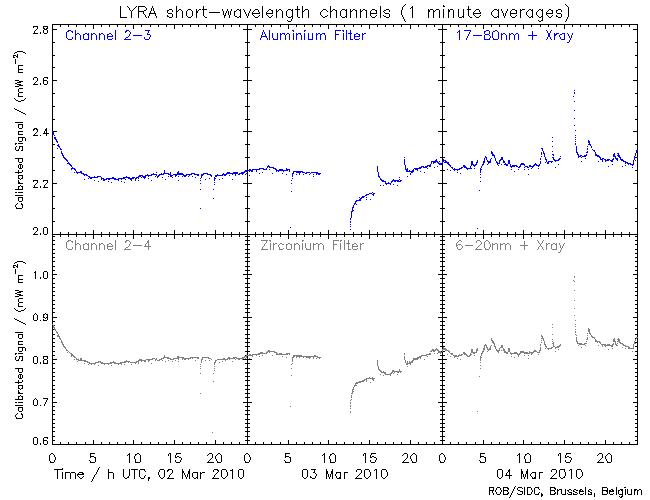 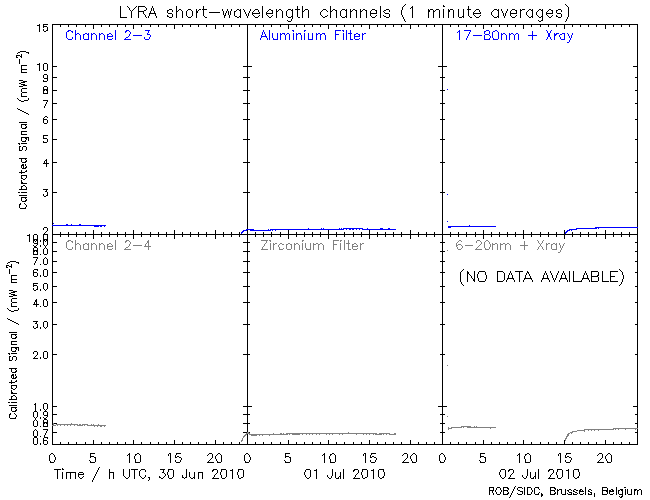 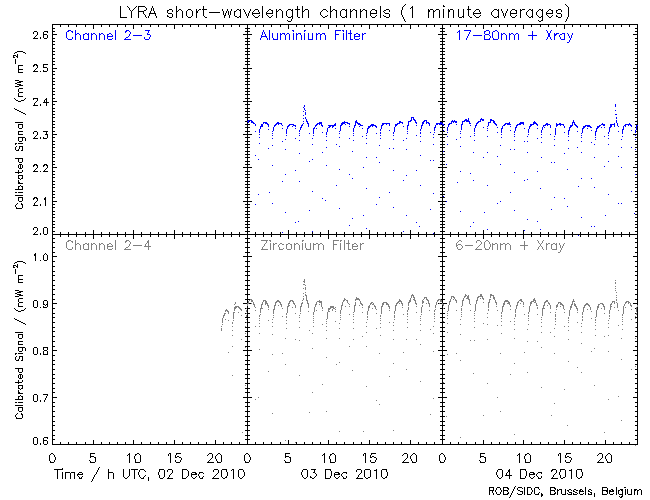 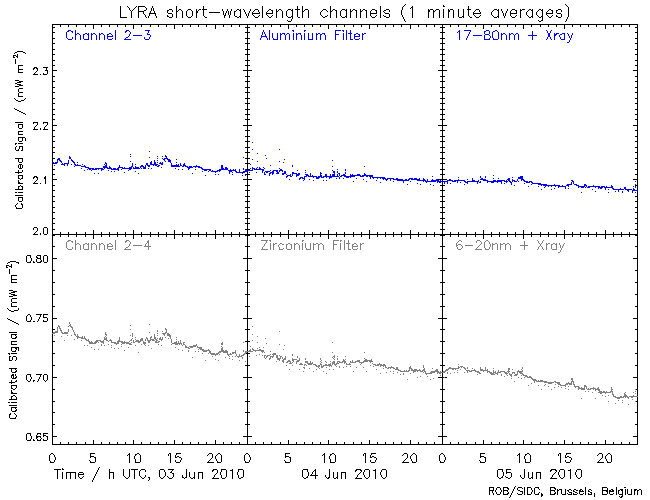 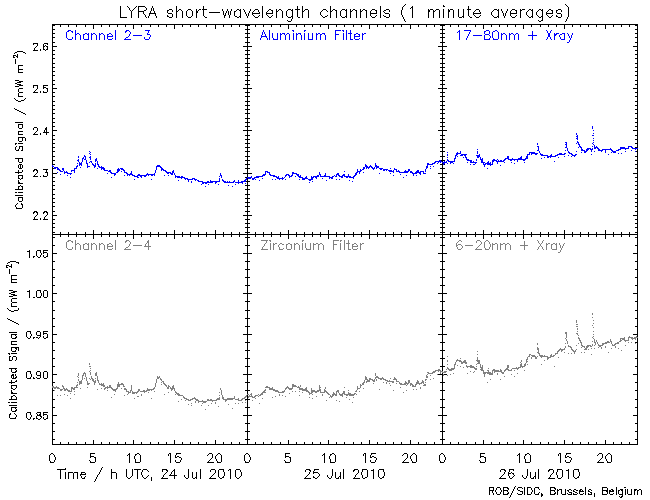 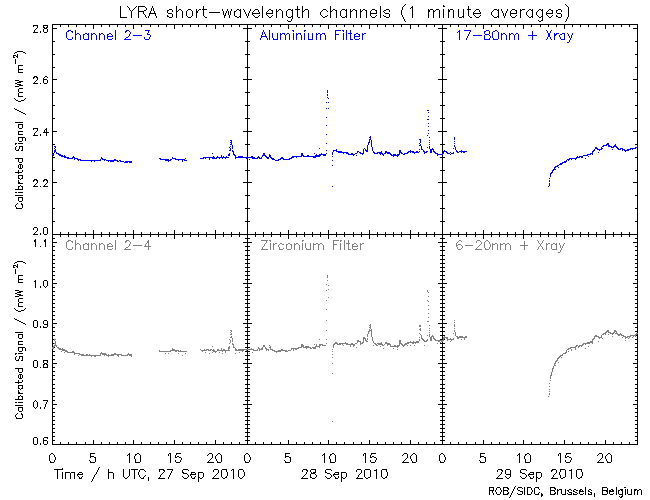 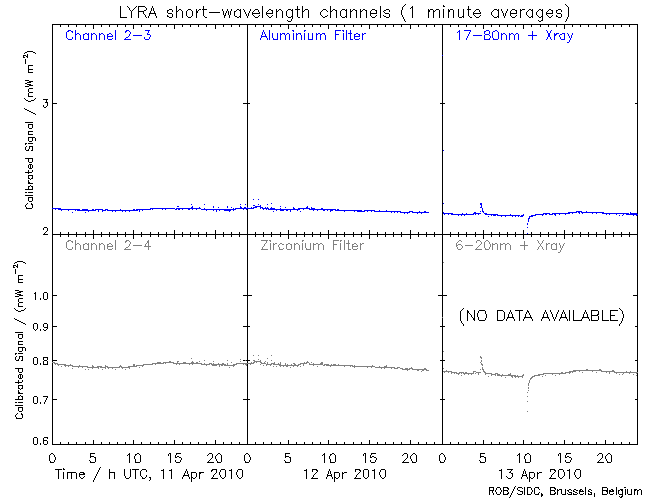 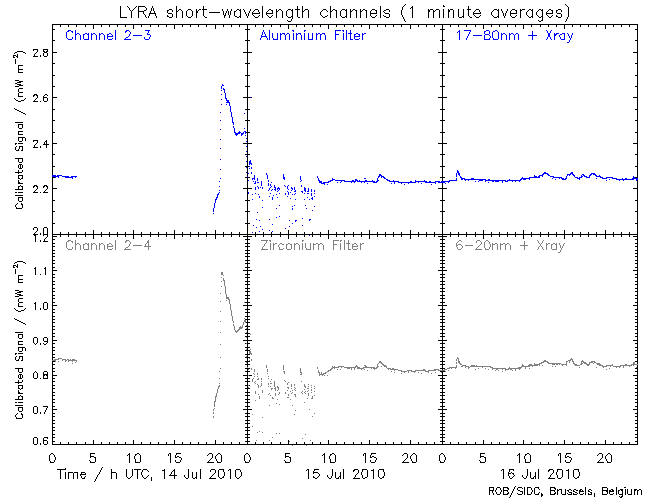 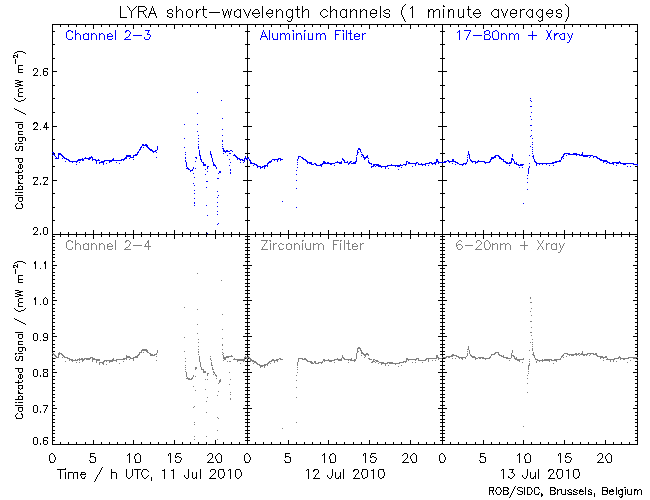 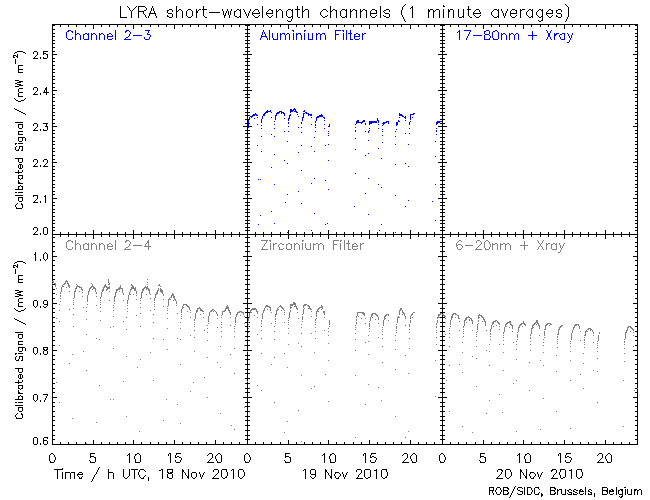 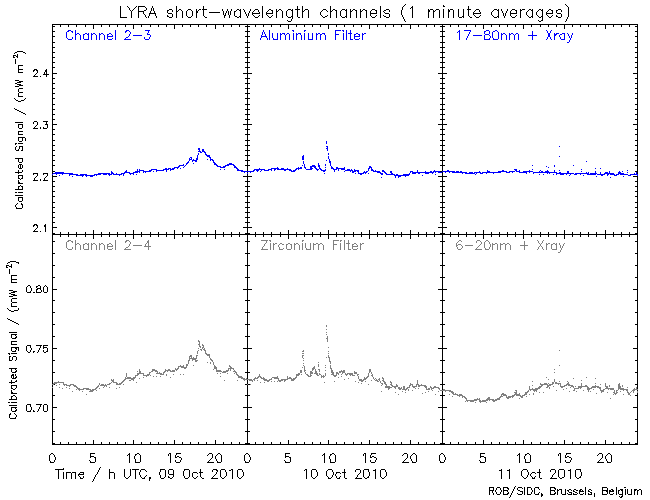 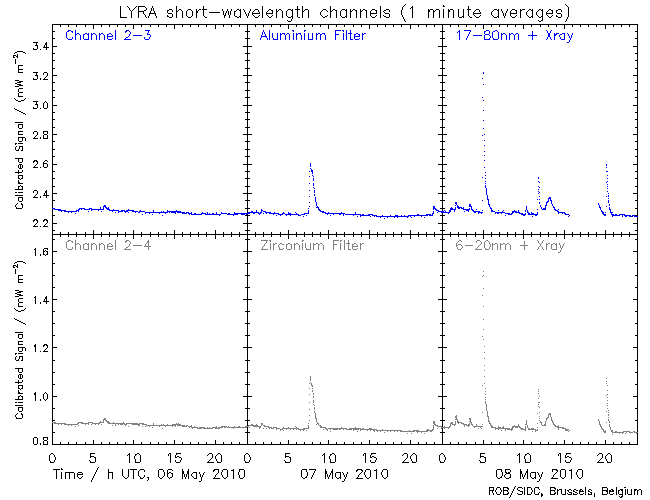 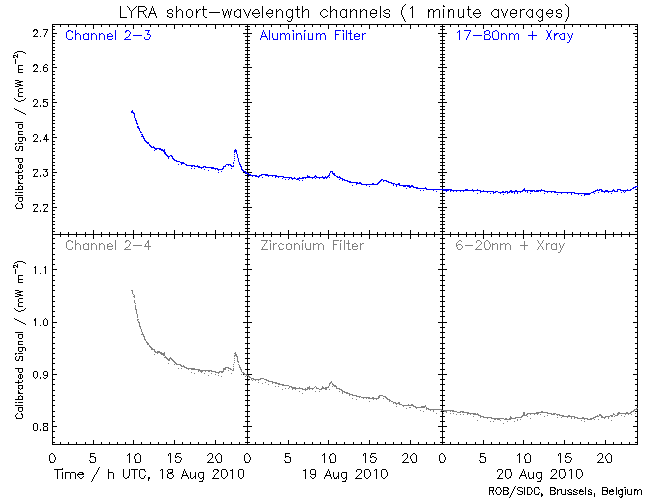 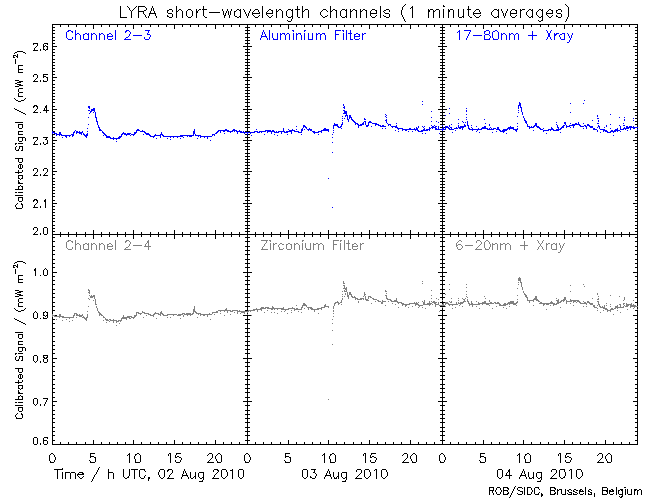 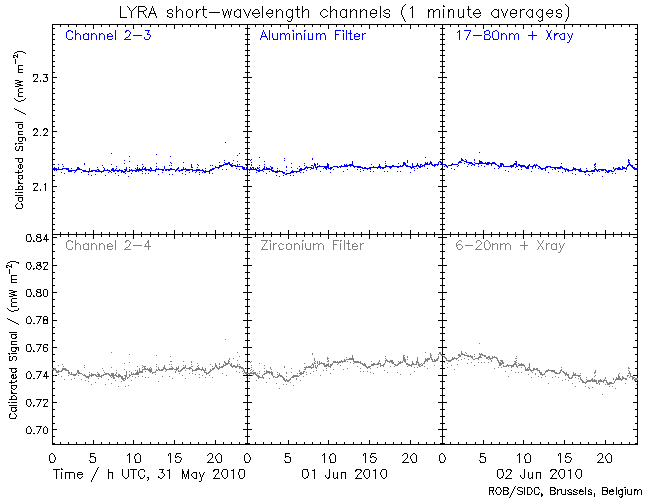 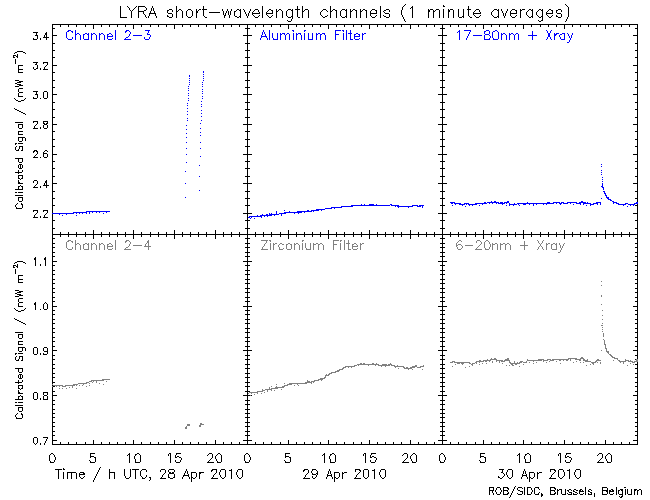 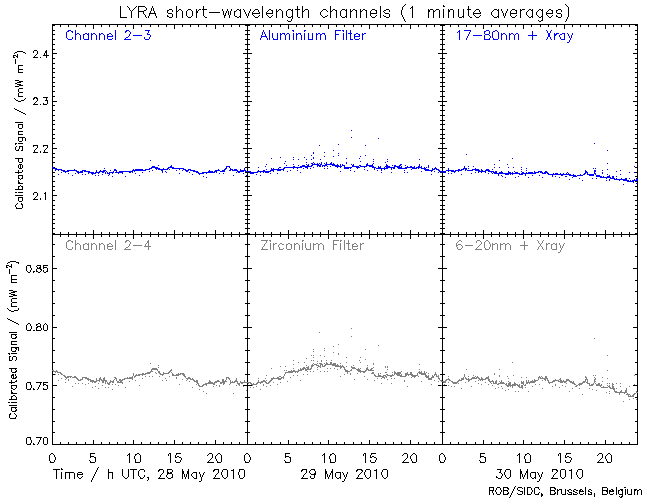 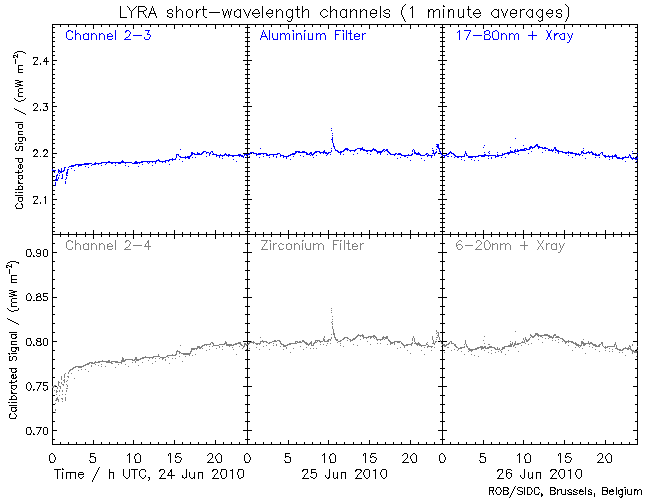 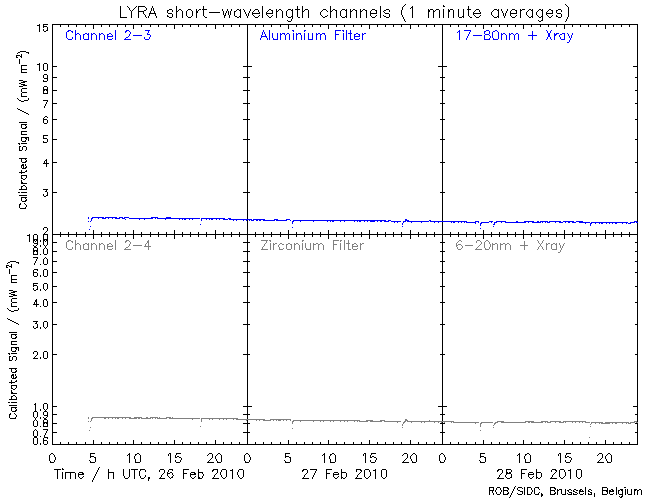 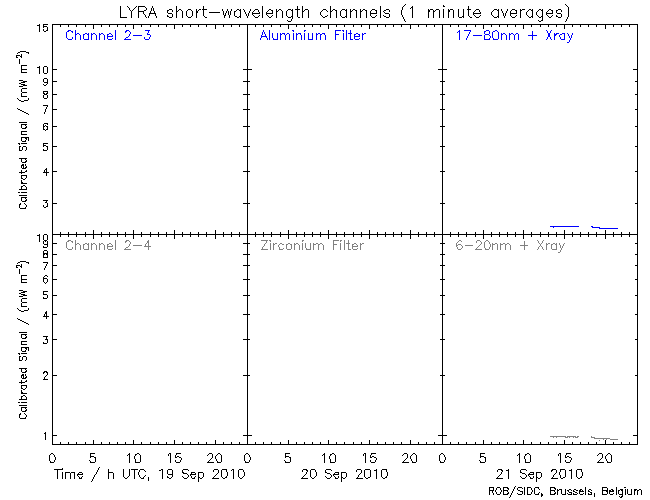 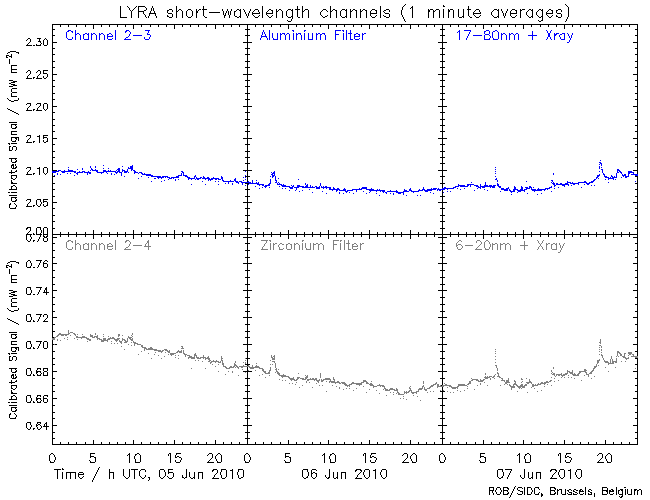 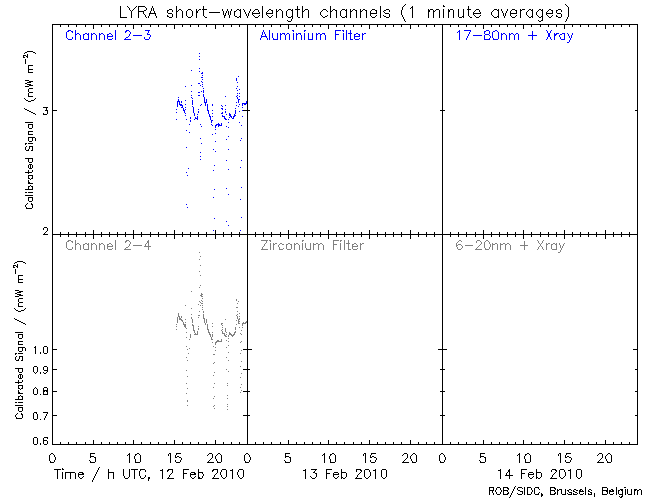 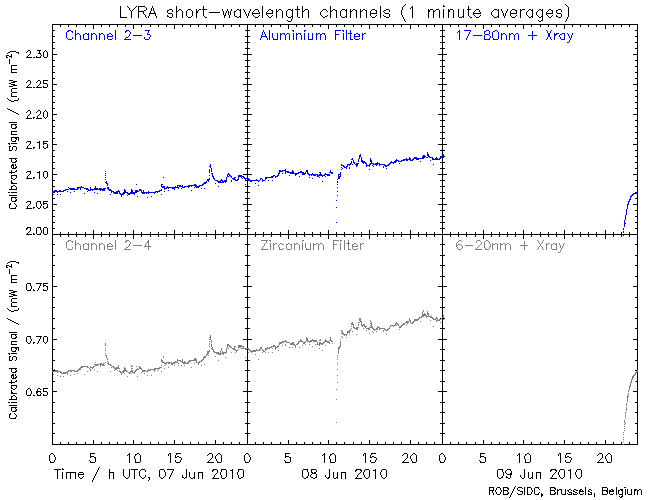 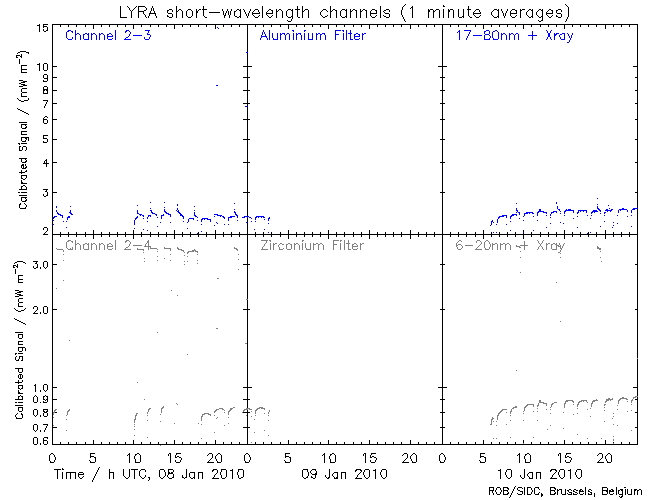 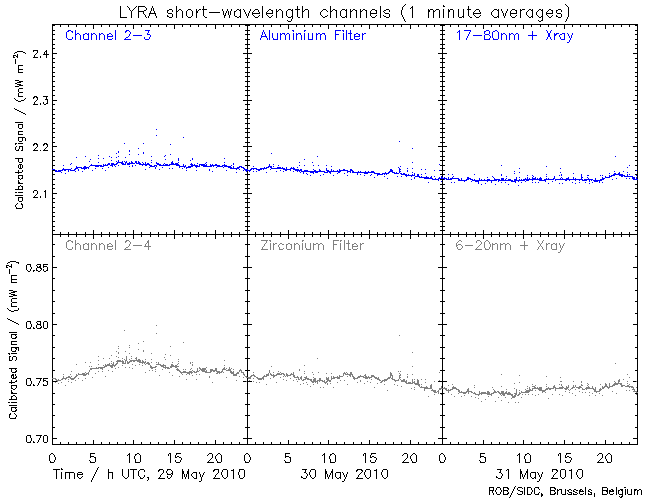 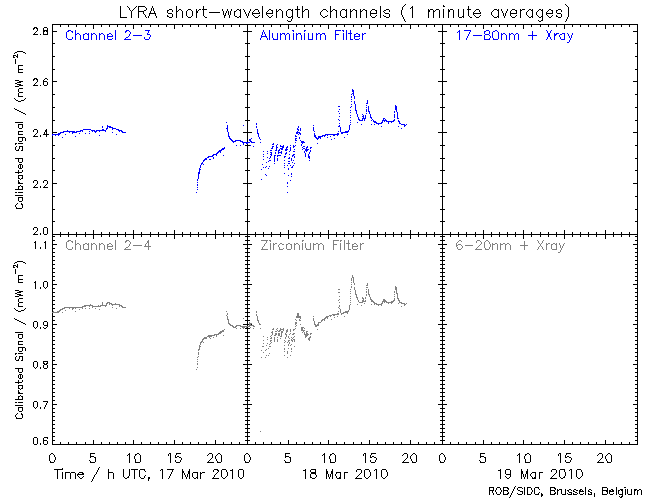 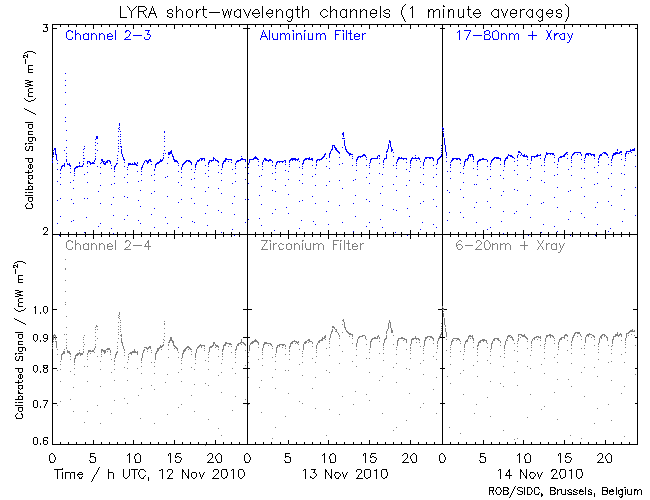 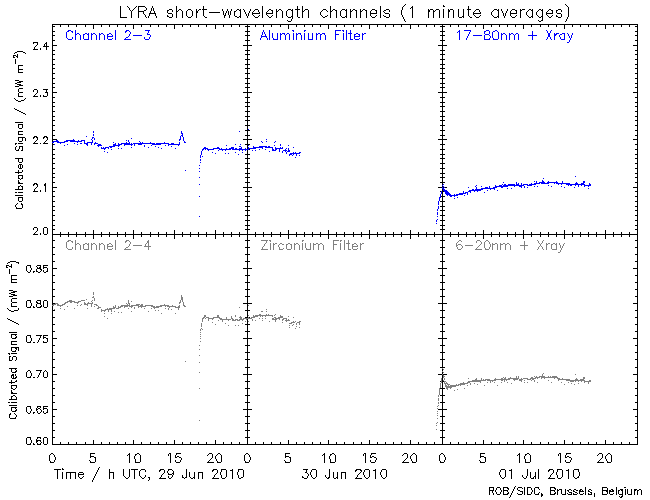 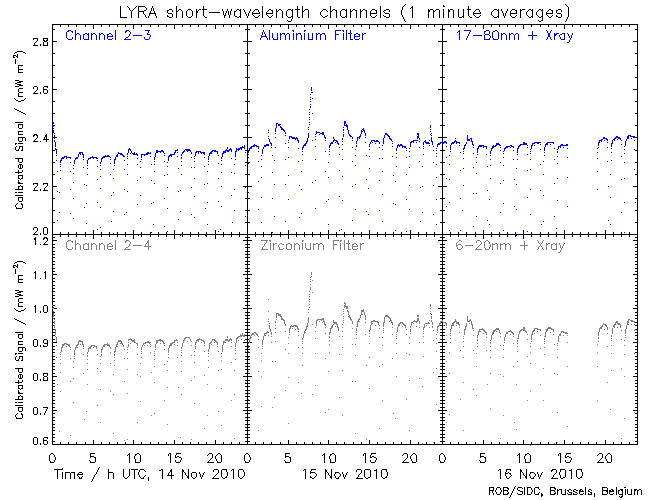 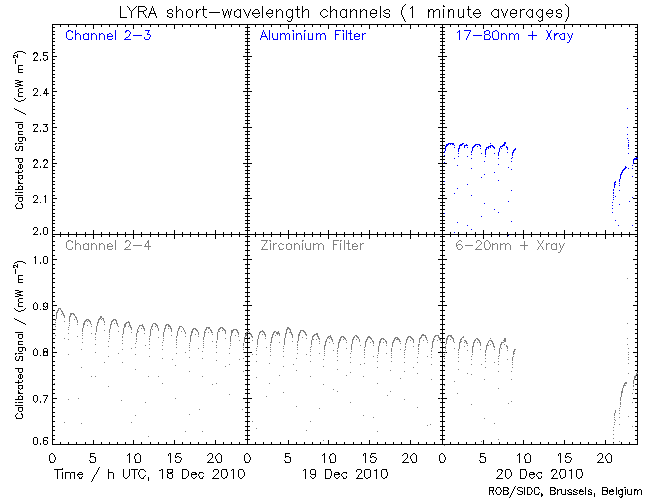 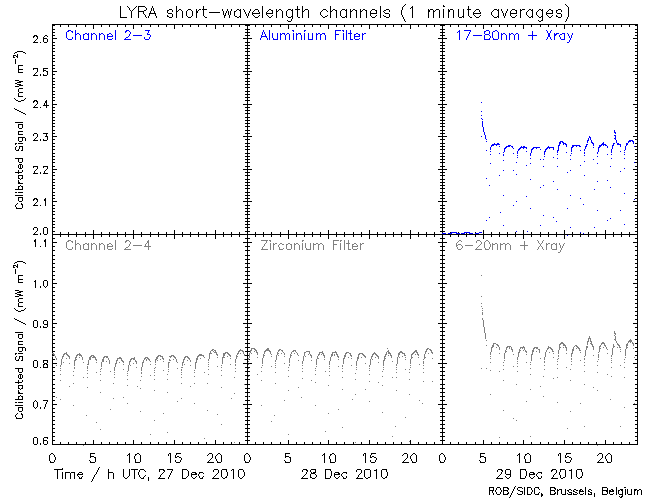 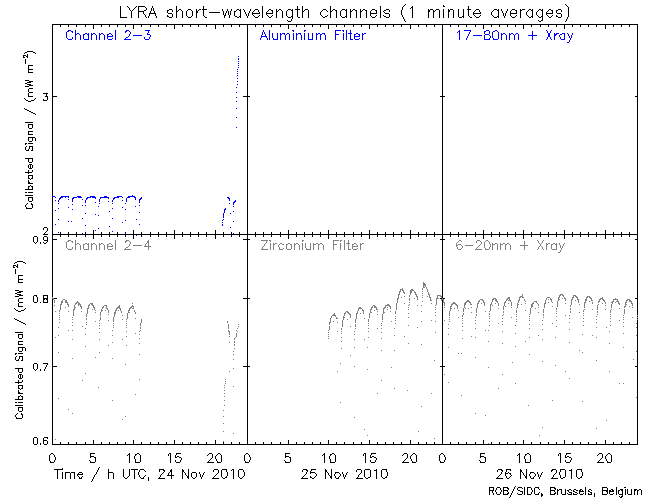 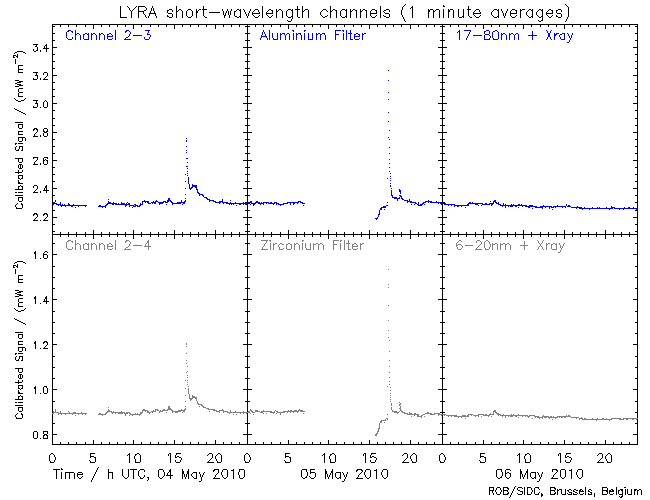 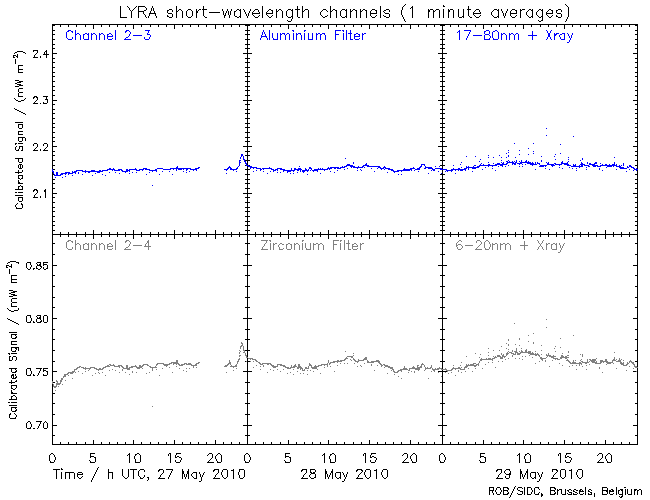 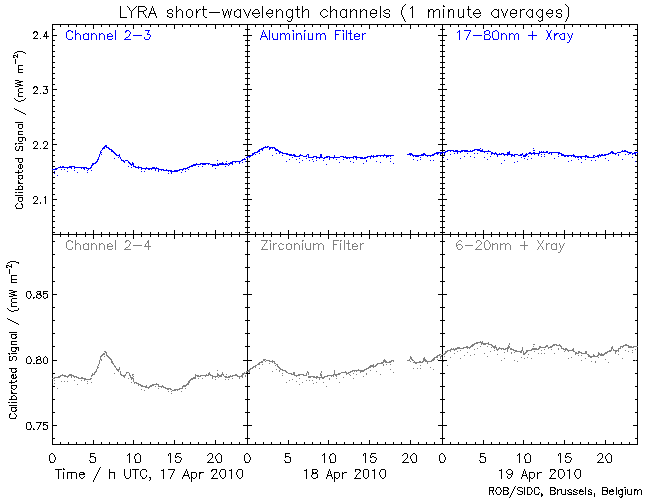 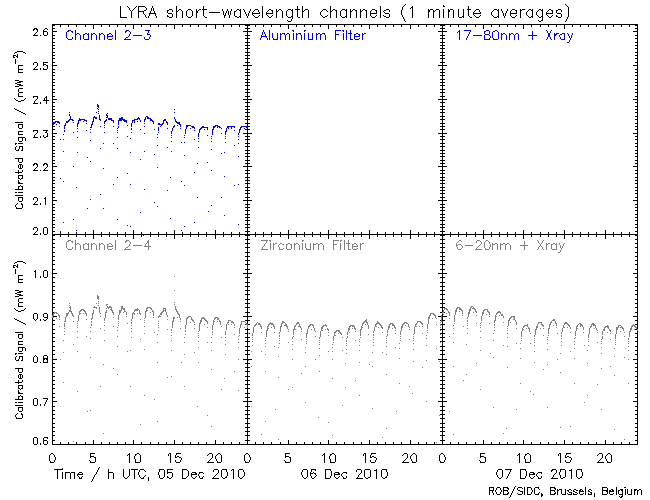 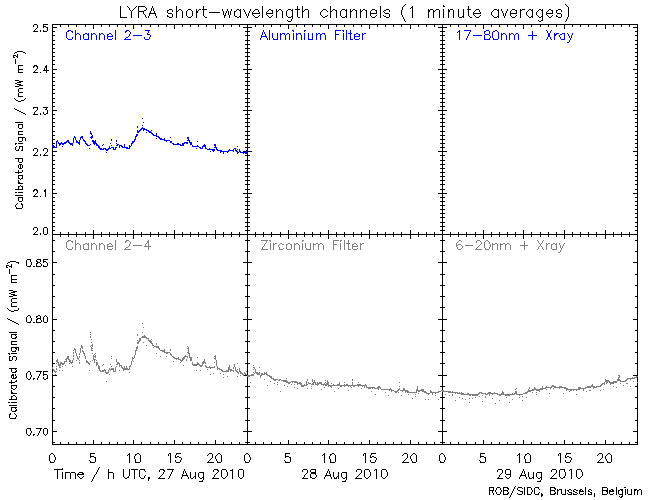 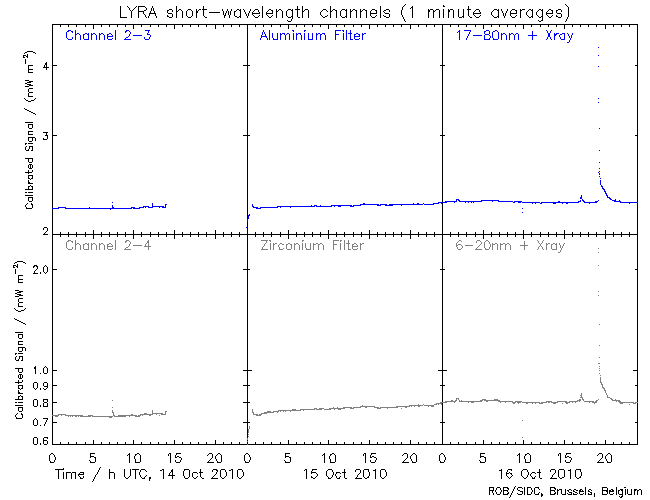 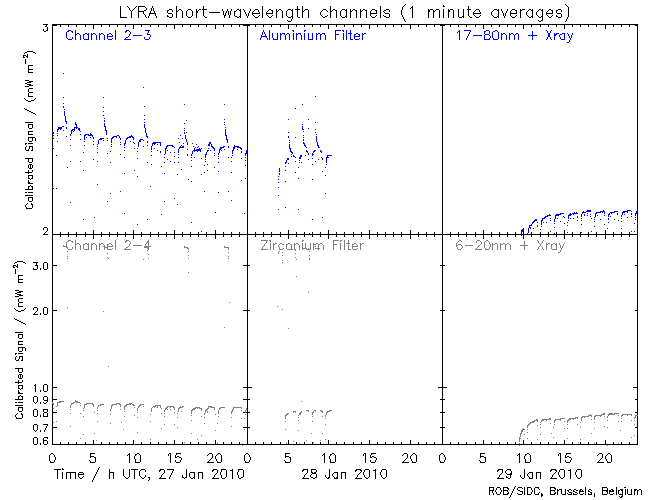 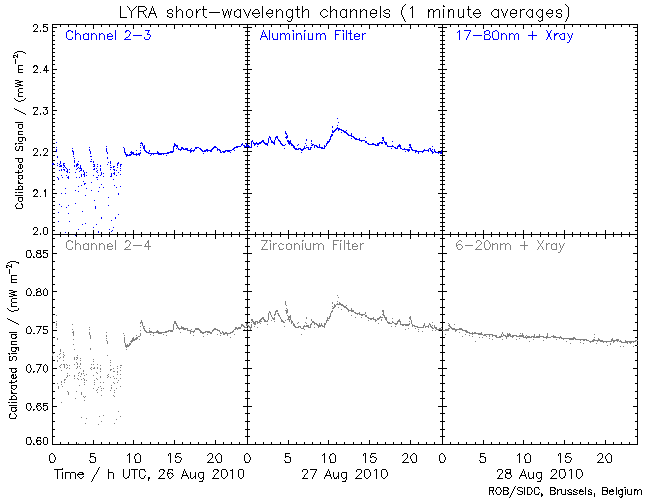 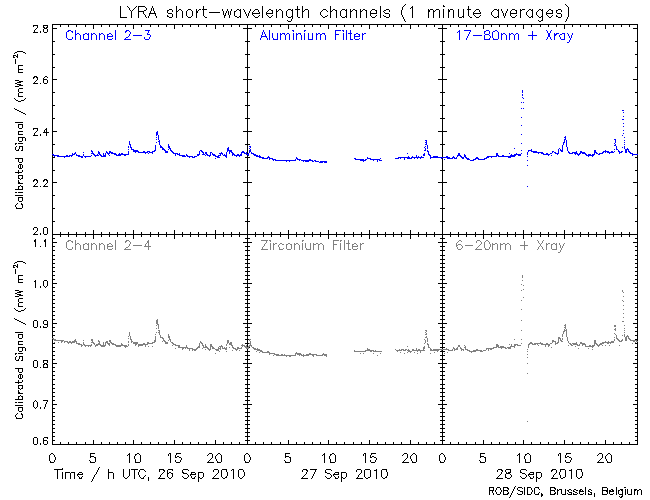 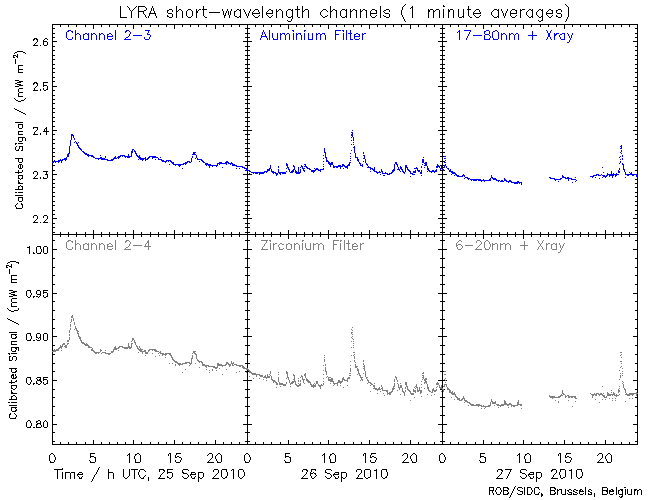 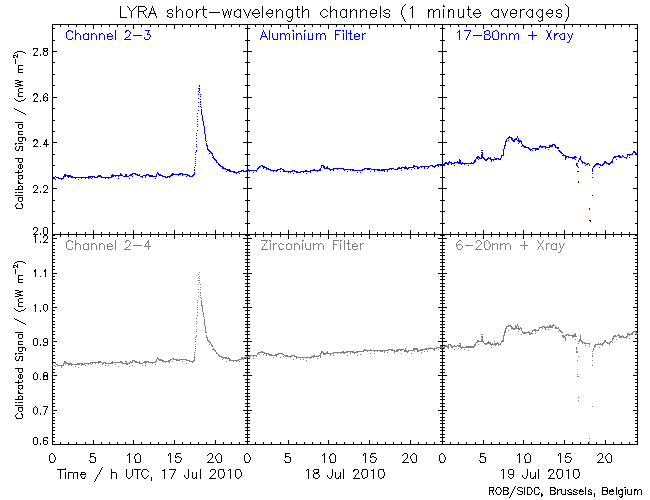 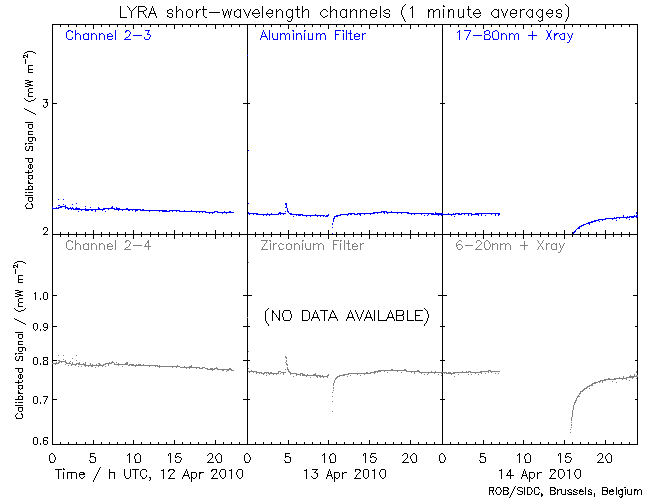 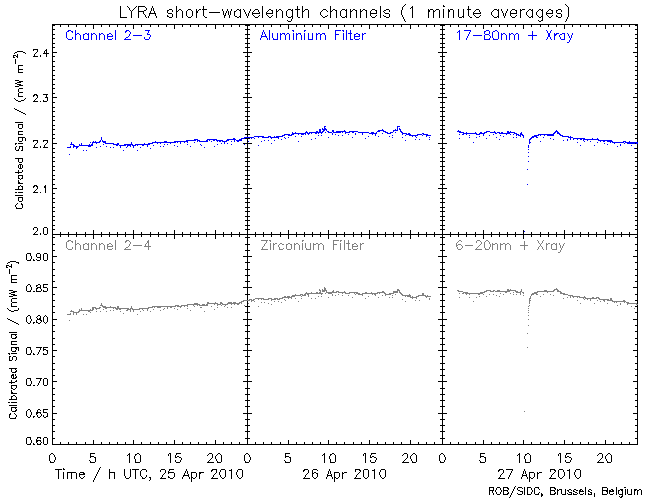 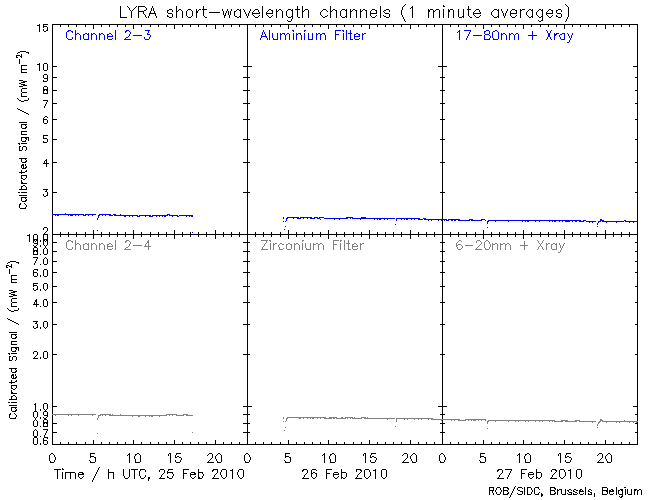 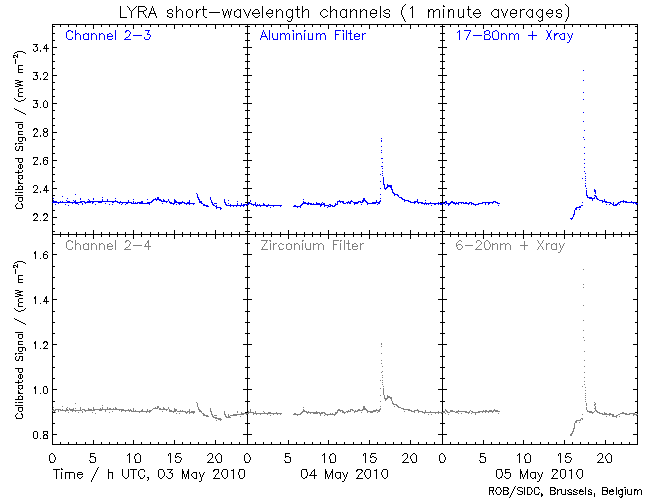 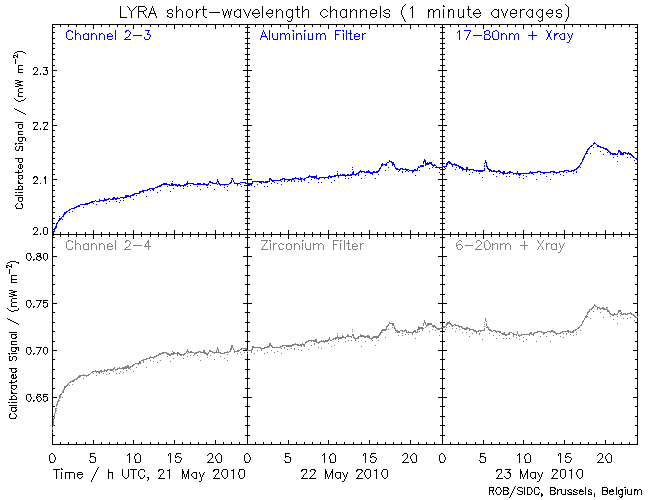 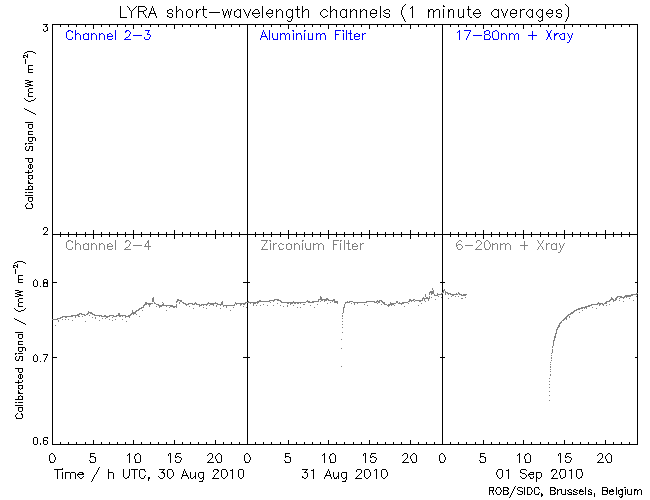 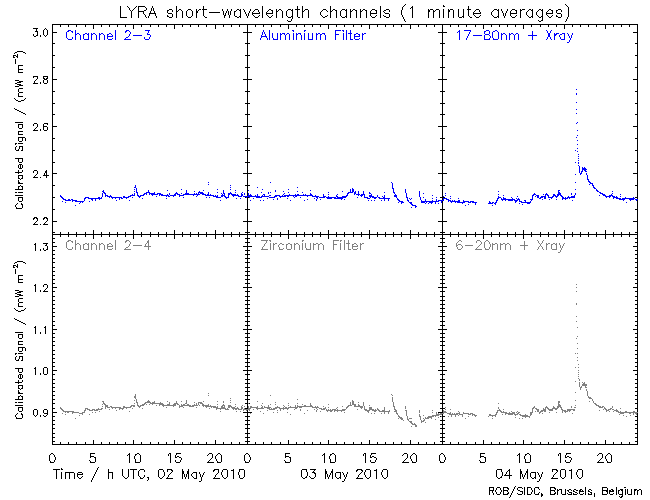 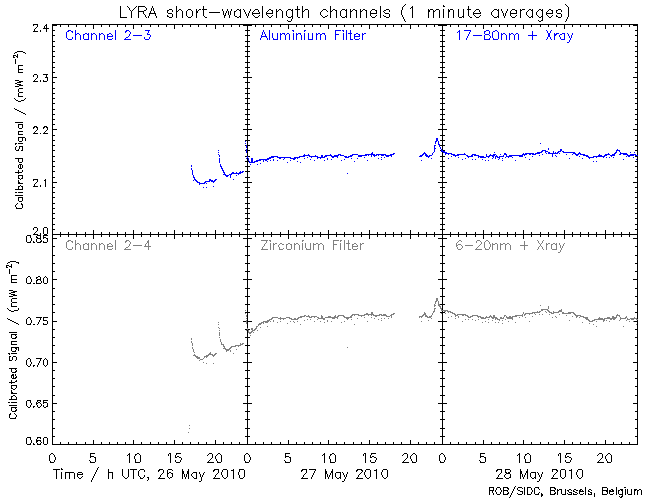 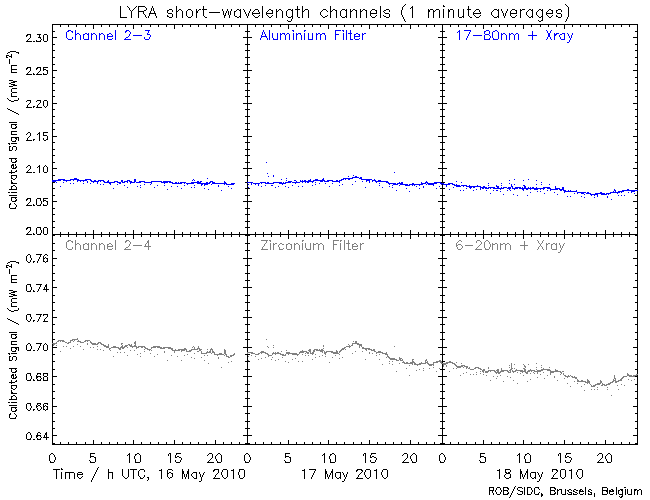 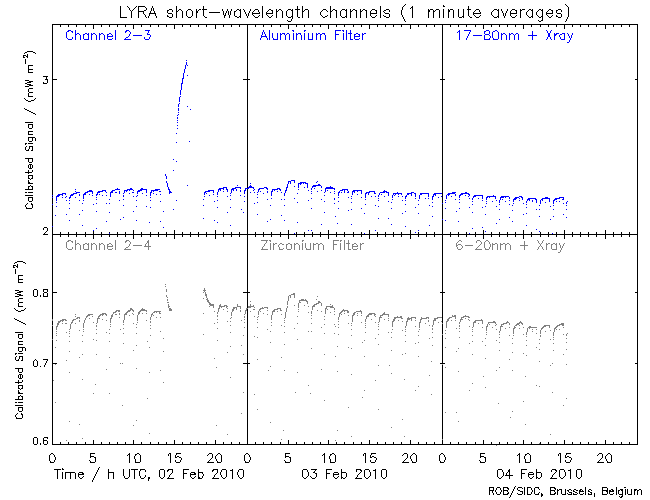 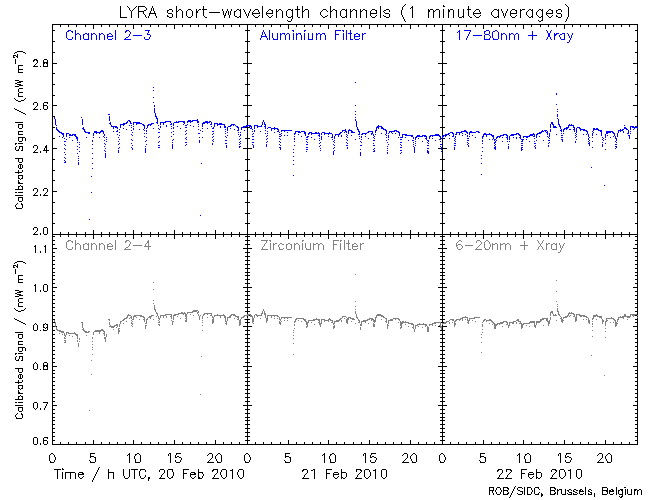 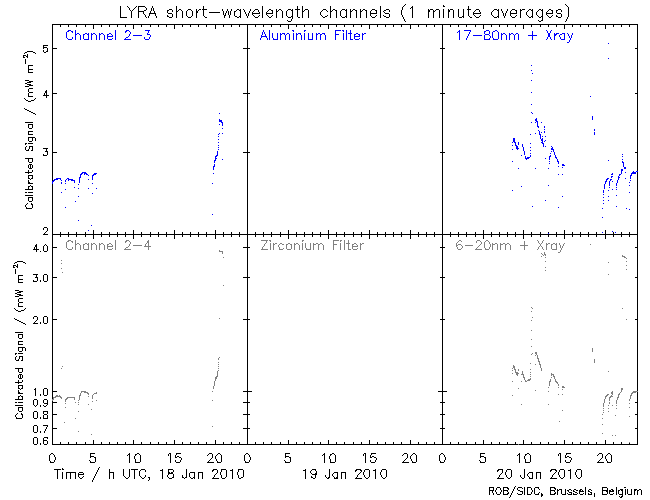 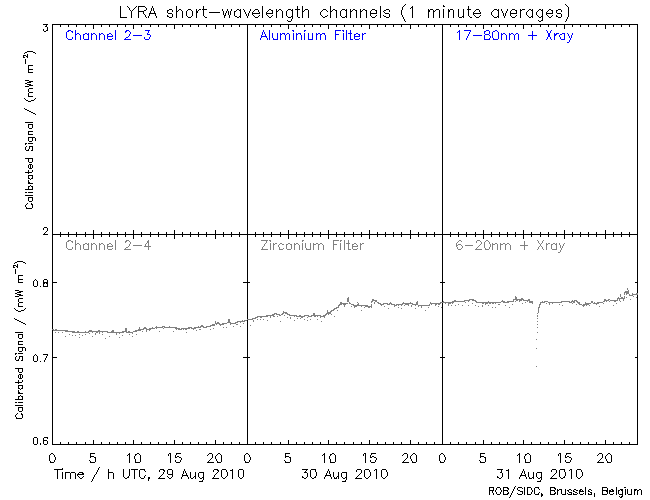 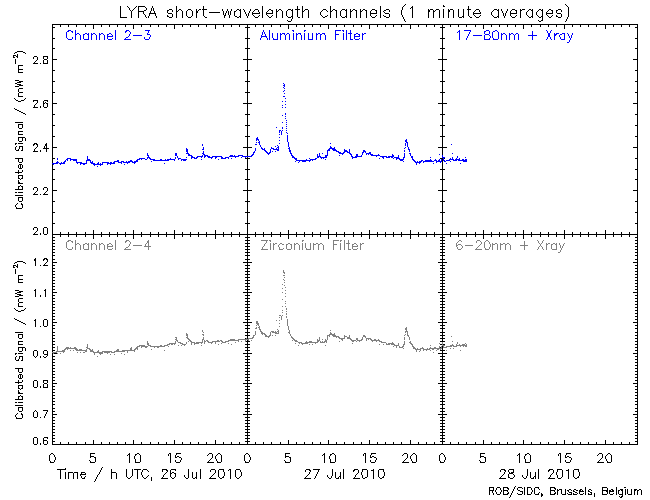 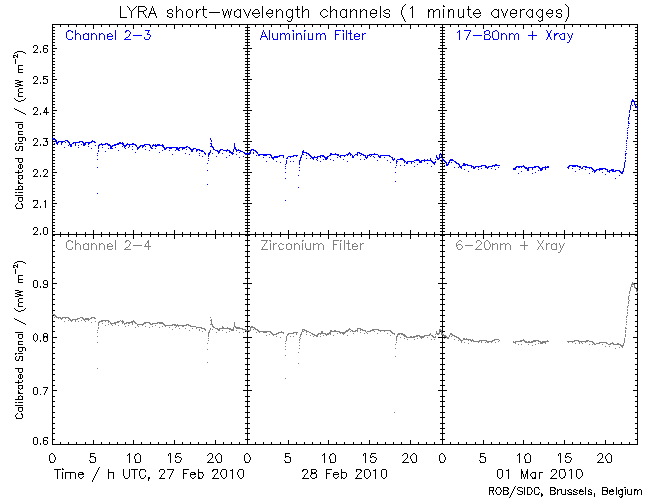 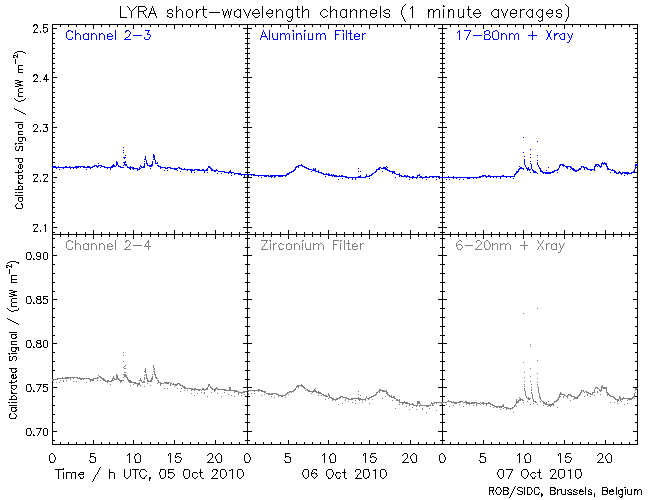 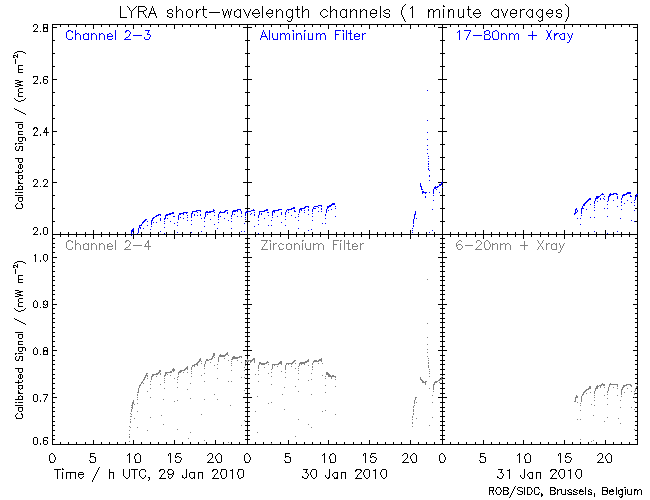 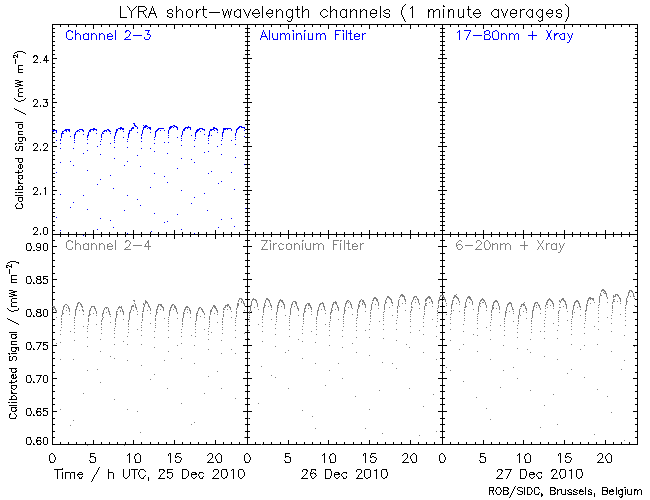 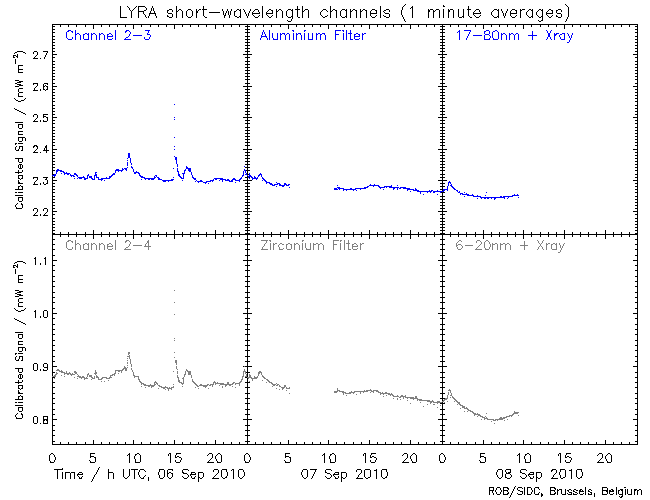 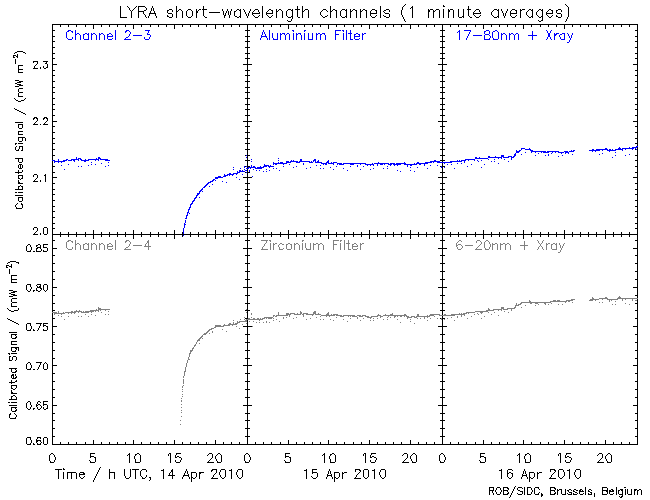 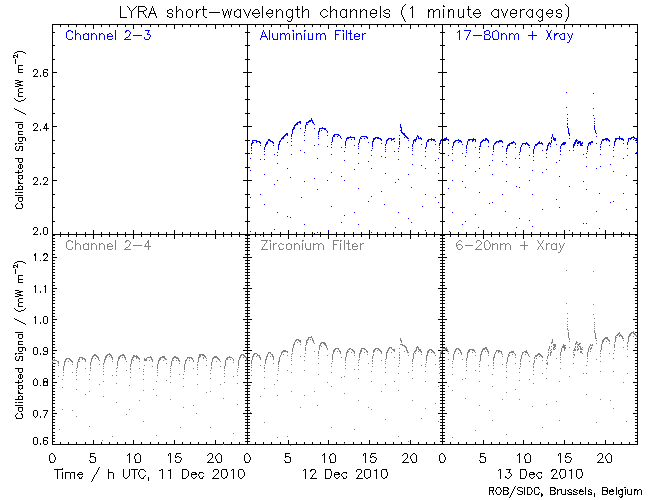 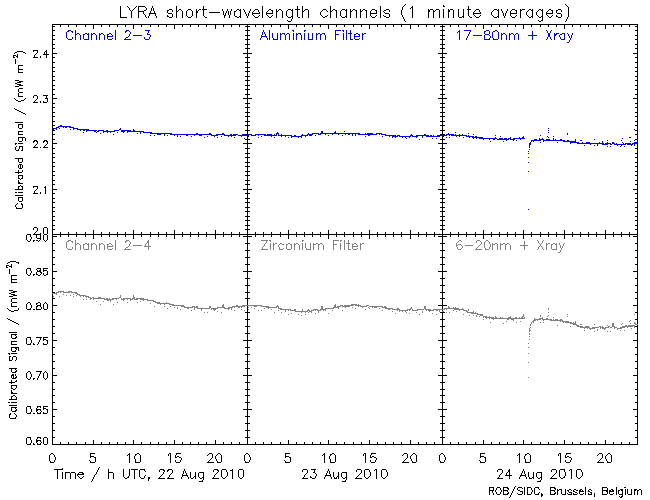 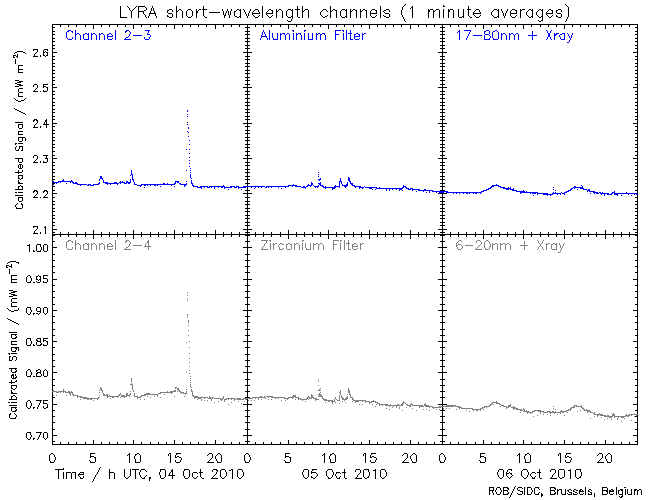 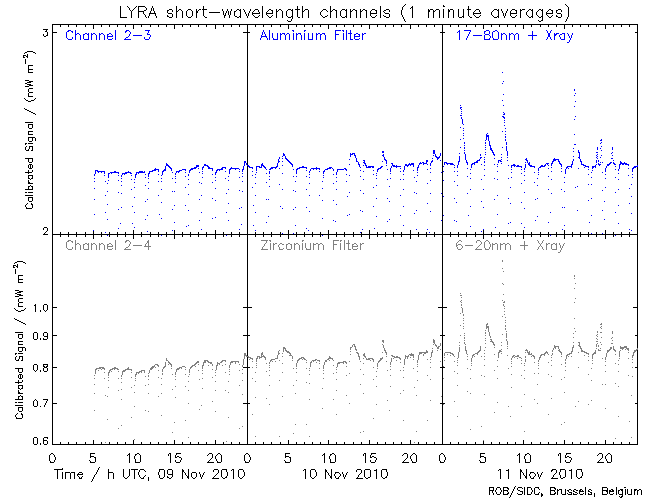 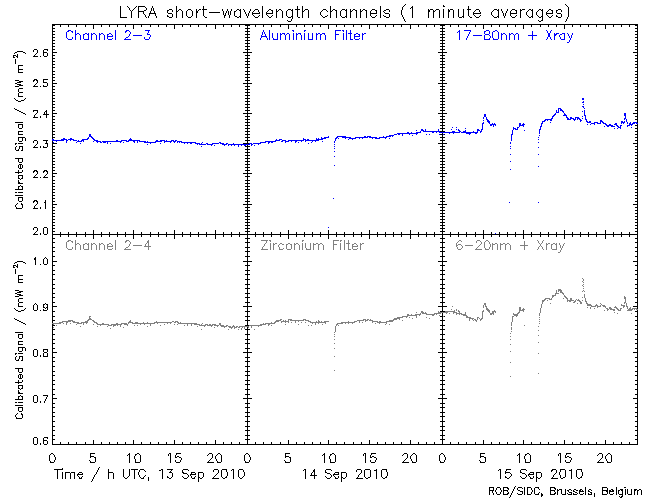 "Calibrated" currently means that the dark currents were subtracted, the trend due to instrumental degradation was removed, solar values were normalized to 1AU, and the LYRA count rates were converted to physical units with the aid of a comparison to other instruments on LYRA's First Light Day. 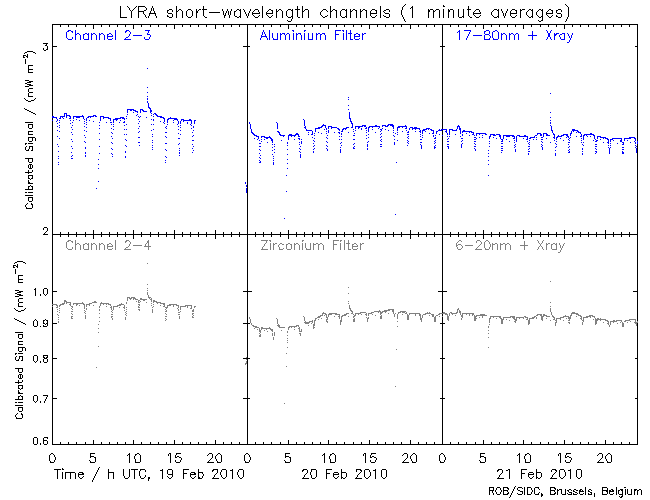 Daily and orbital variations of the channels due to on-board temperature changes were corrected using the HK temperatures contained in the Level-1-metadata FITS file. 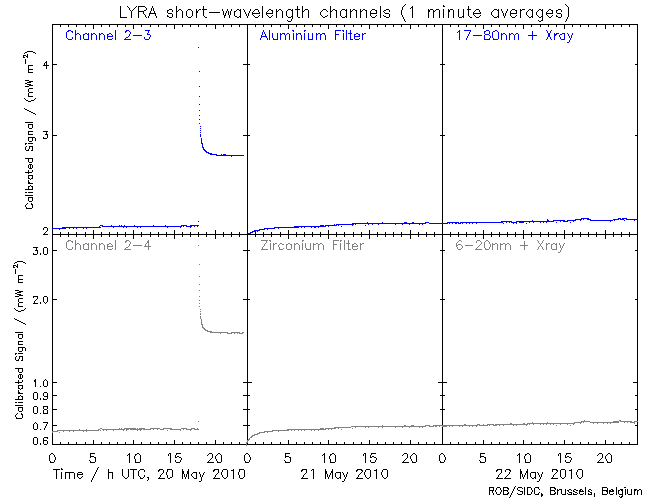 The curves still include four regular disturbances per orbit due to spacecraft rotations, and possible disturbances due to commanding. 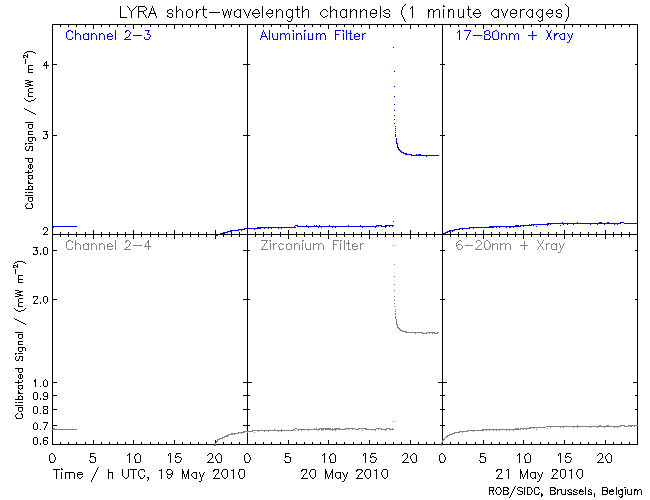 Gaps may be caused by missing downlinks or calibration campaigns. From November to January, PROBA2 experiences "eclipse season". 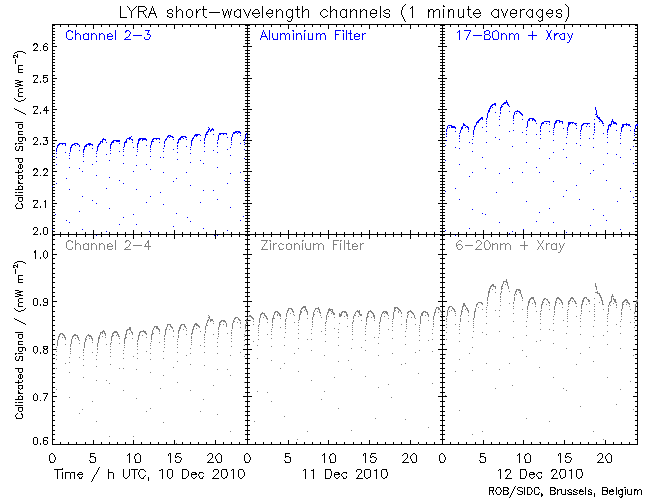 For several minutes during each orbit, the solar disk is occulted by the Earth, and the observed irradiances decrease to dark-current levels - thus the strange comb-like shape of the curves.